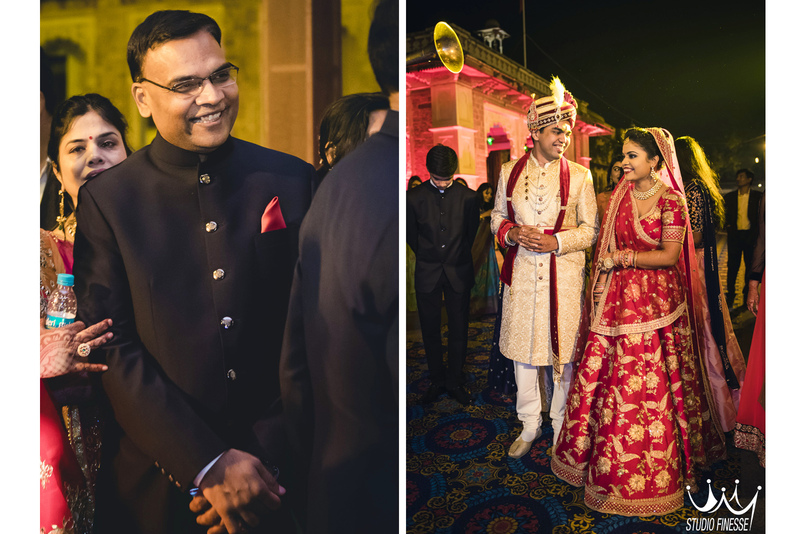 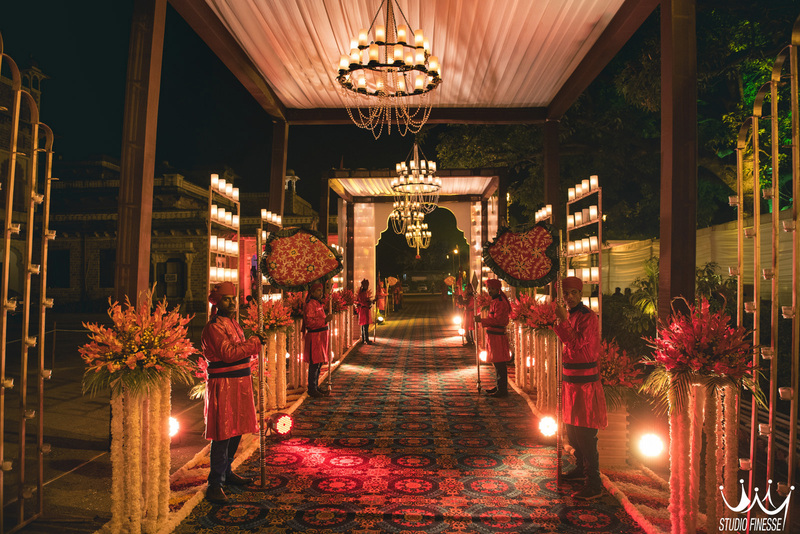 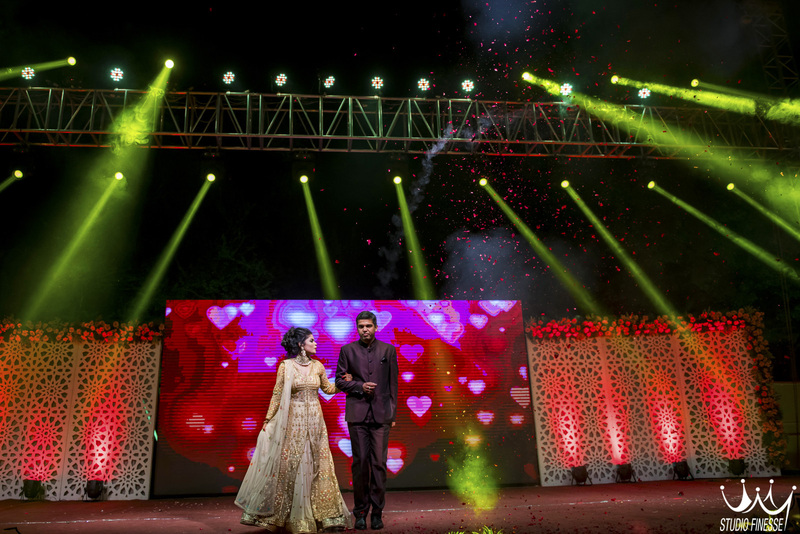 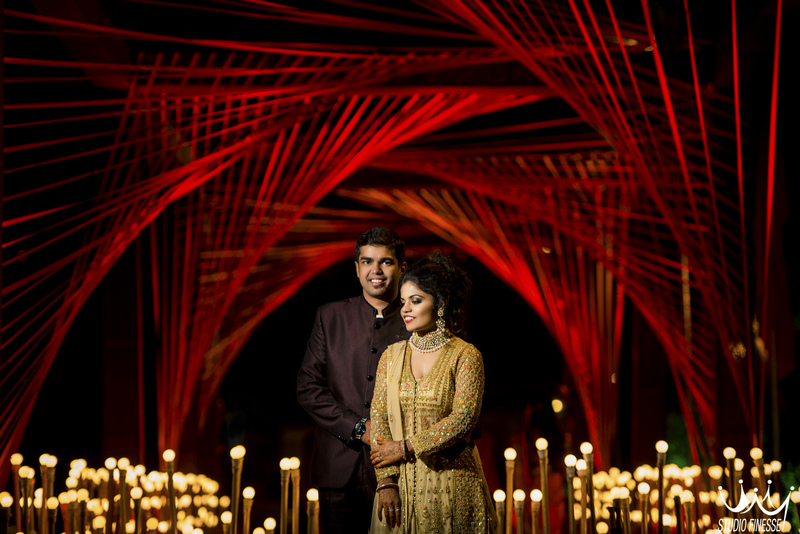 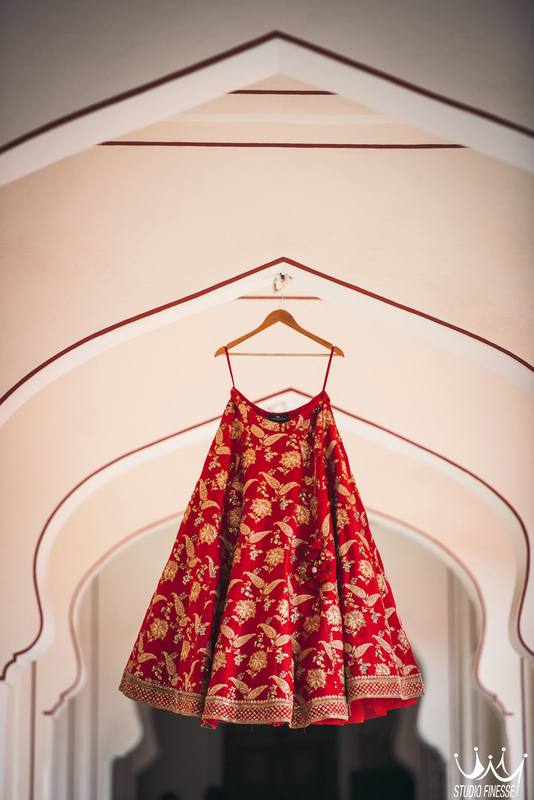 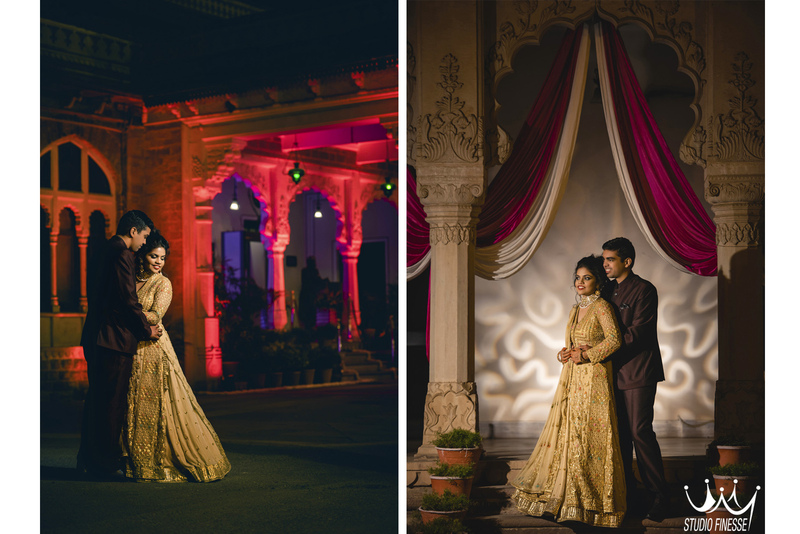 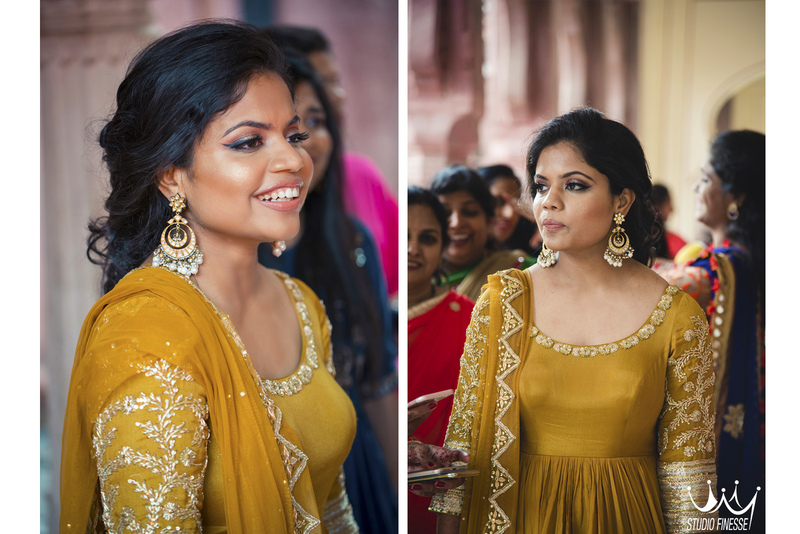 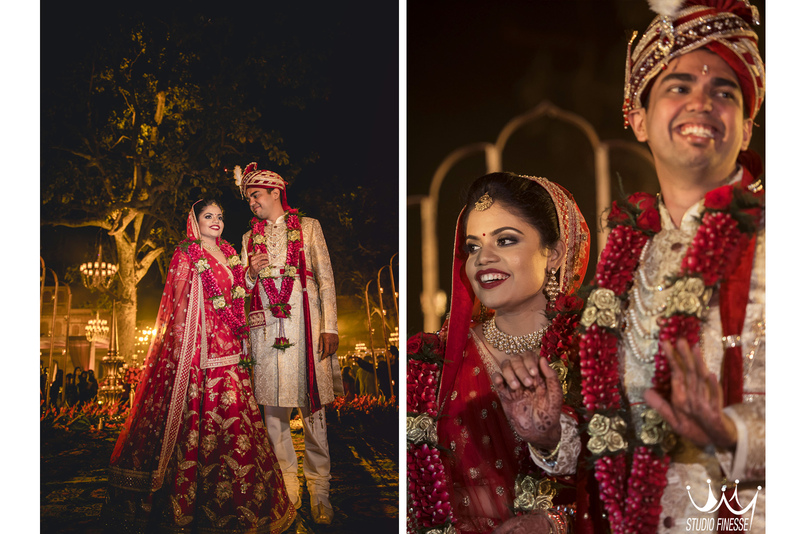 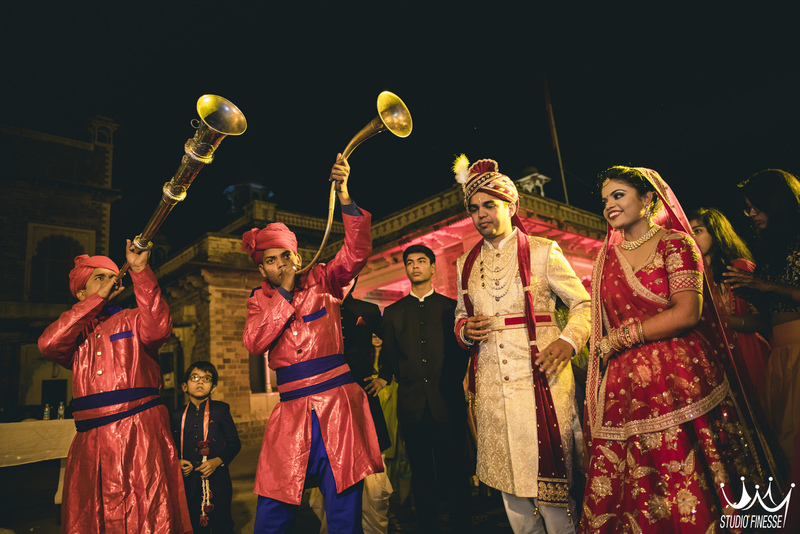 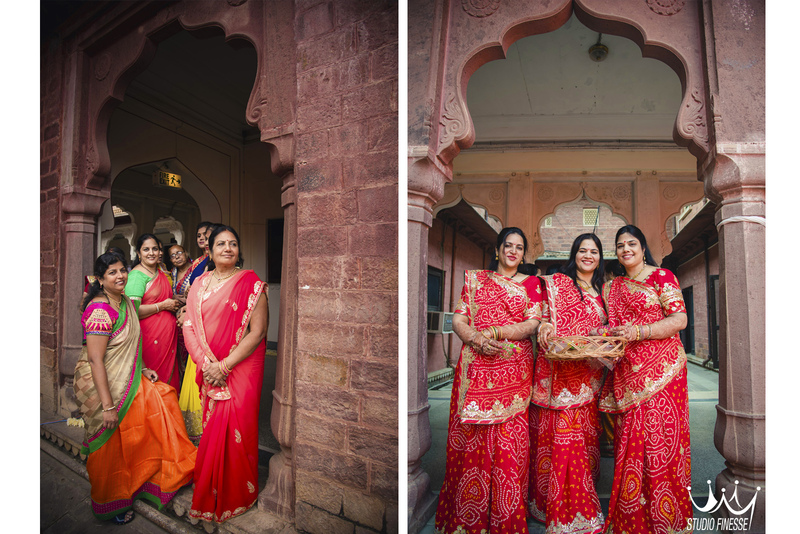 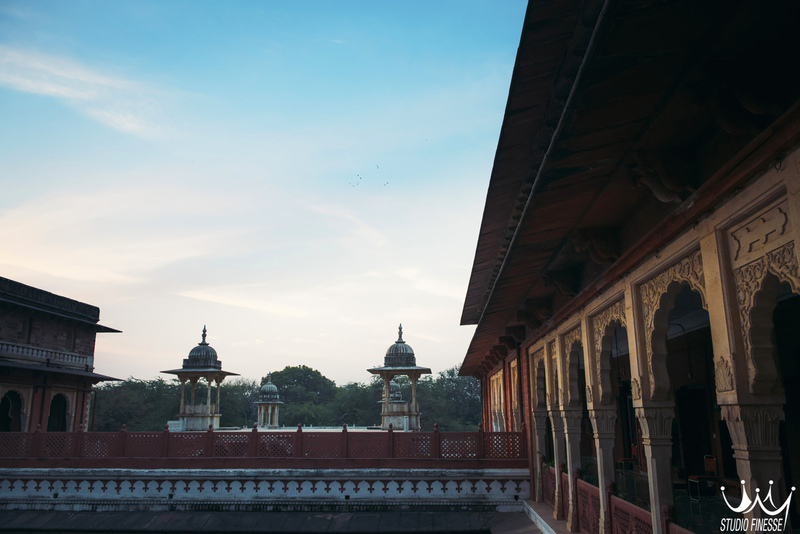 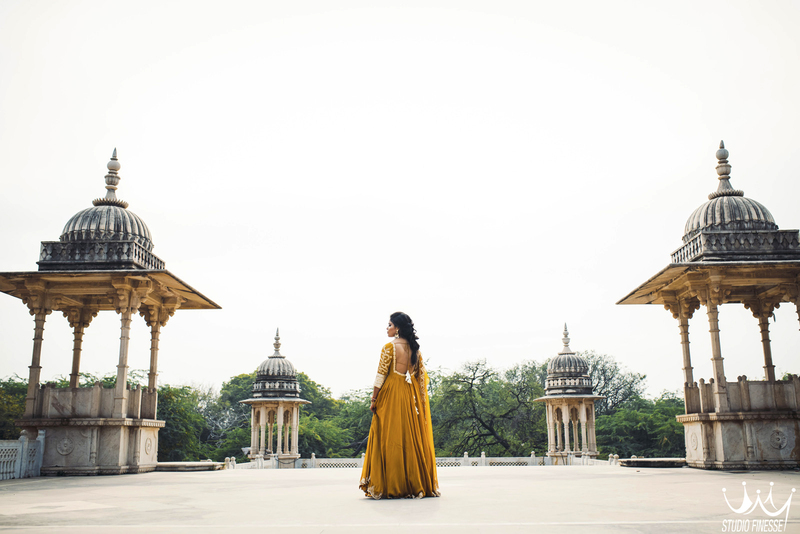 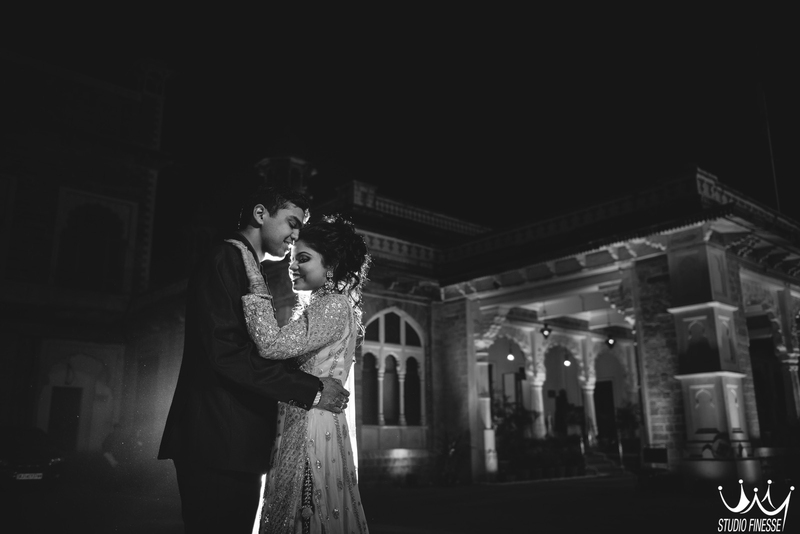 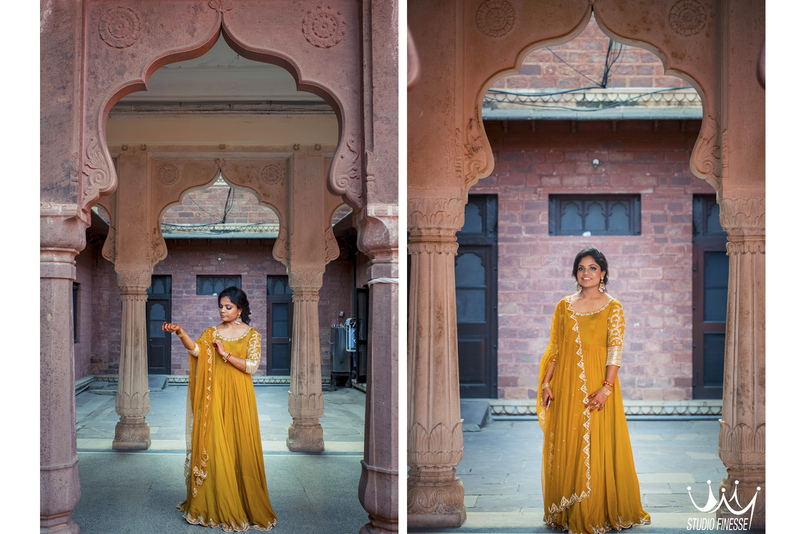 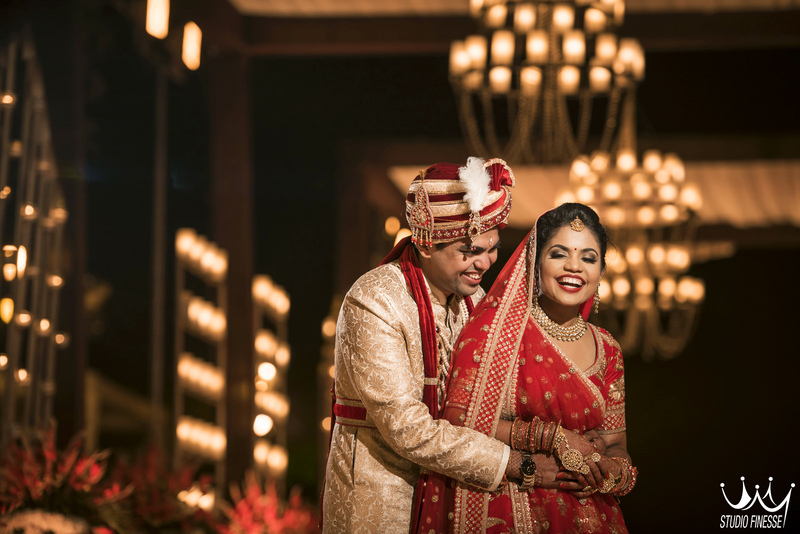 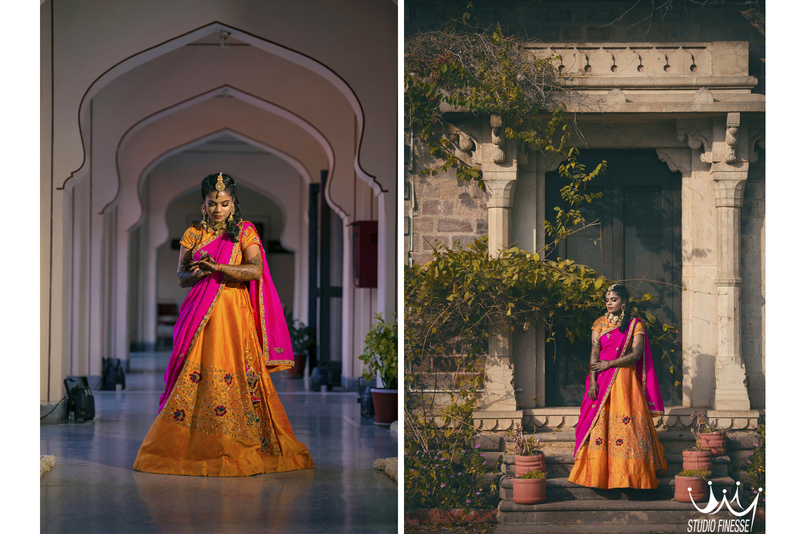 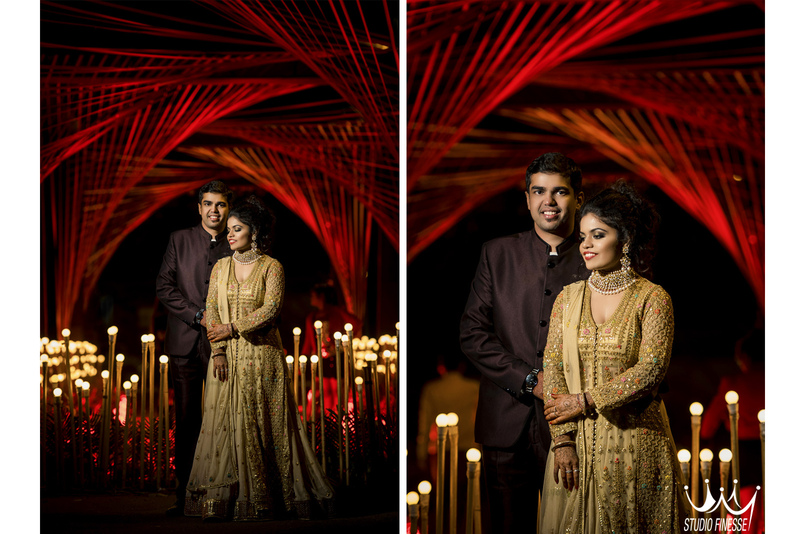 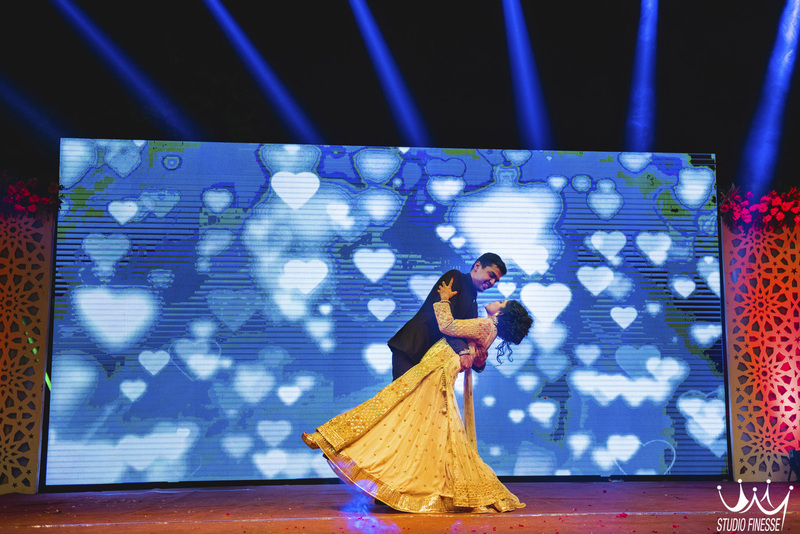 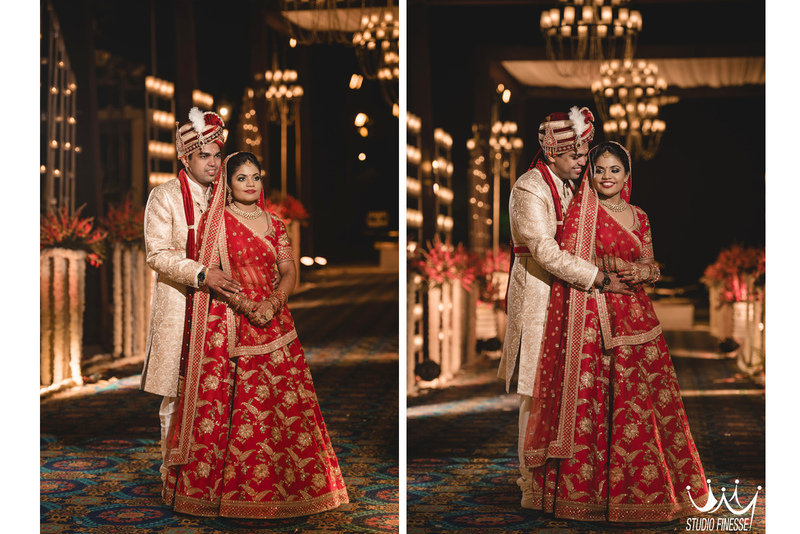 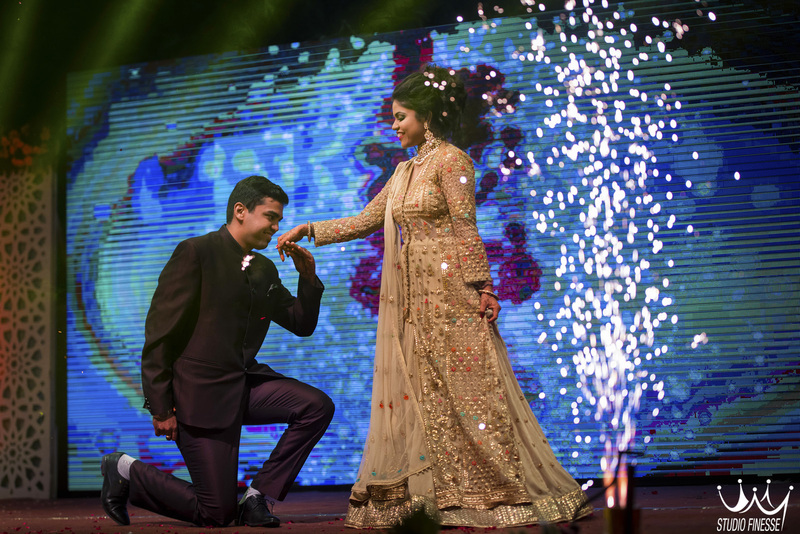 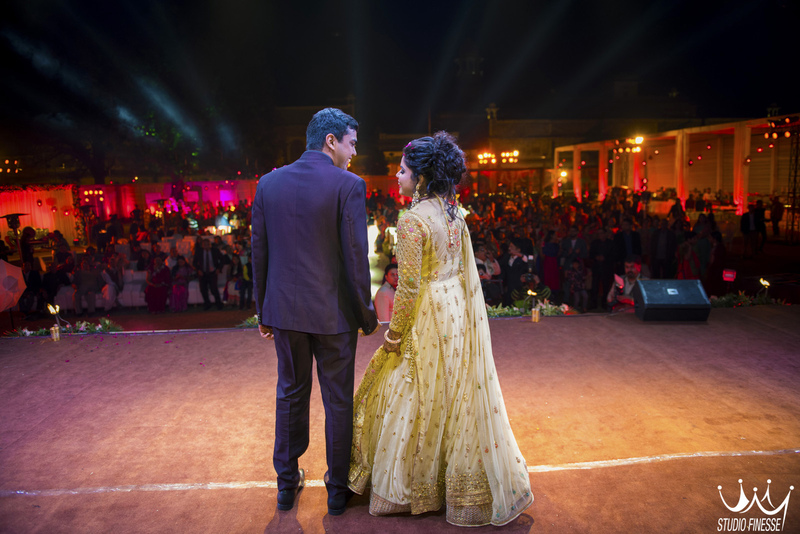 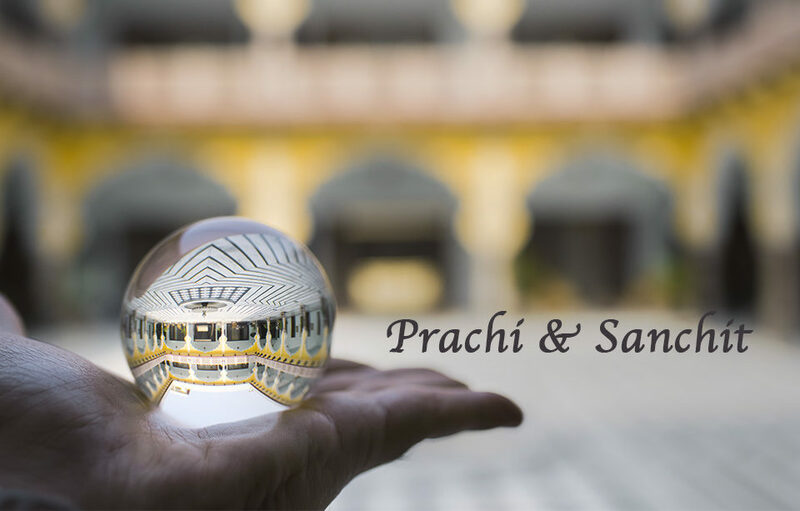 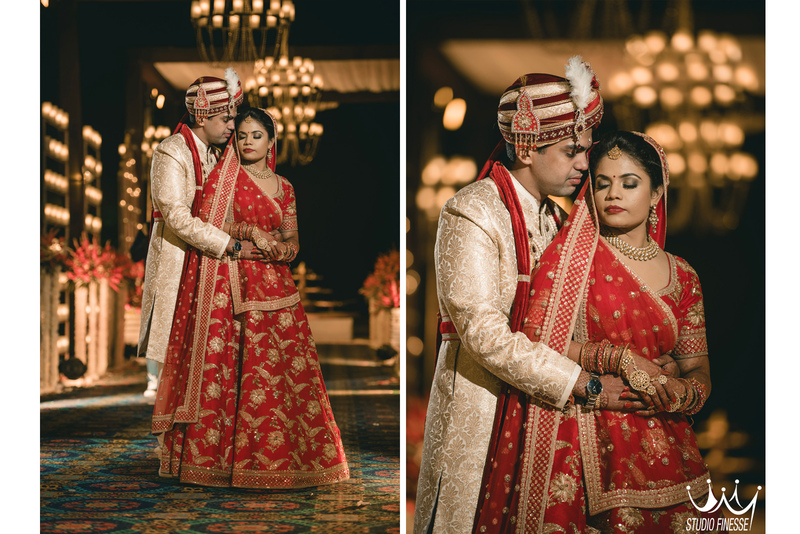 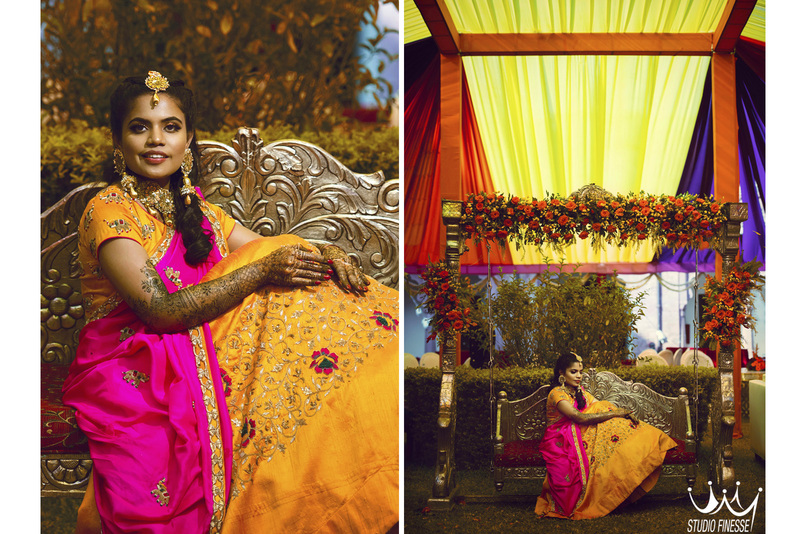 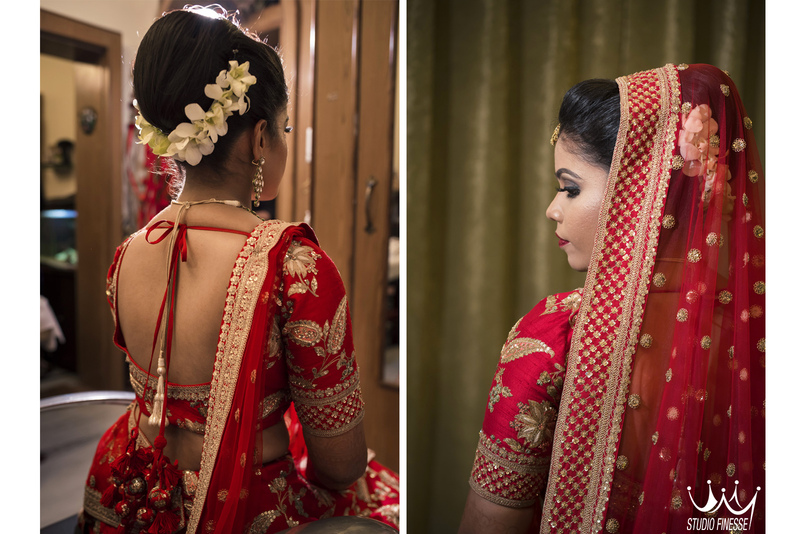 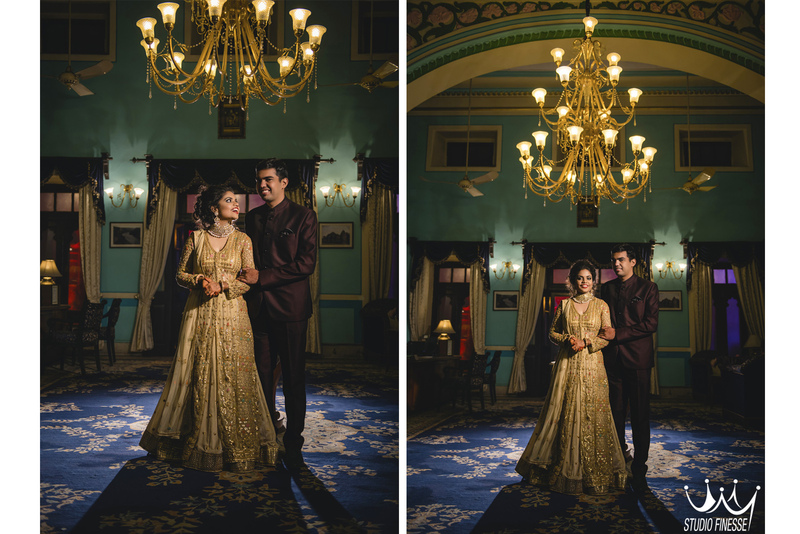 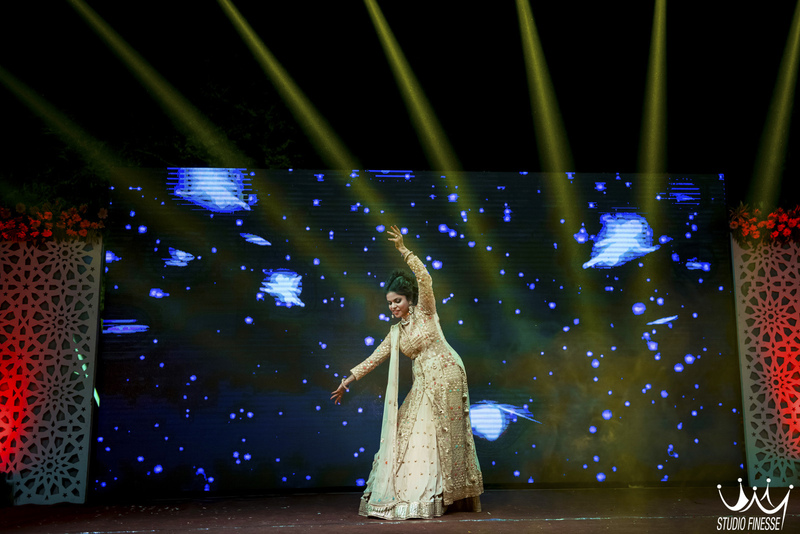 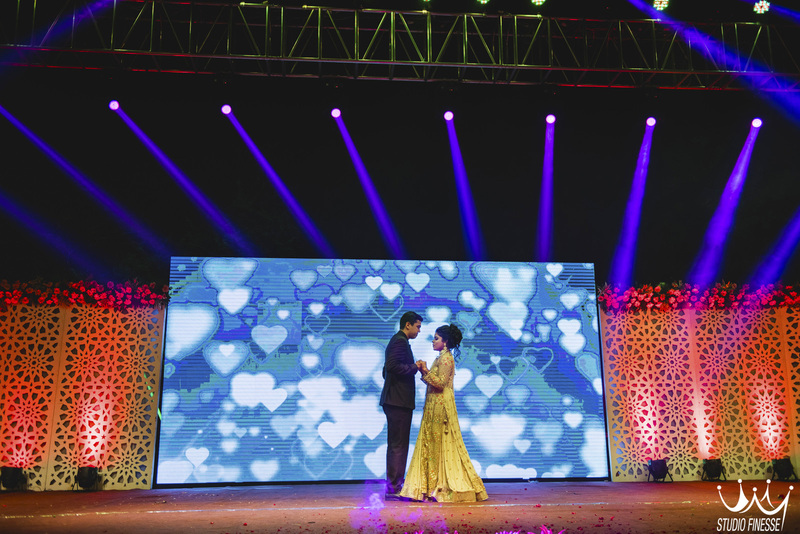 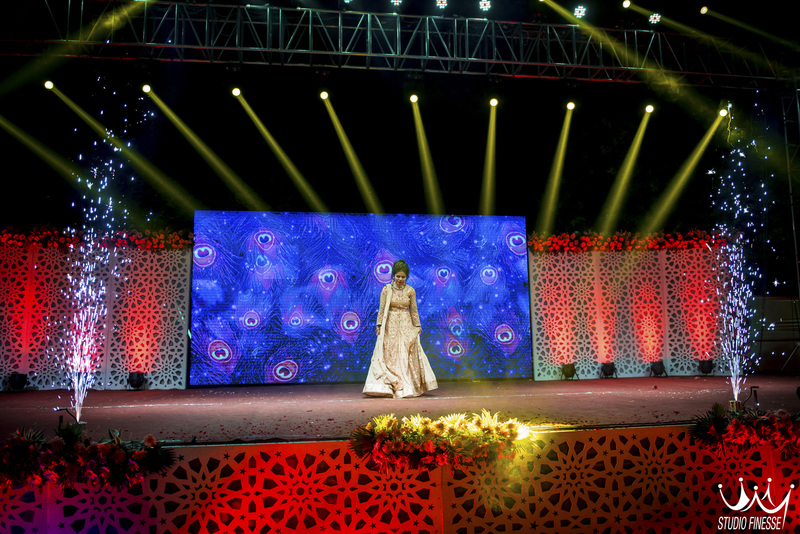 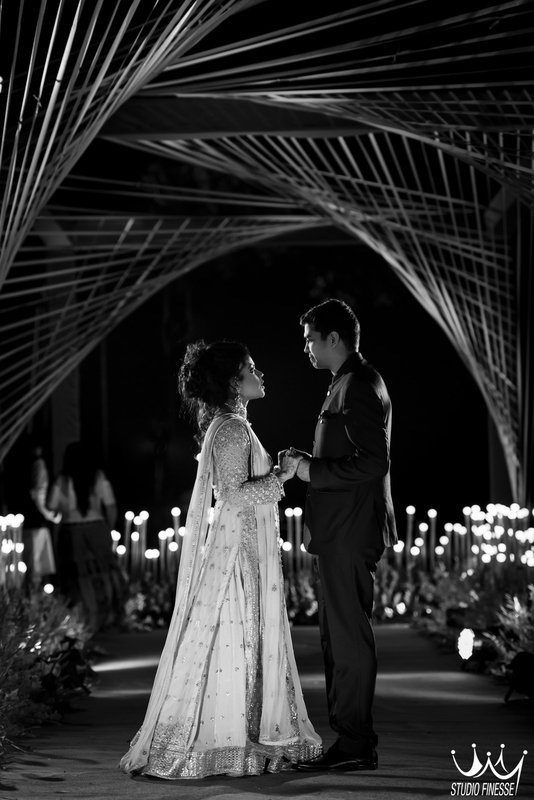 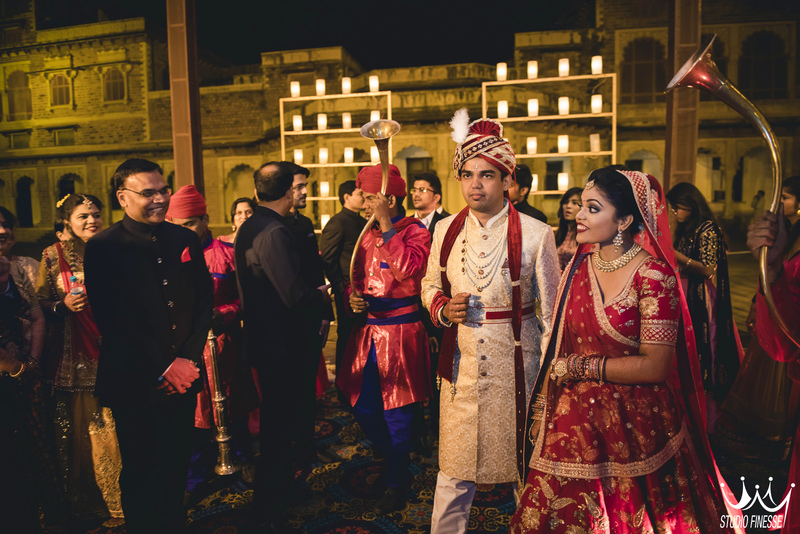 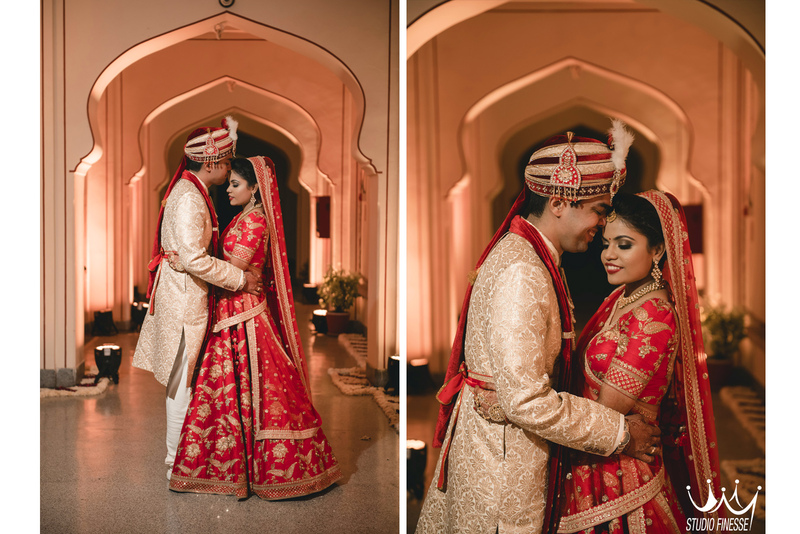 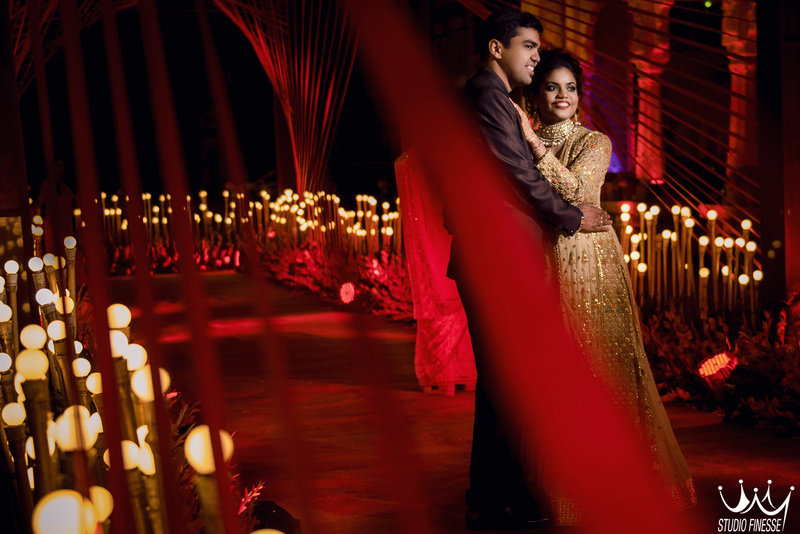 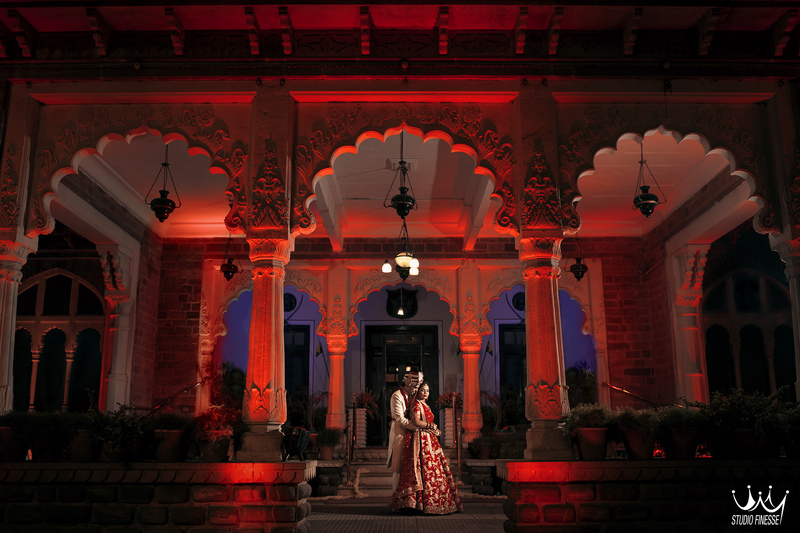 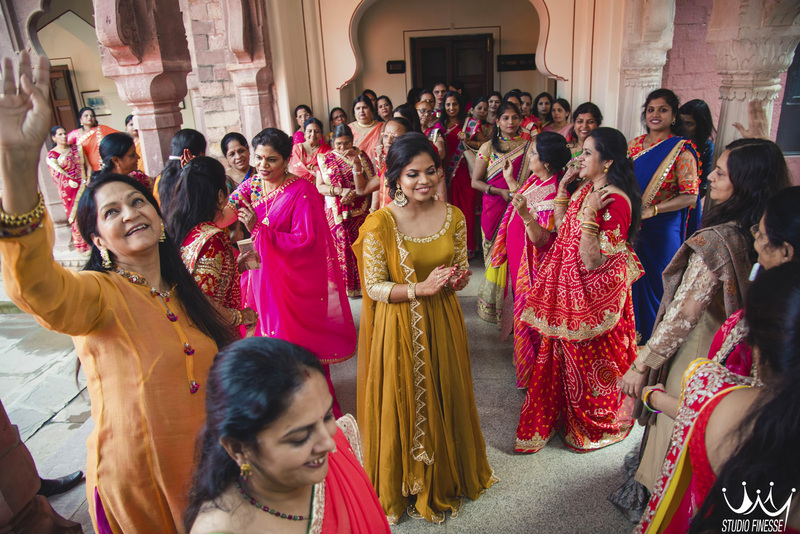 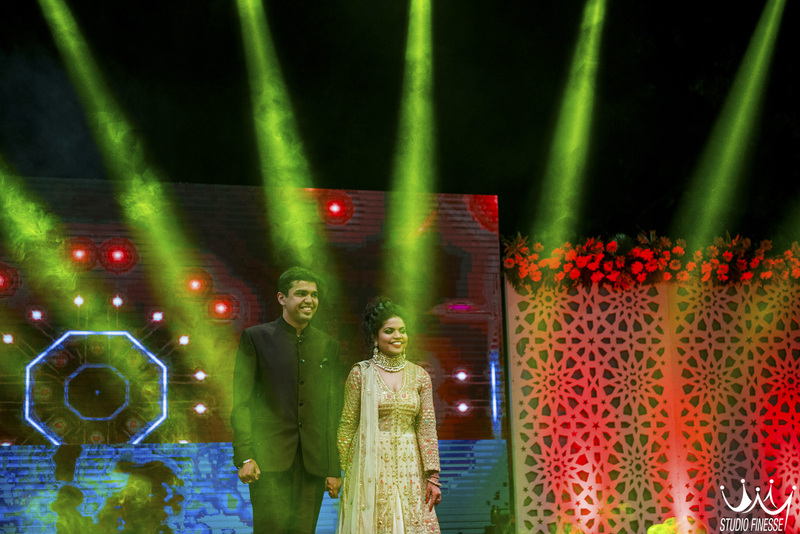 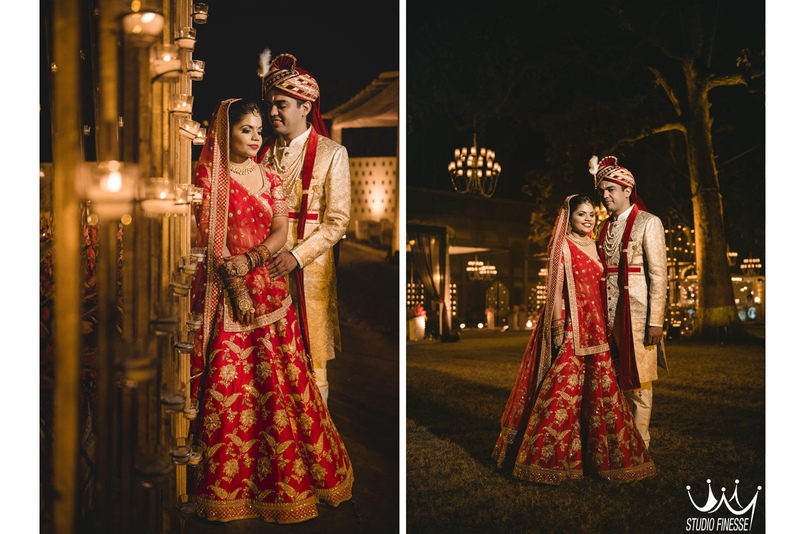 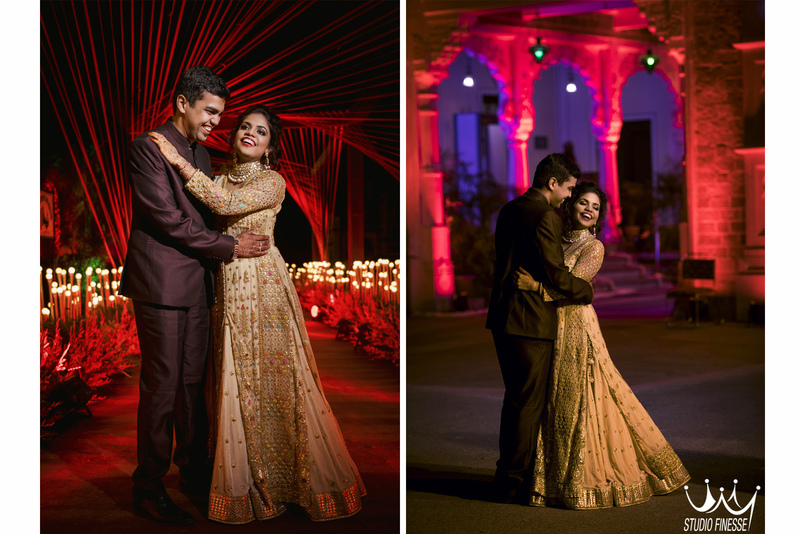 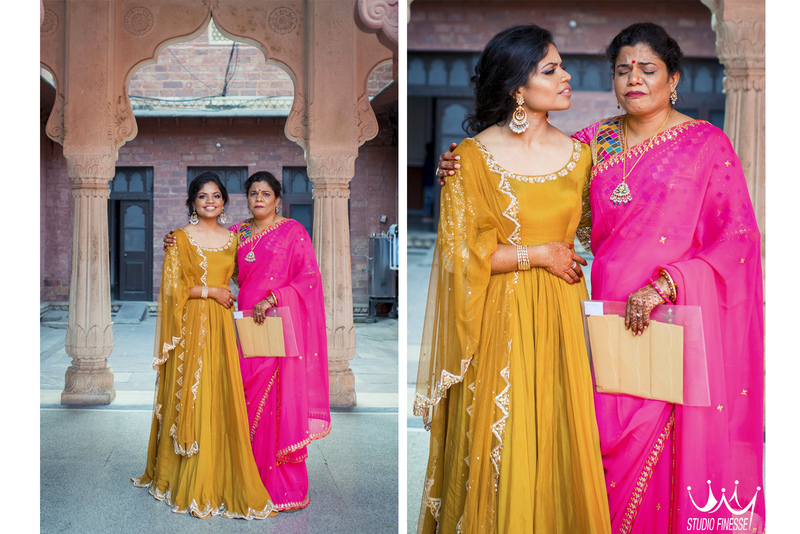 Prachi & Sanchit’s wedding took place in the beautiful property that the Umed Bhawan Palace is, situated in Kota. 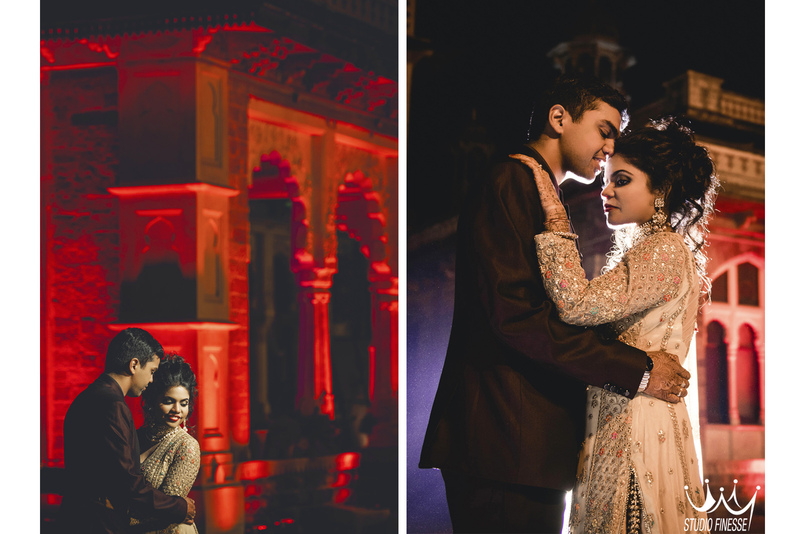 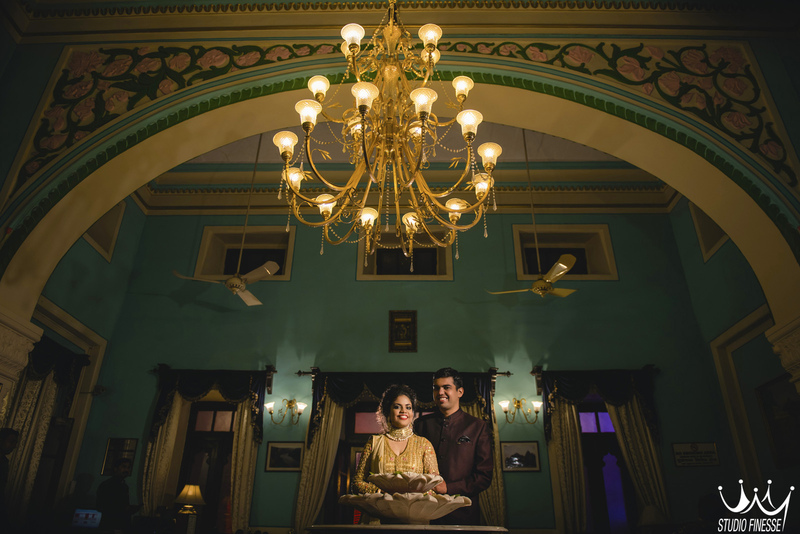 And equally beautiful was their romance which was hard to miss that we captured in their pre wedding shoot in Noor Mahal, Karnal. 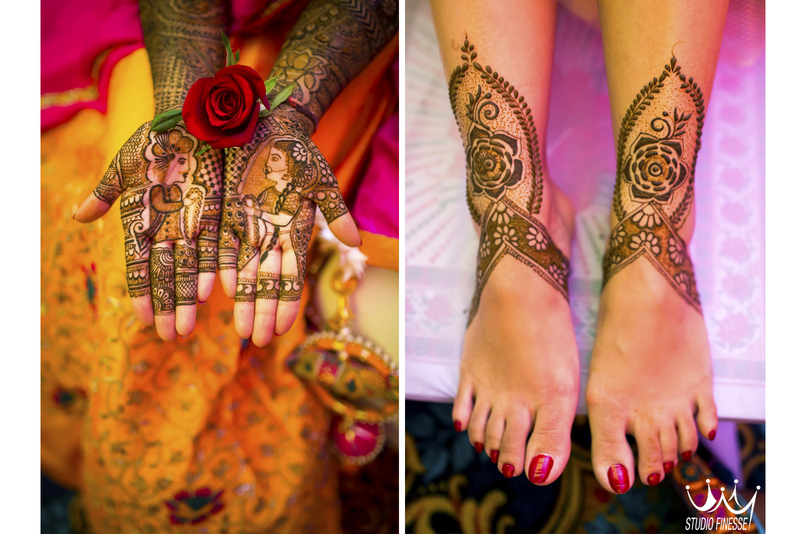 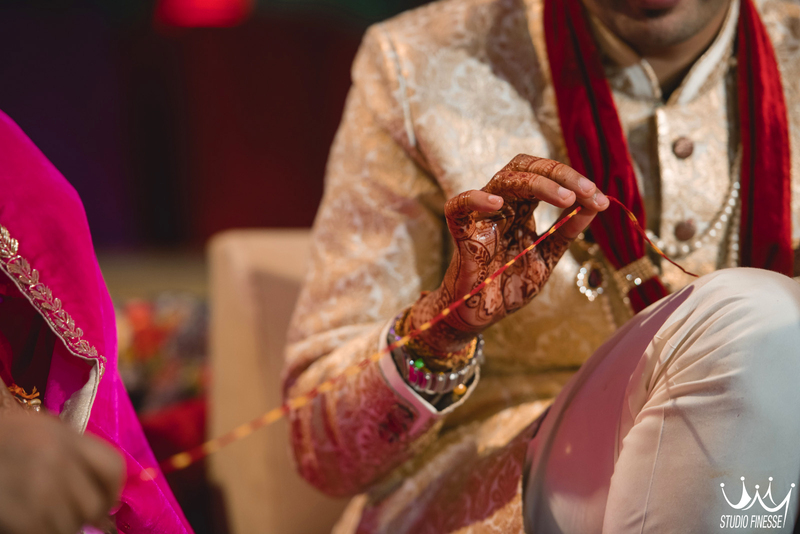 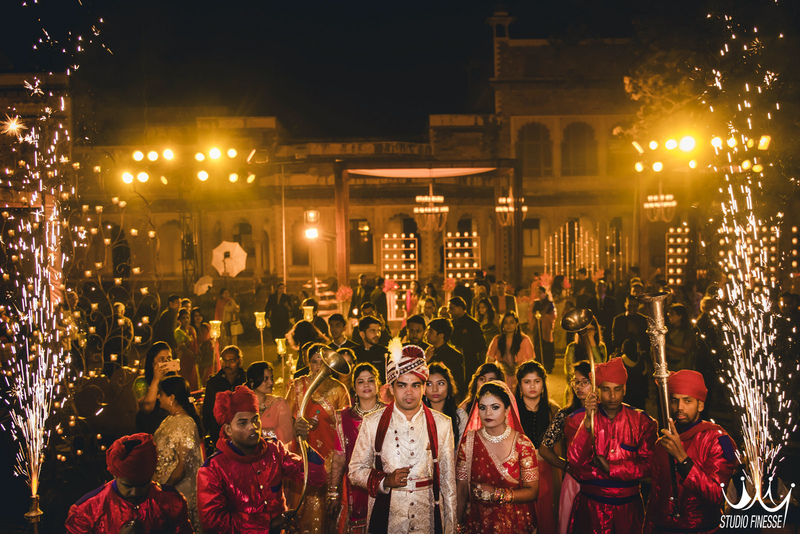 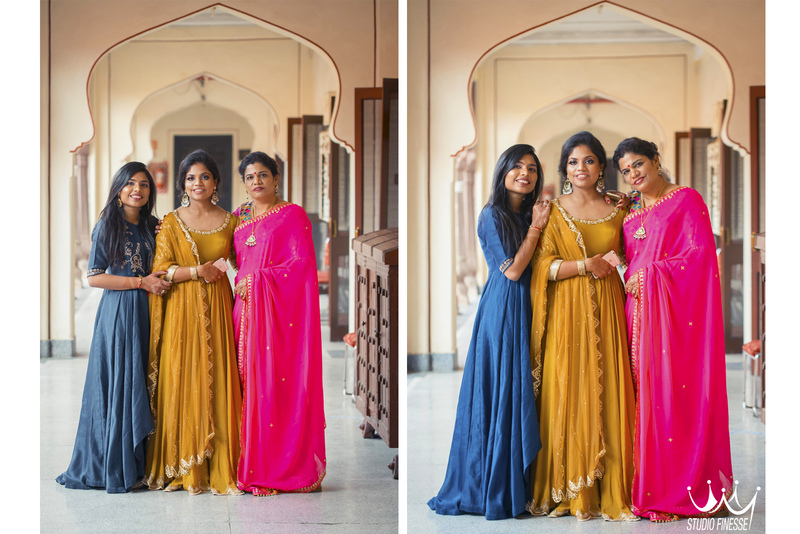 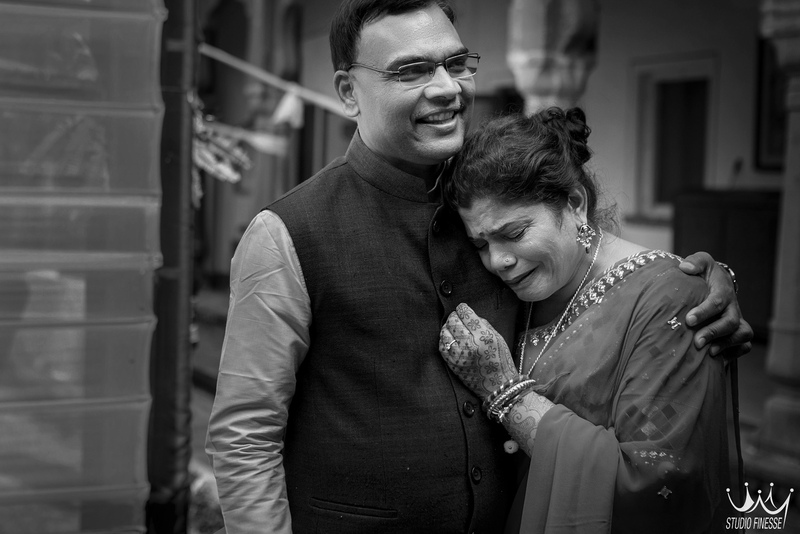 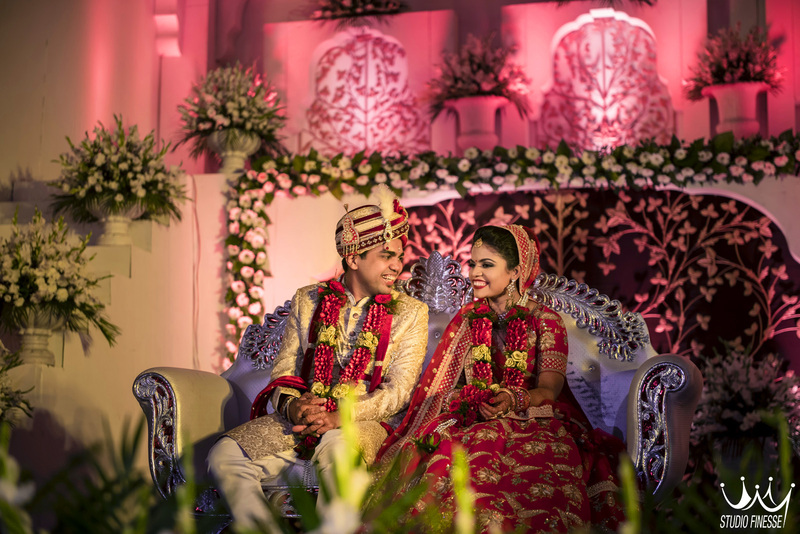 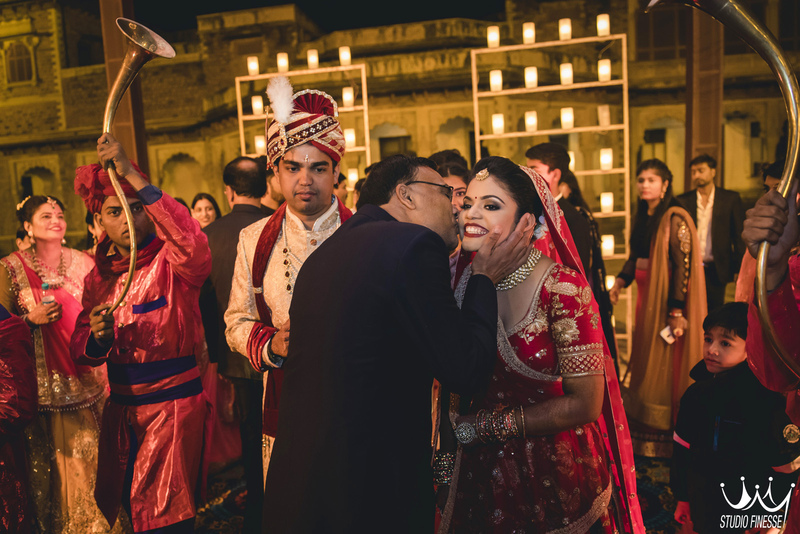 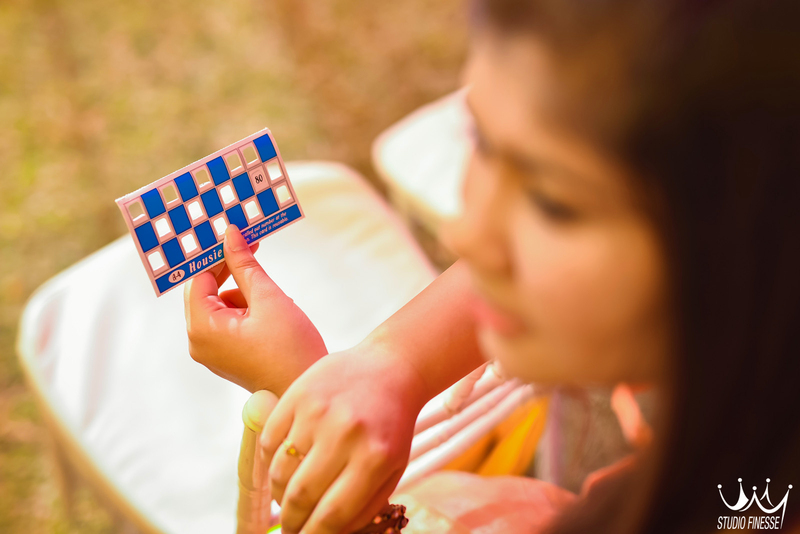 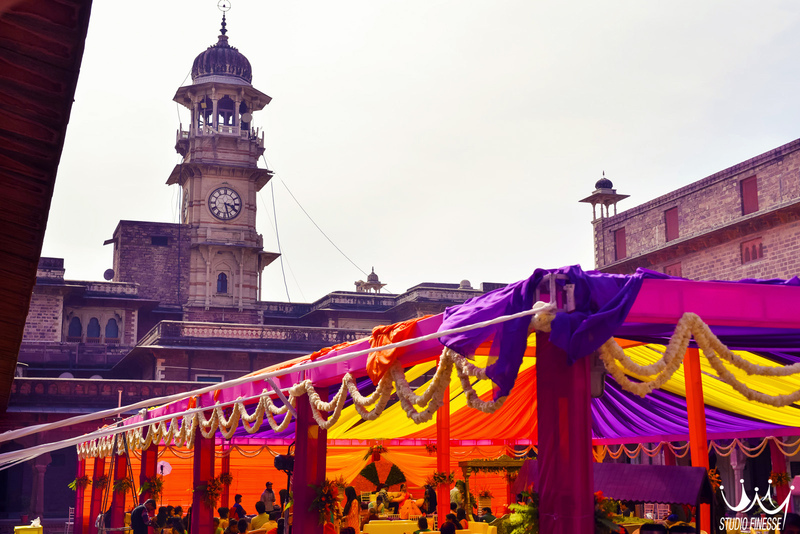 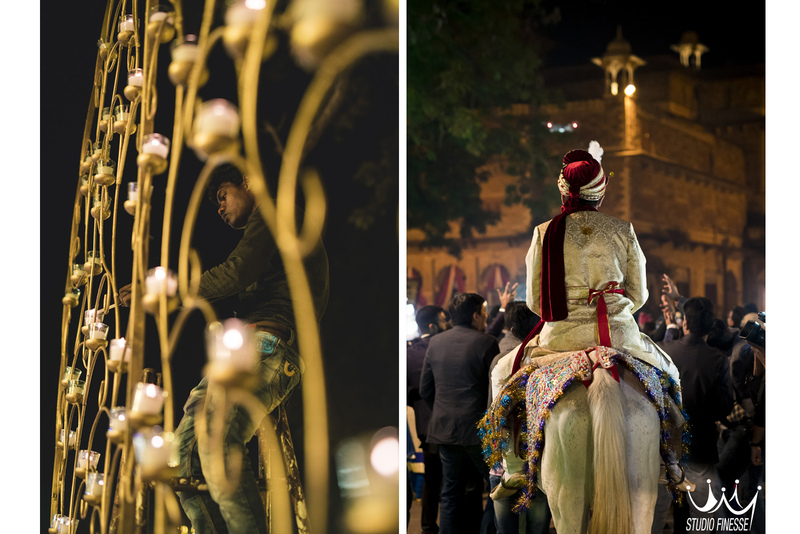 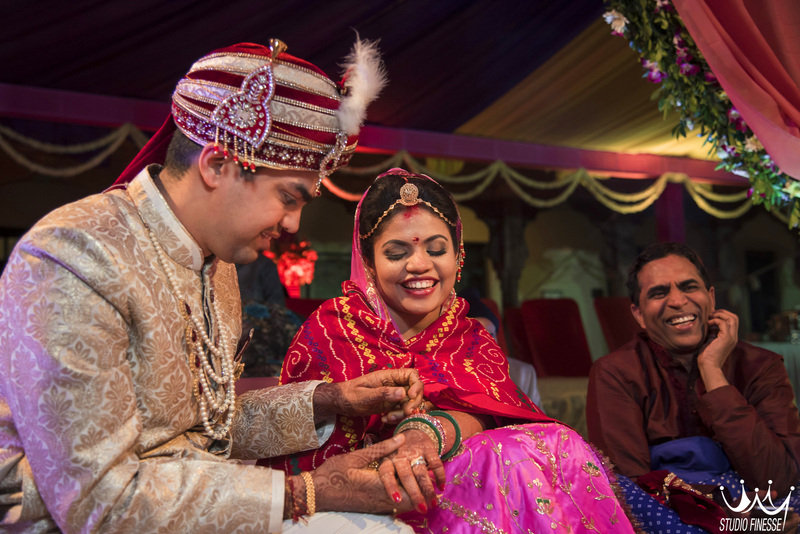 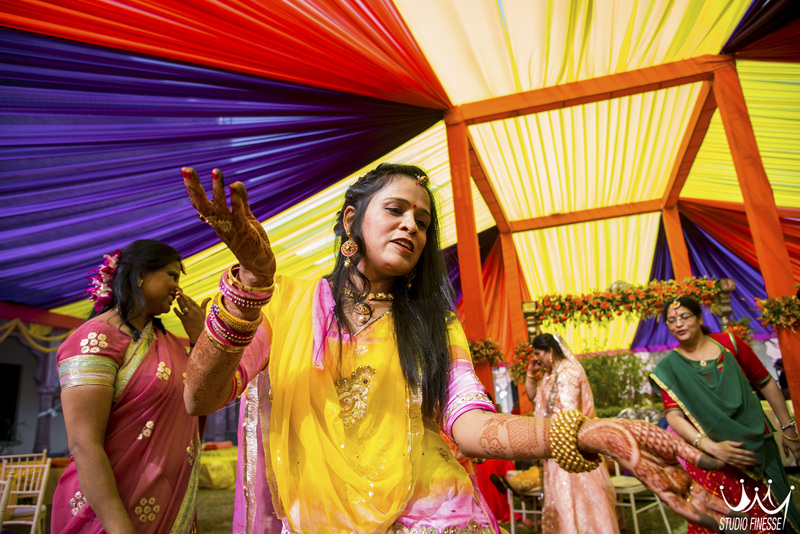 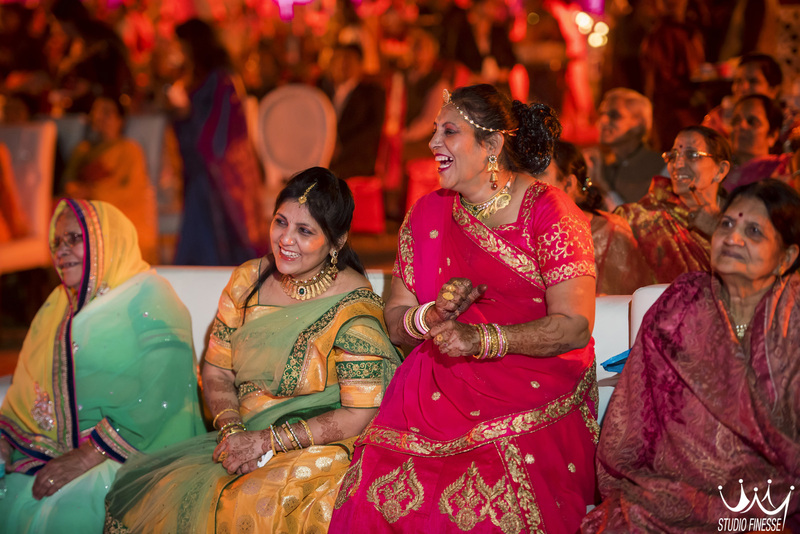 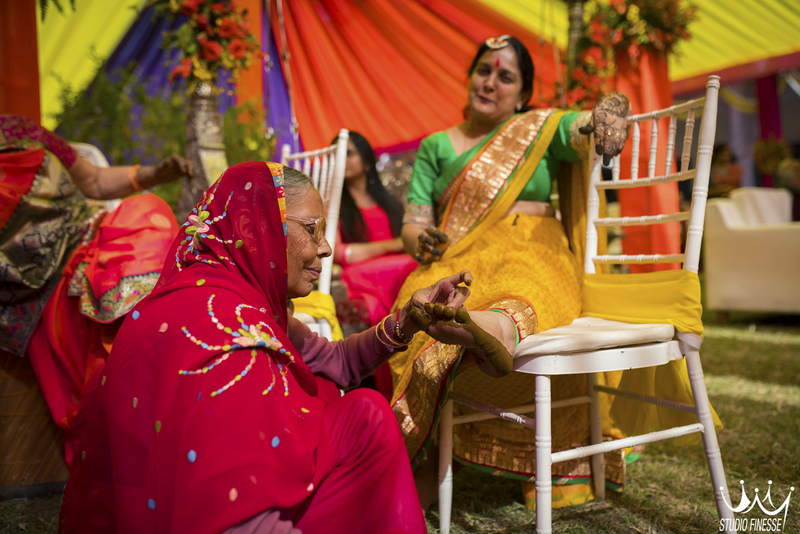 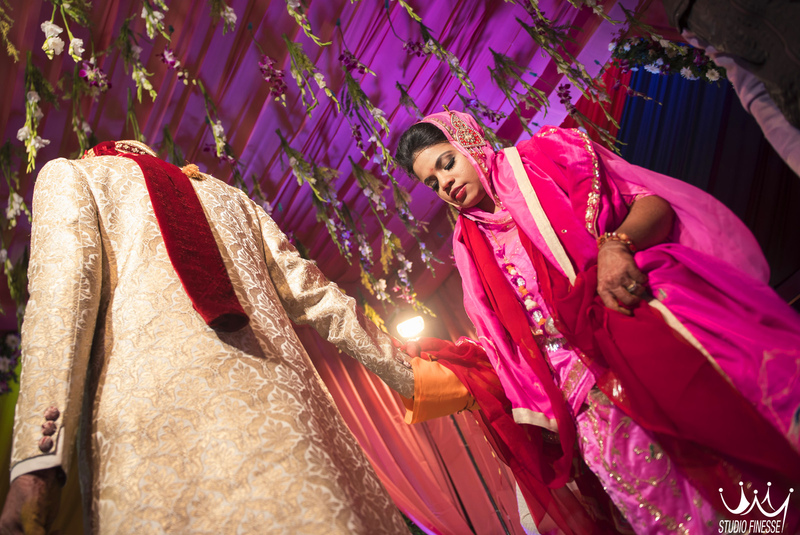 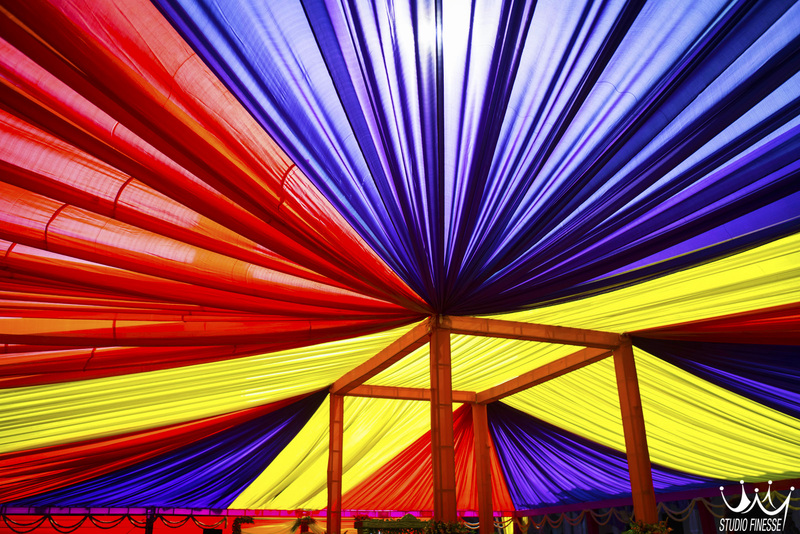 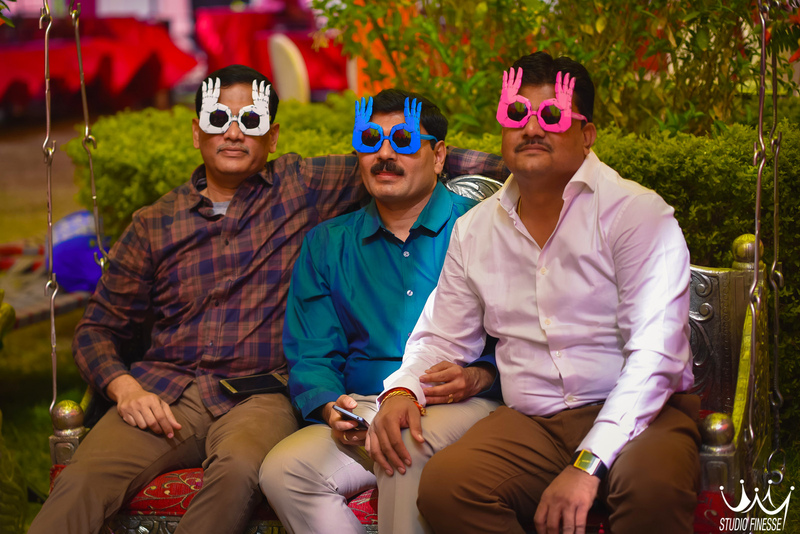 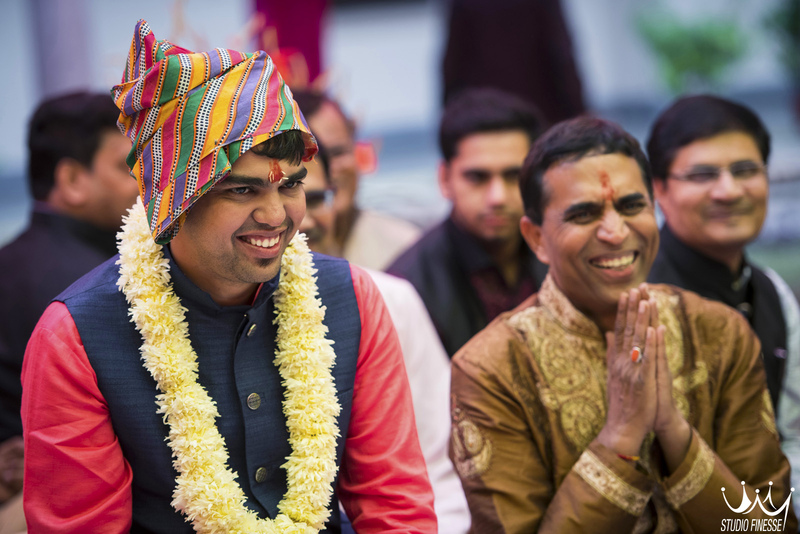 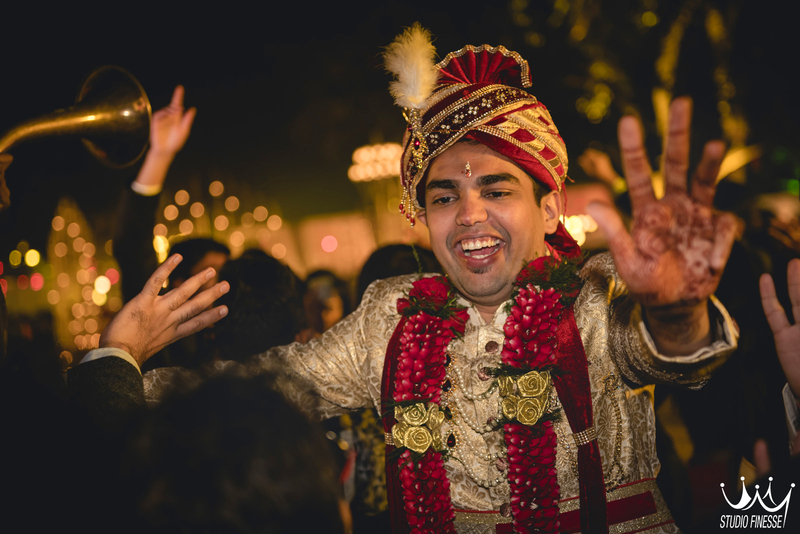 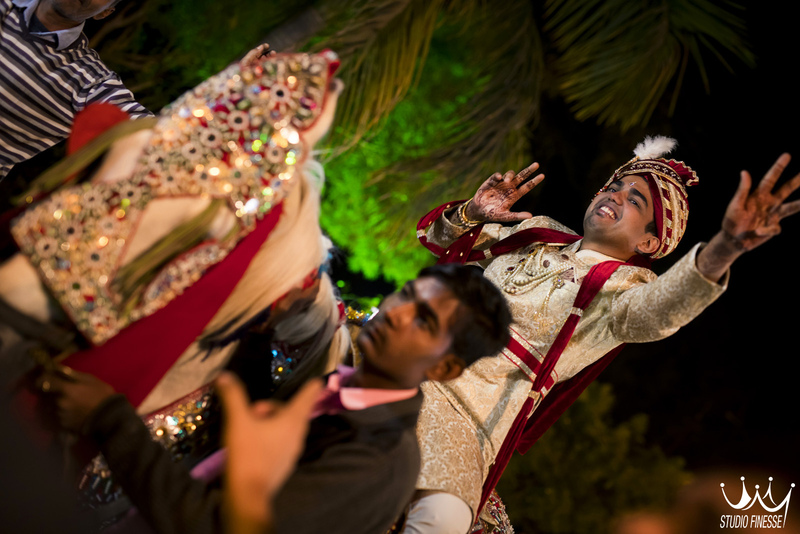 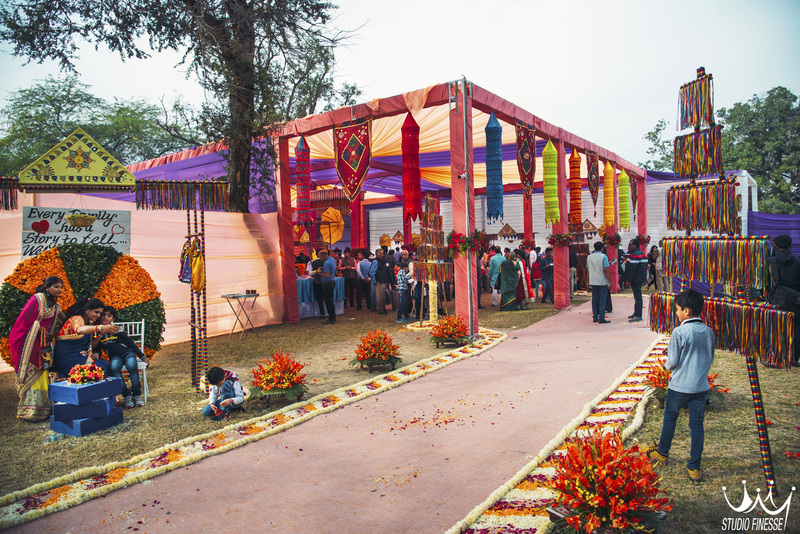 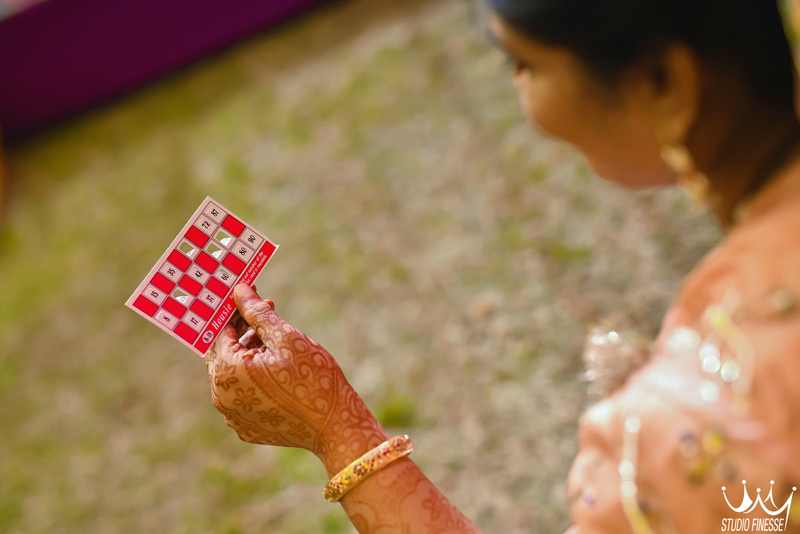 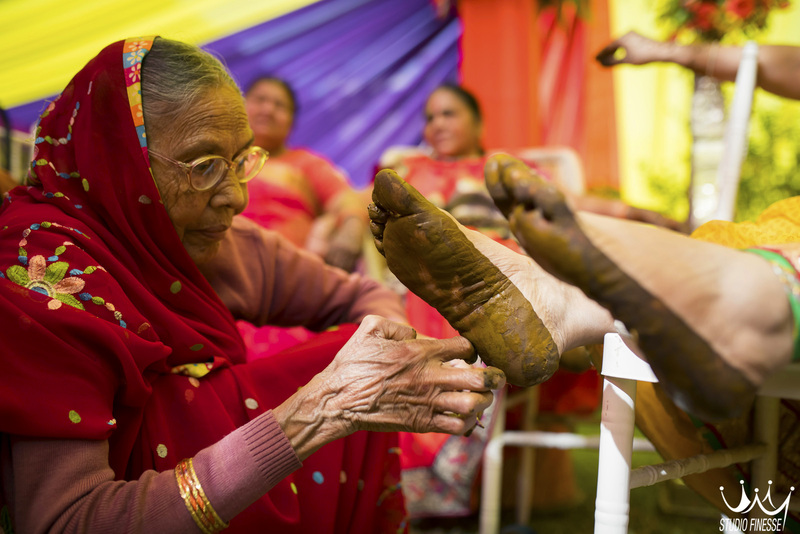 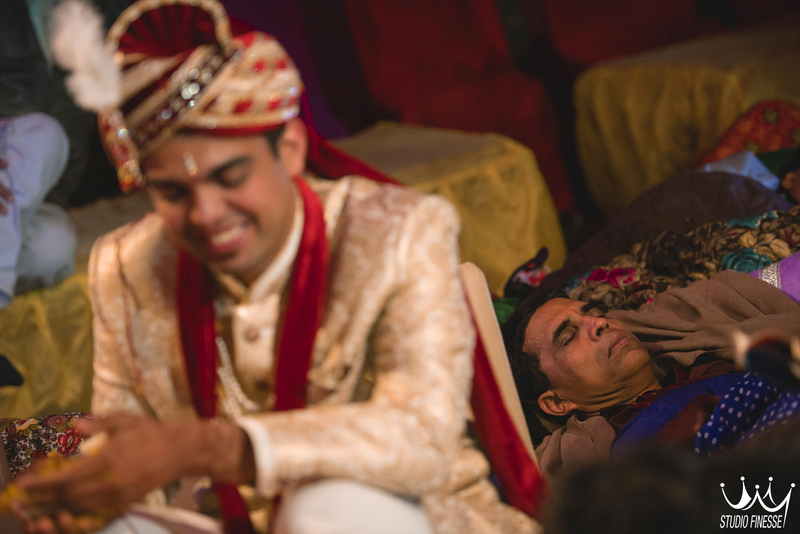 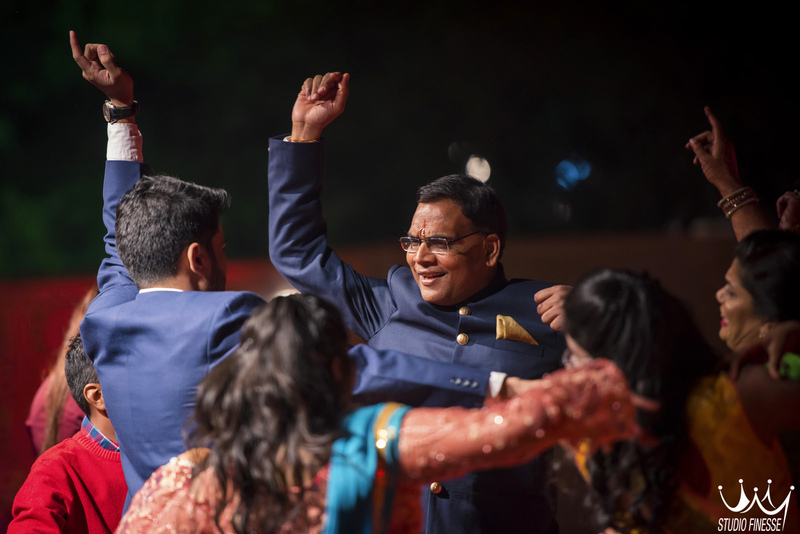 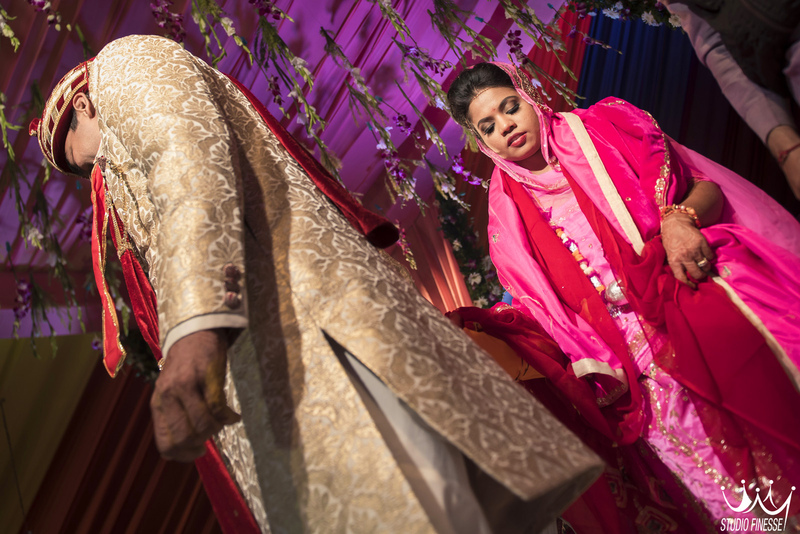 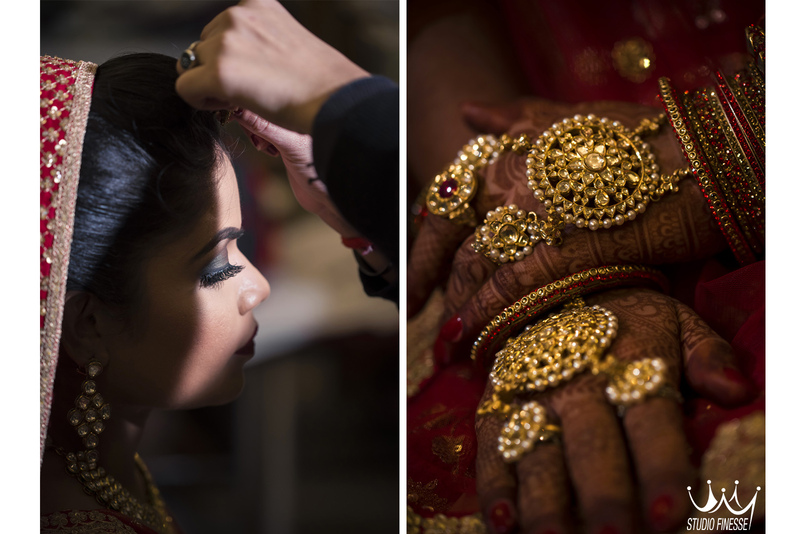 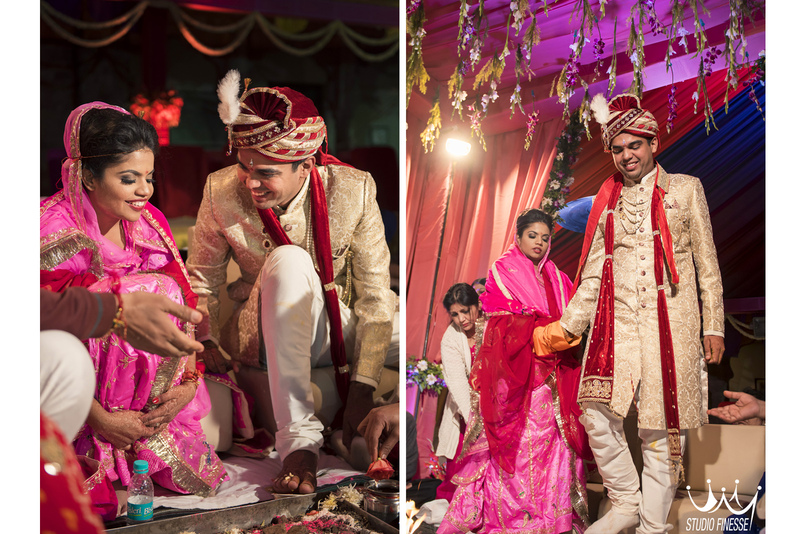 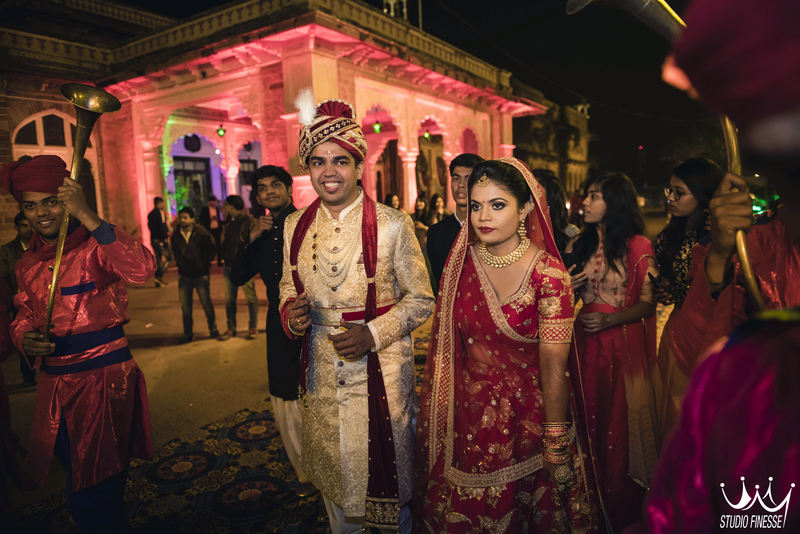 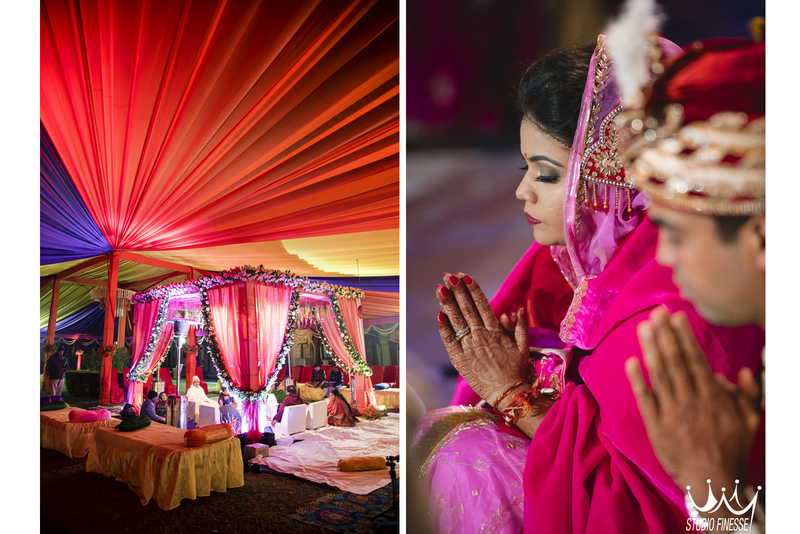 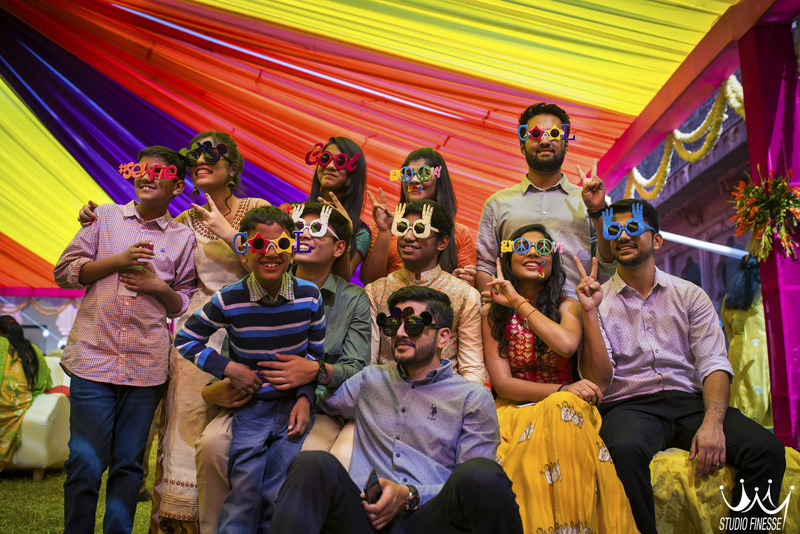 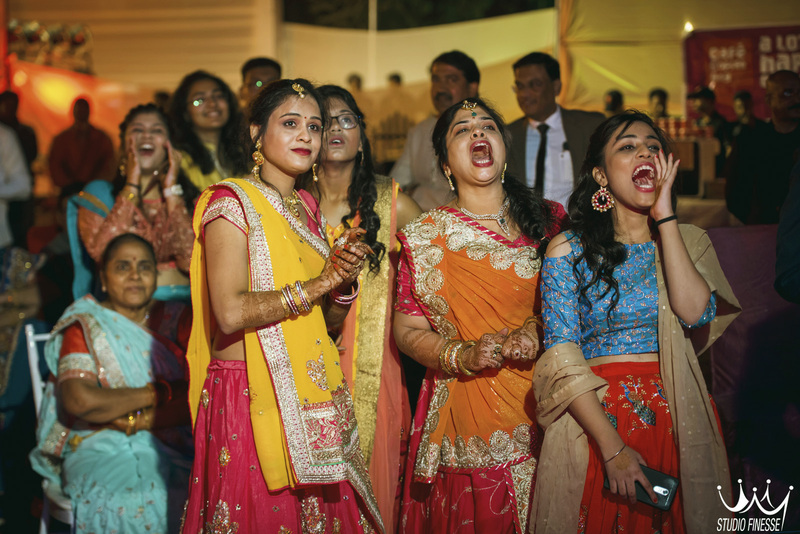 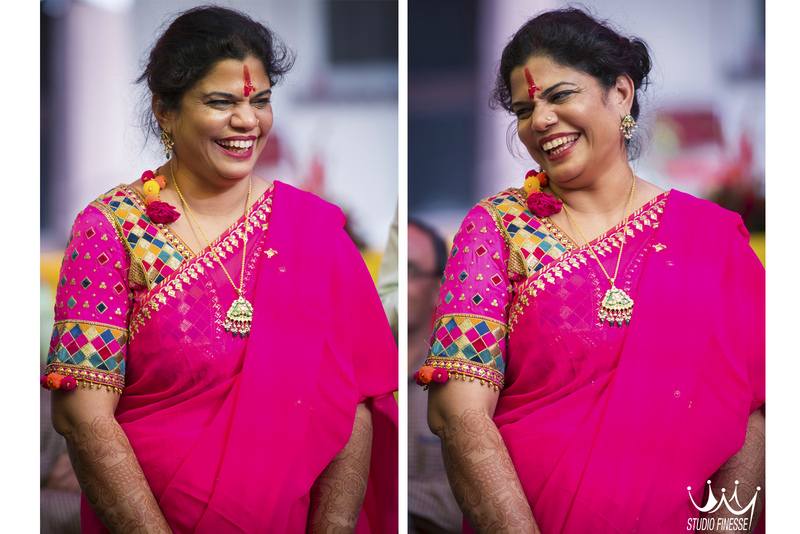 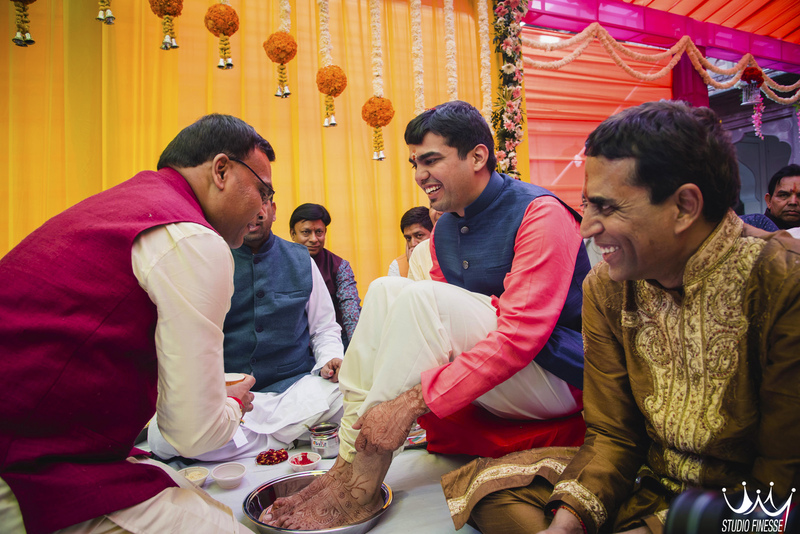 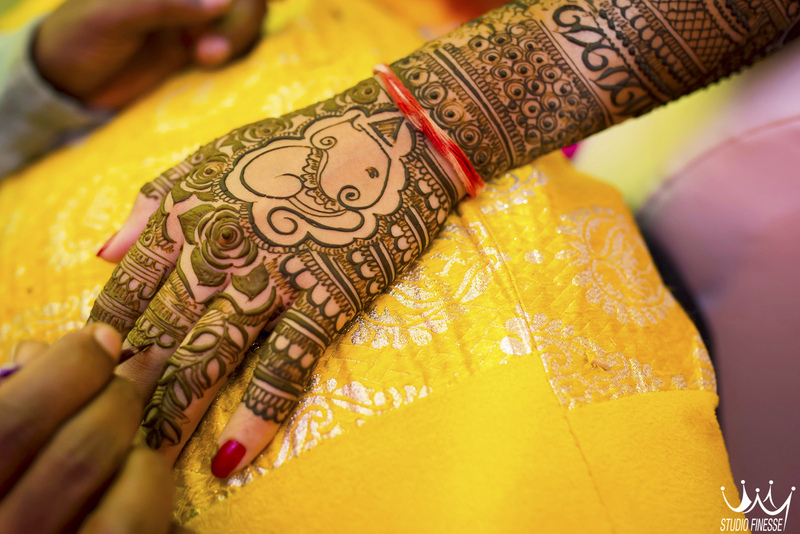 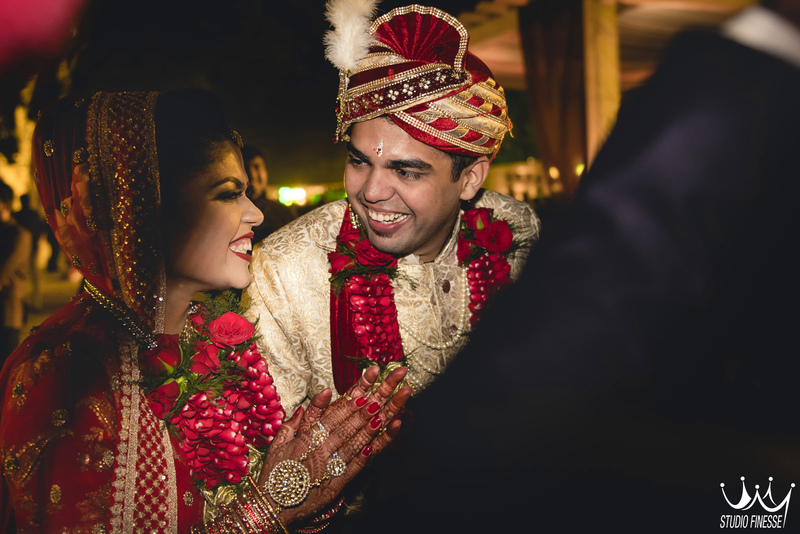 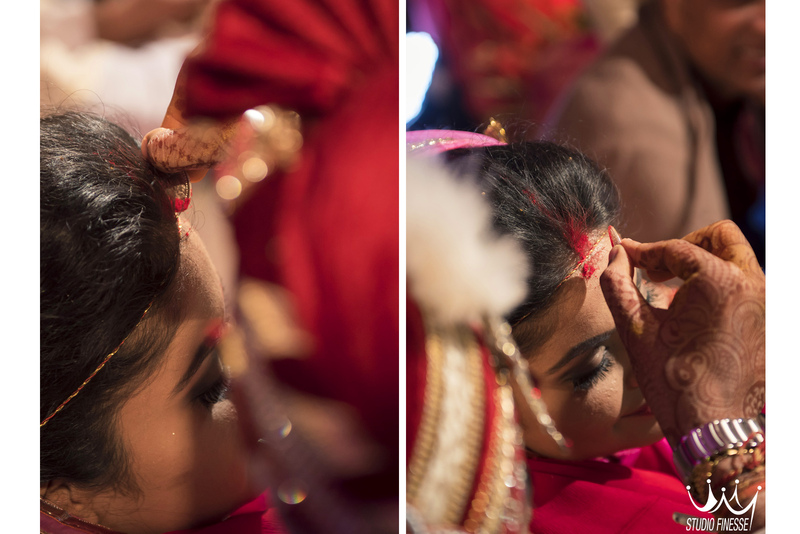 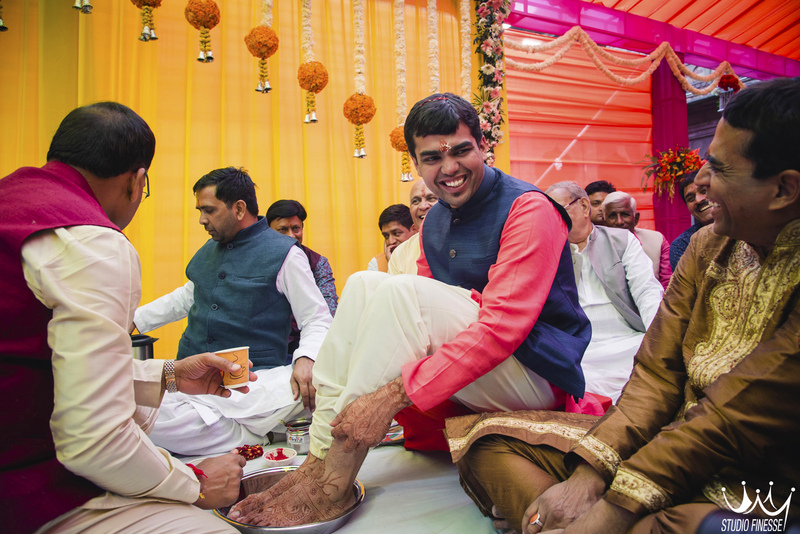 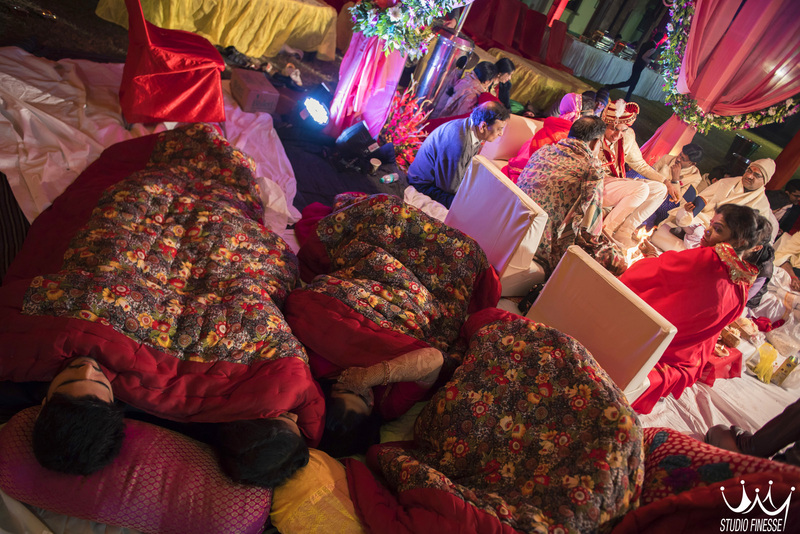 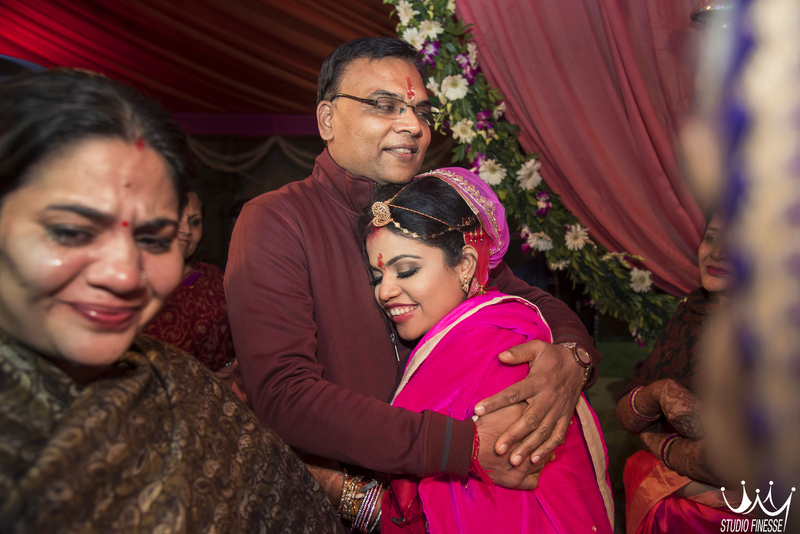 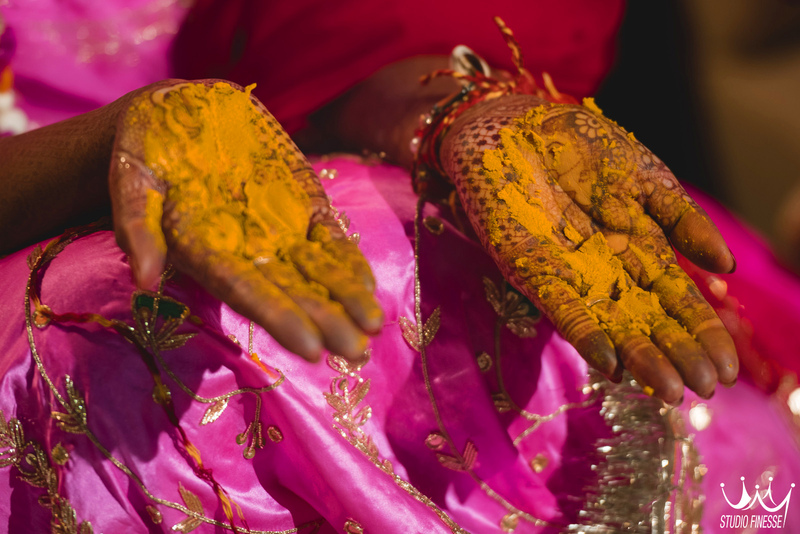 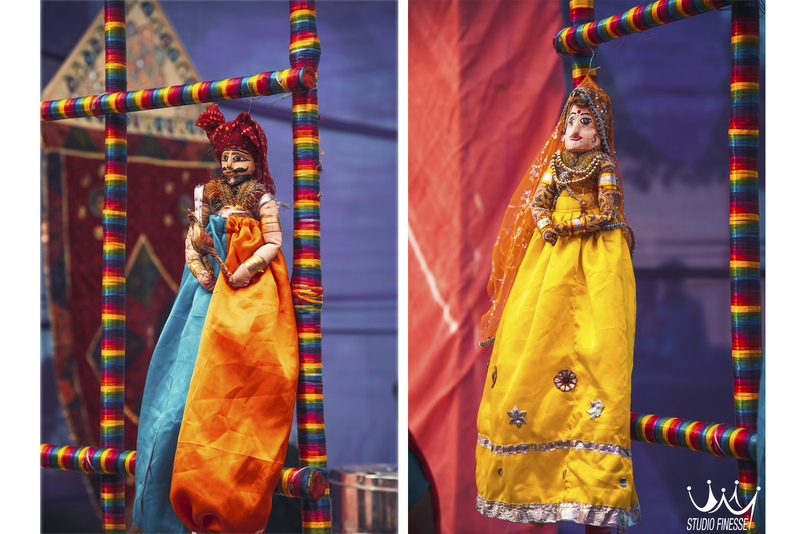 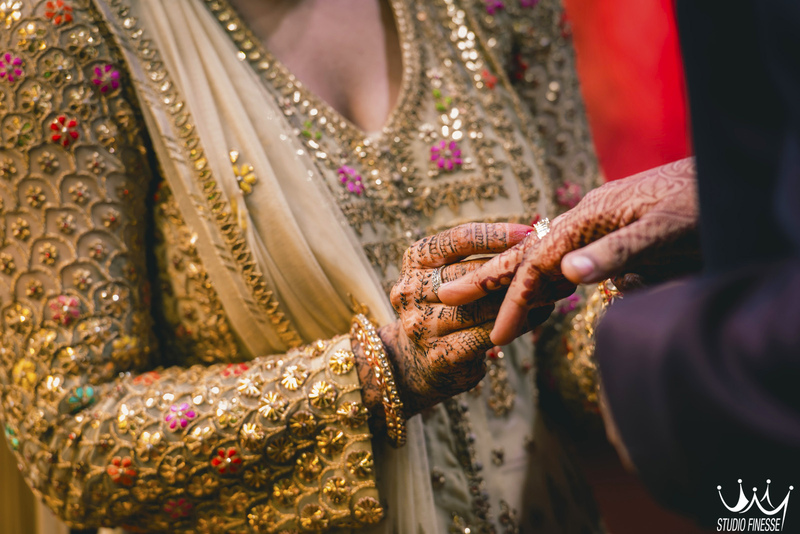 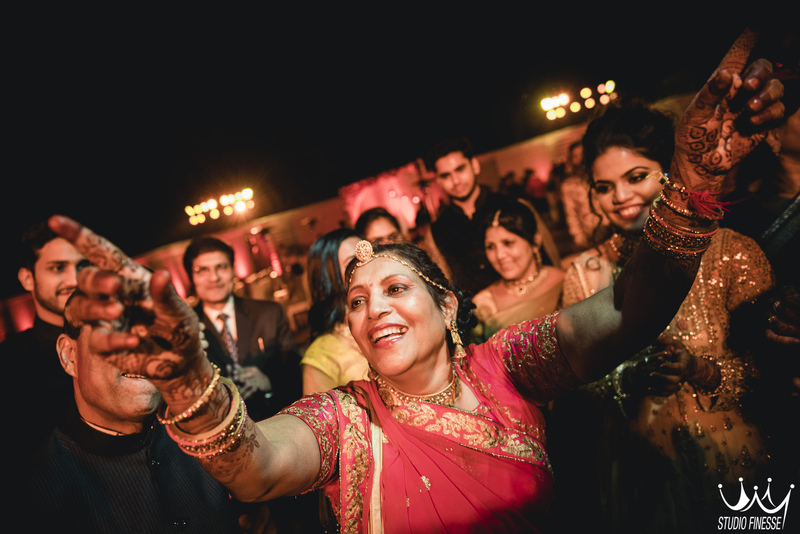 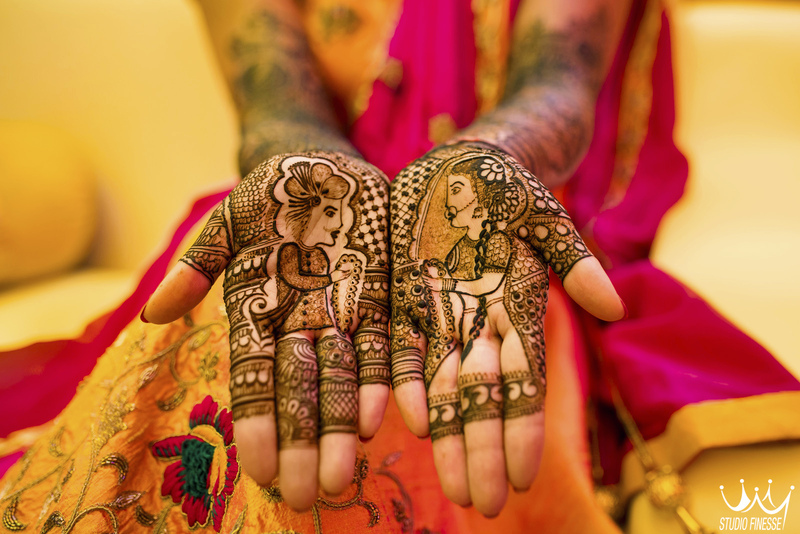 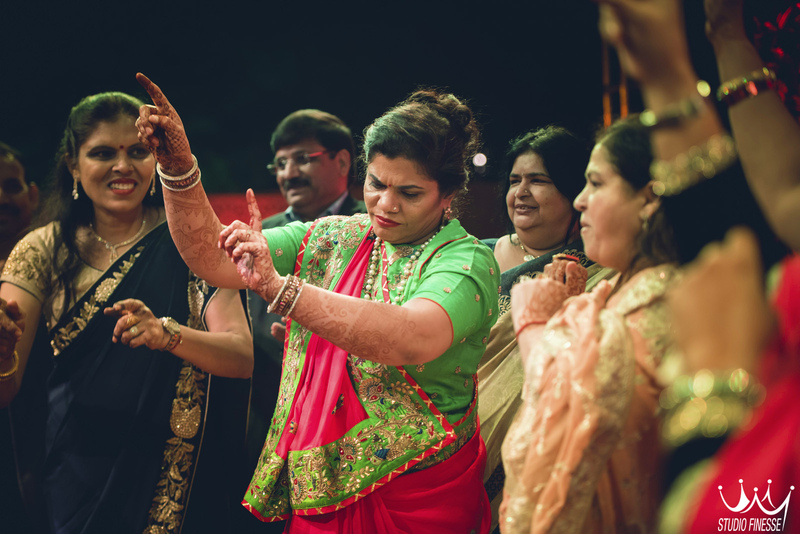 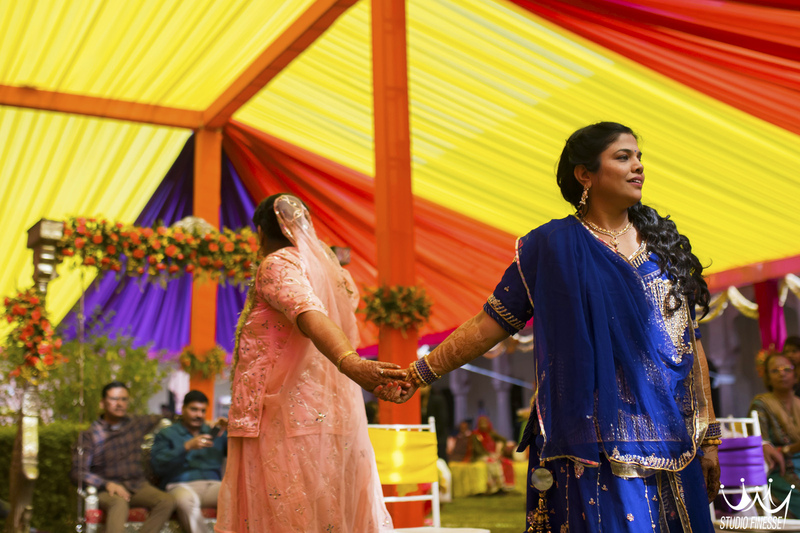 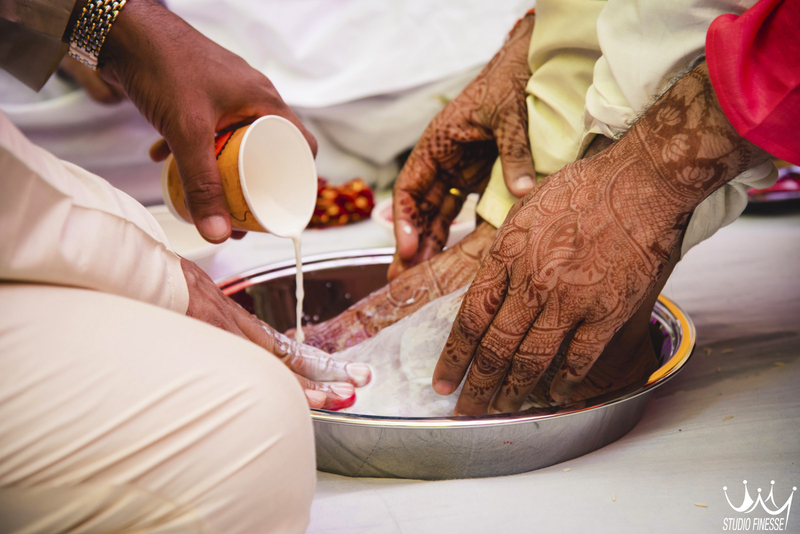 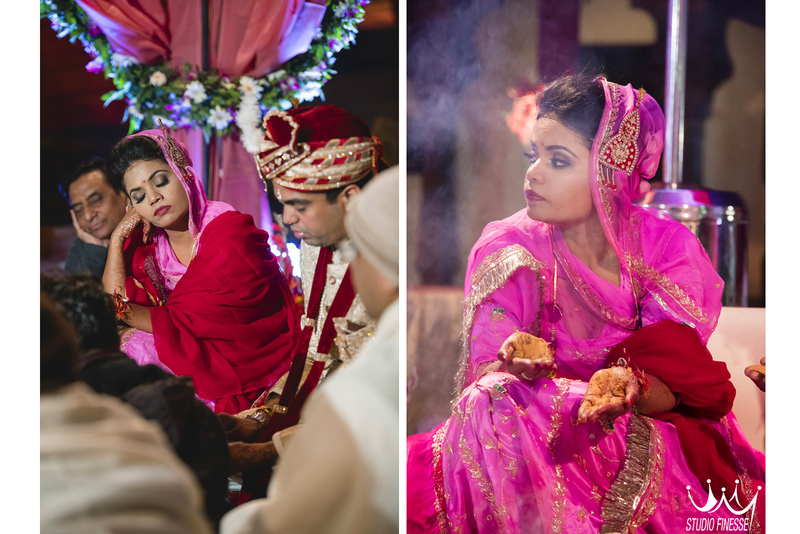 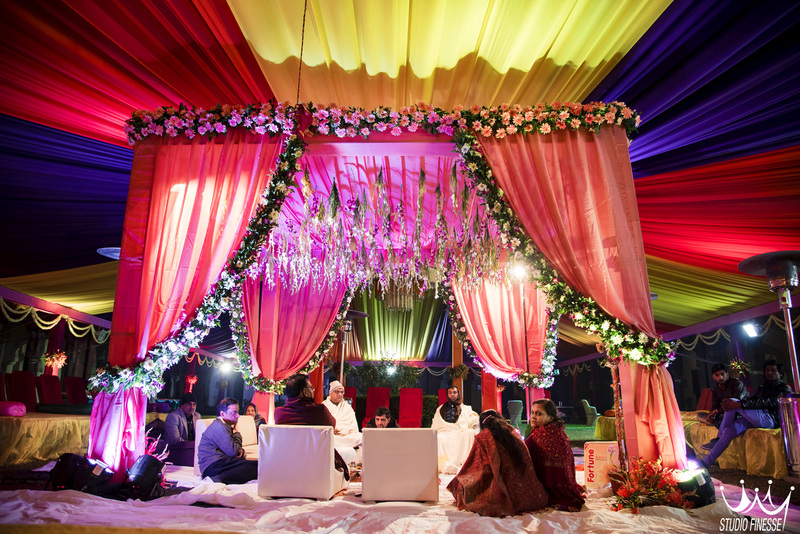 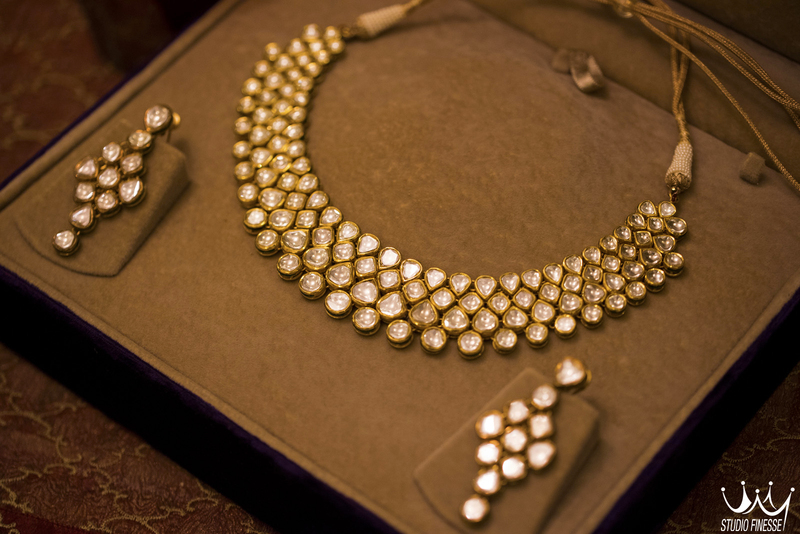 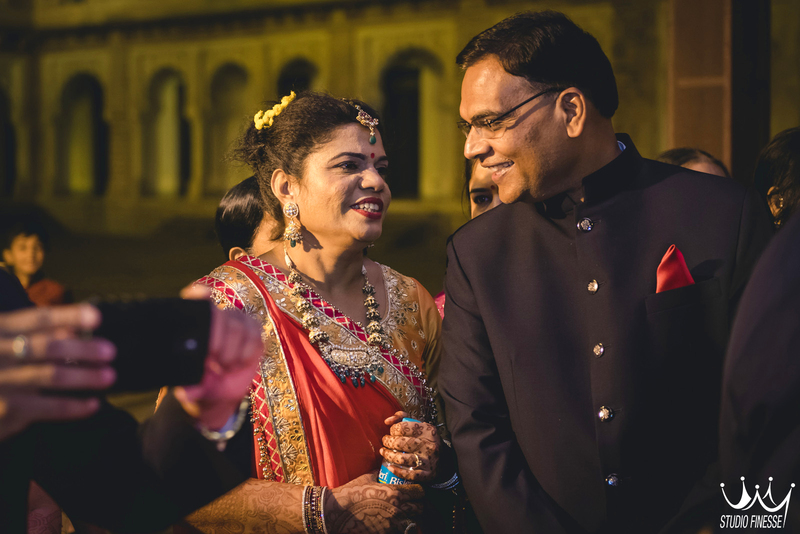 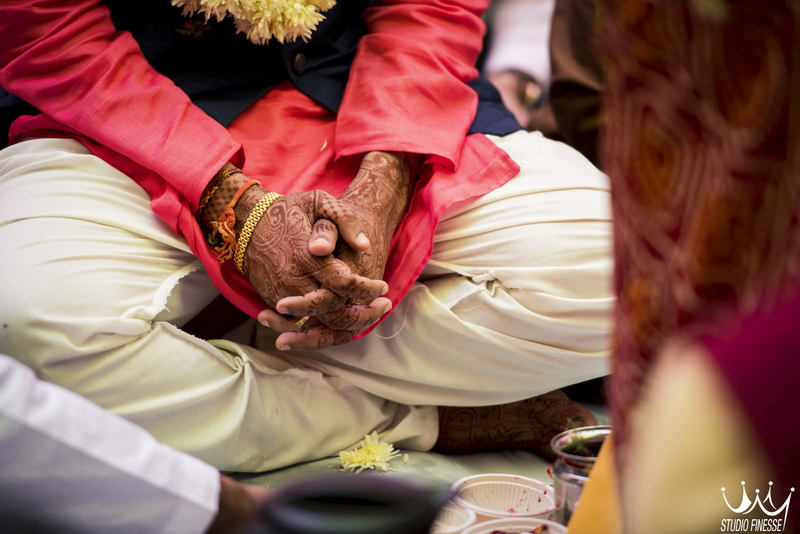 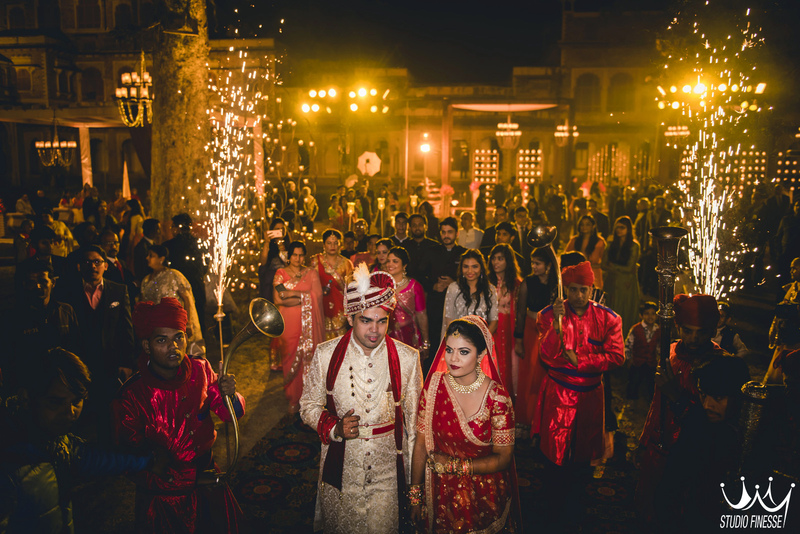 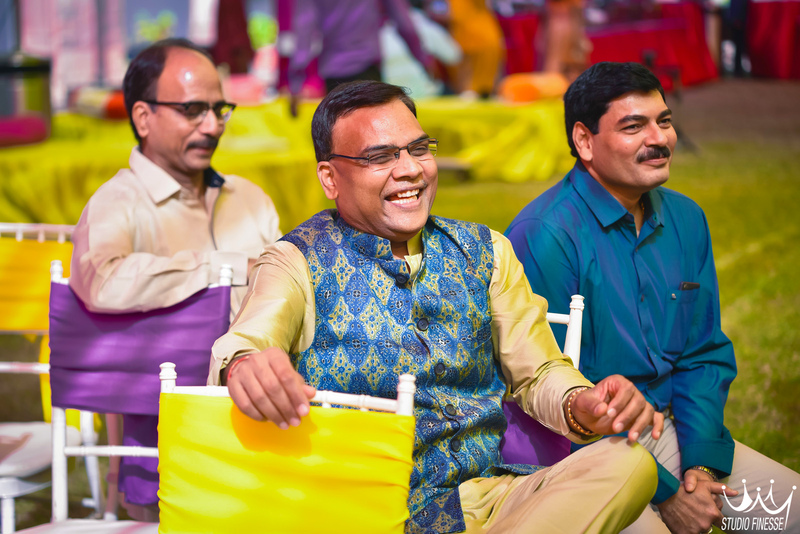 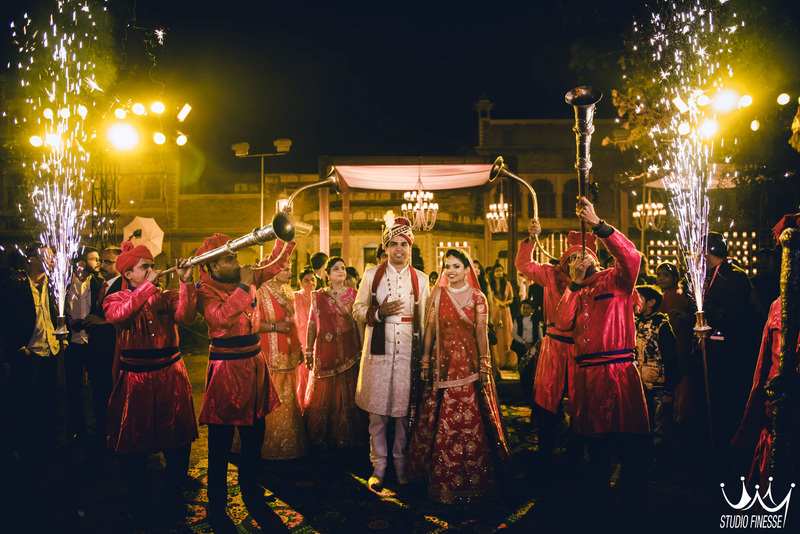 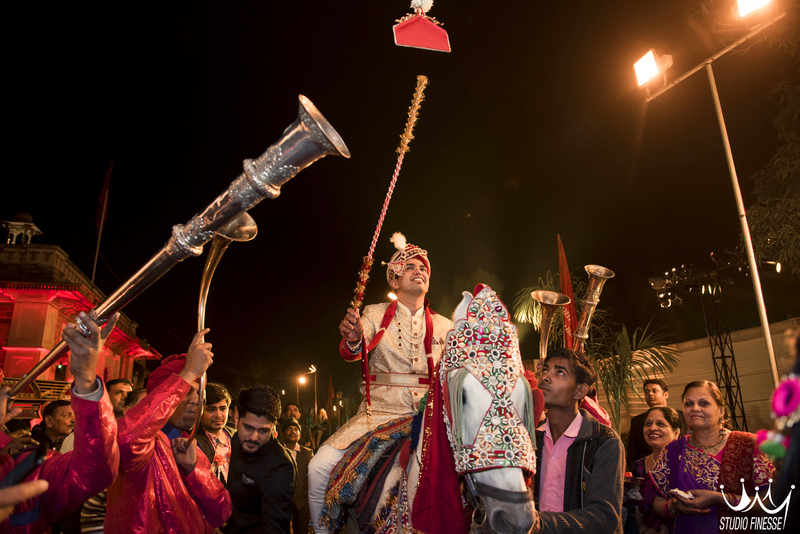 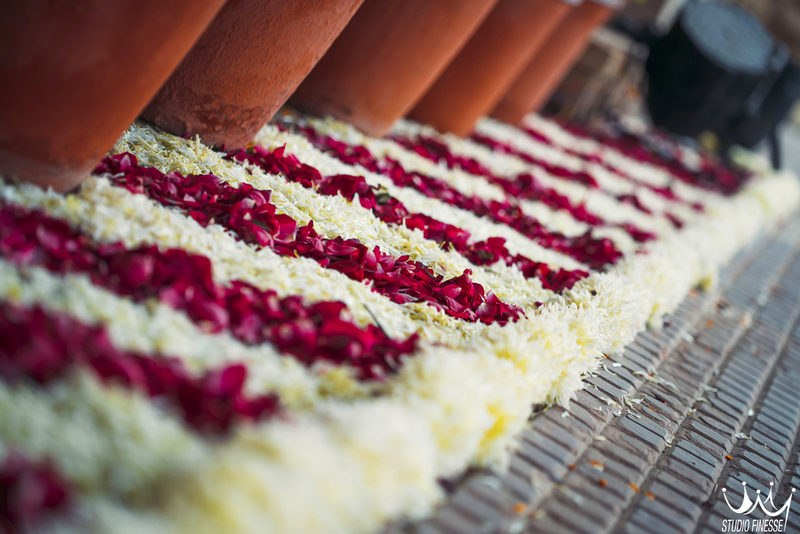 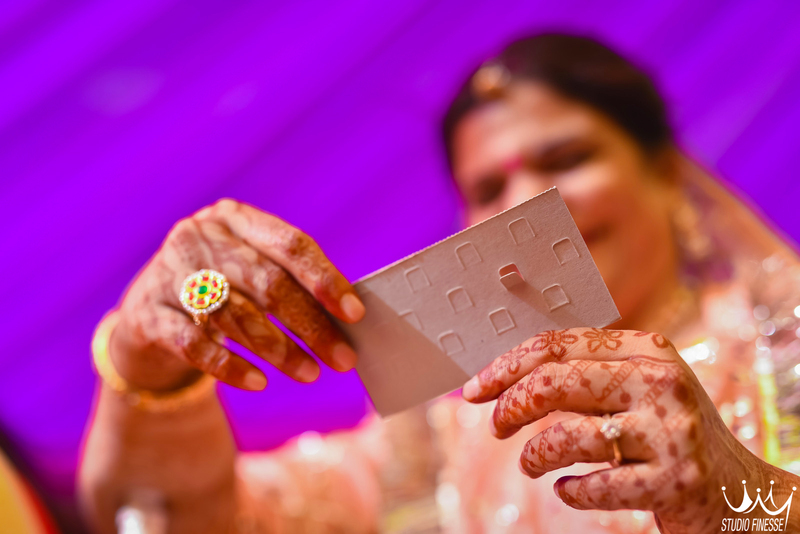 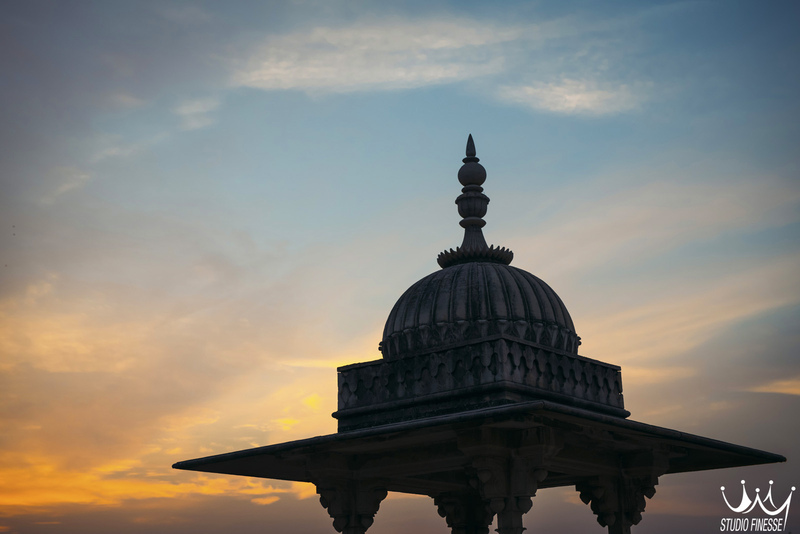 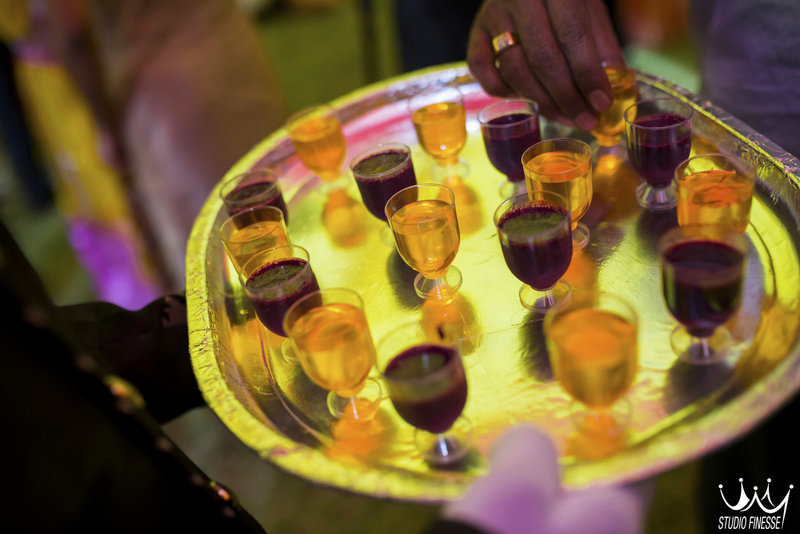 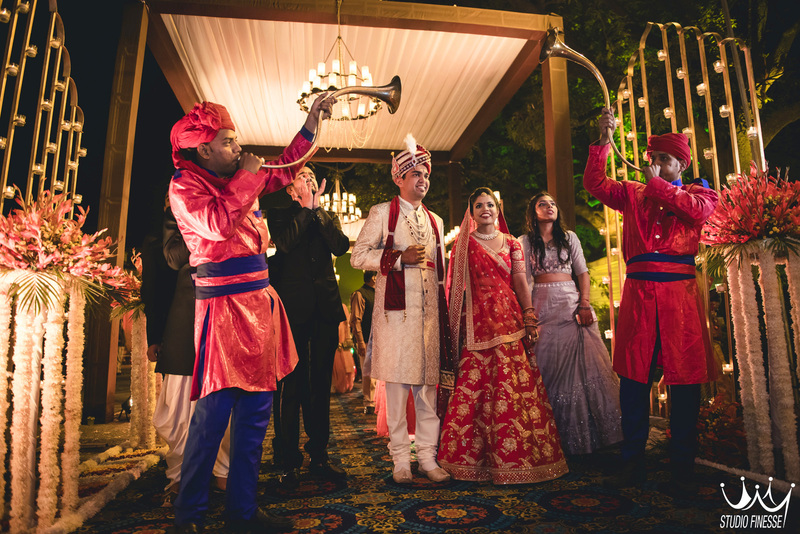 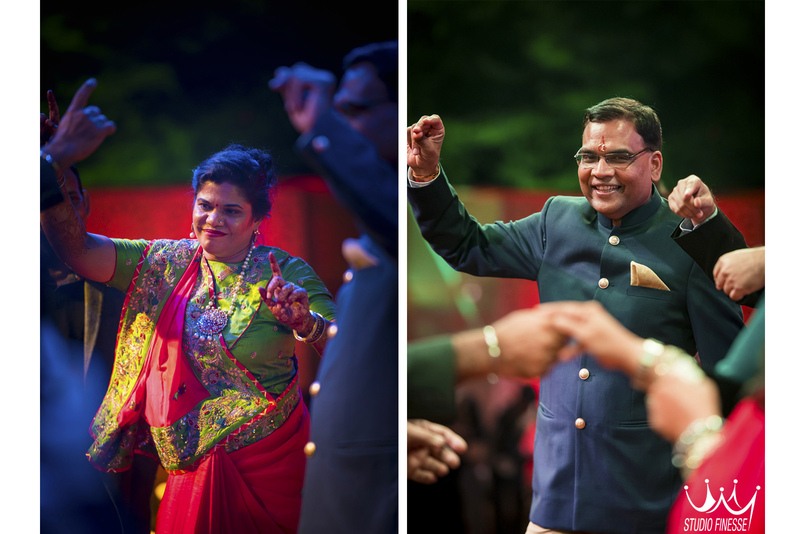 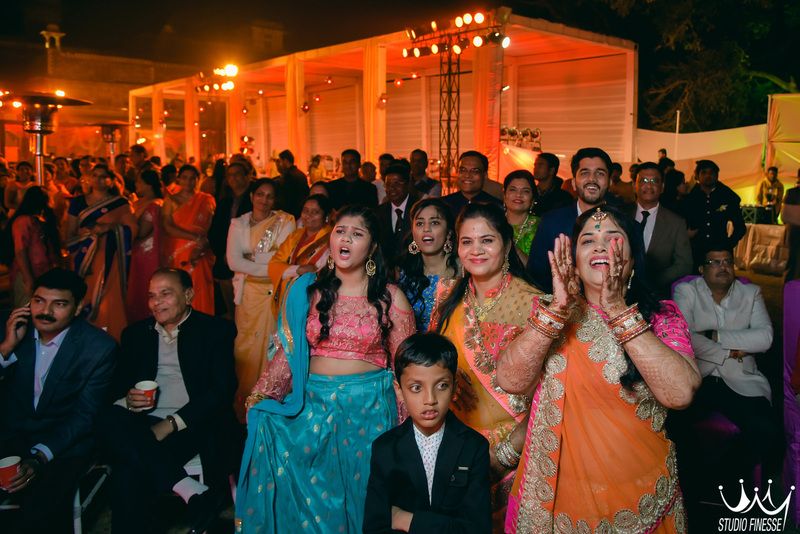 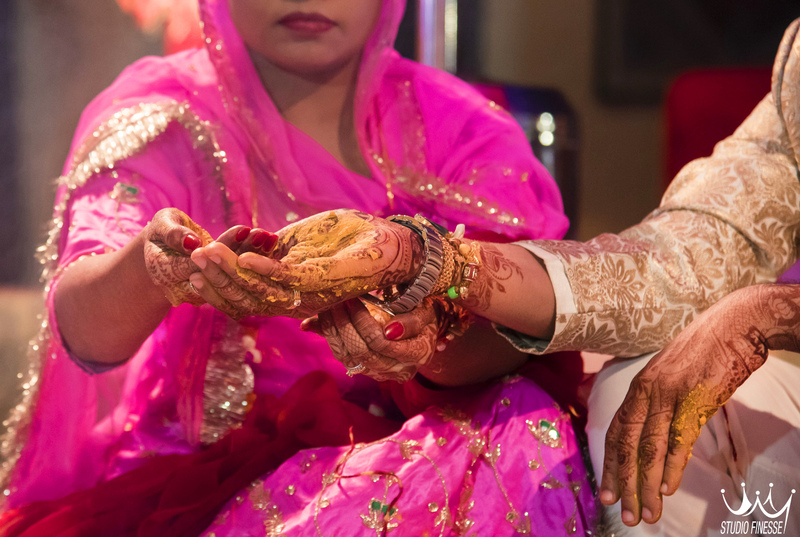 This Marwari wedding was full of fun and riches with elaborated rituals. 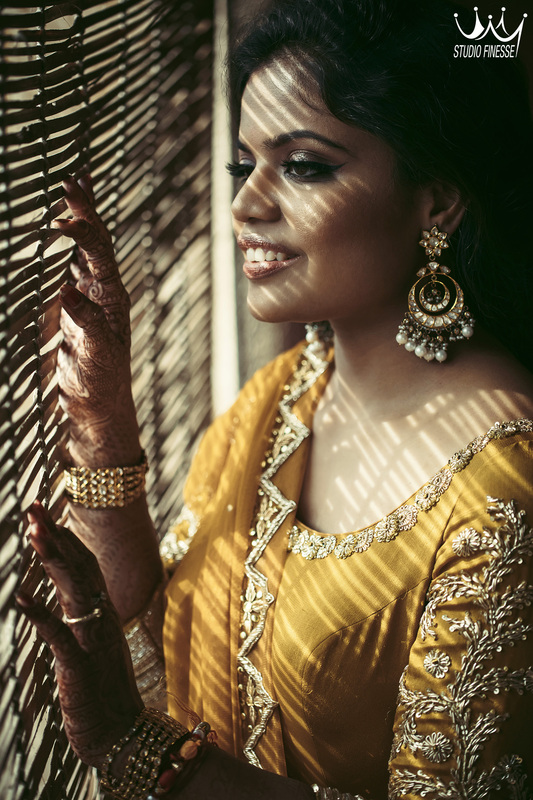 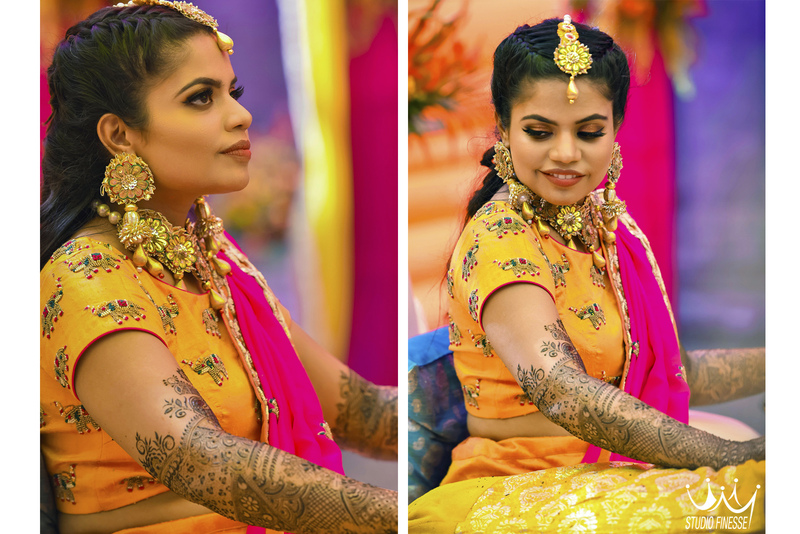 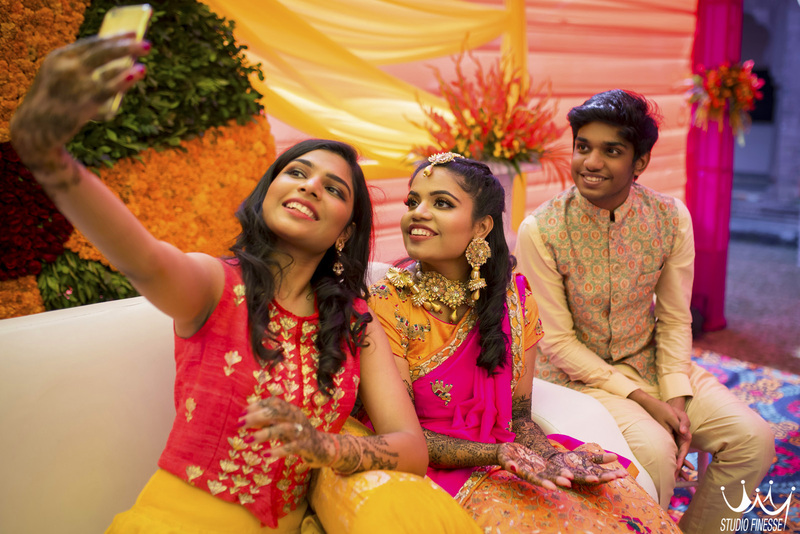 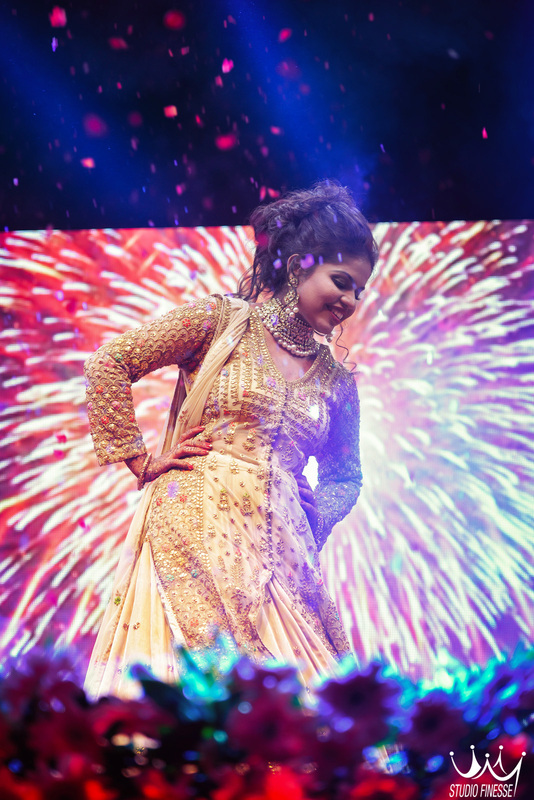 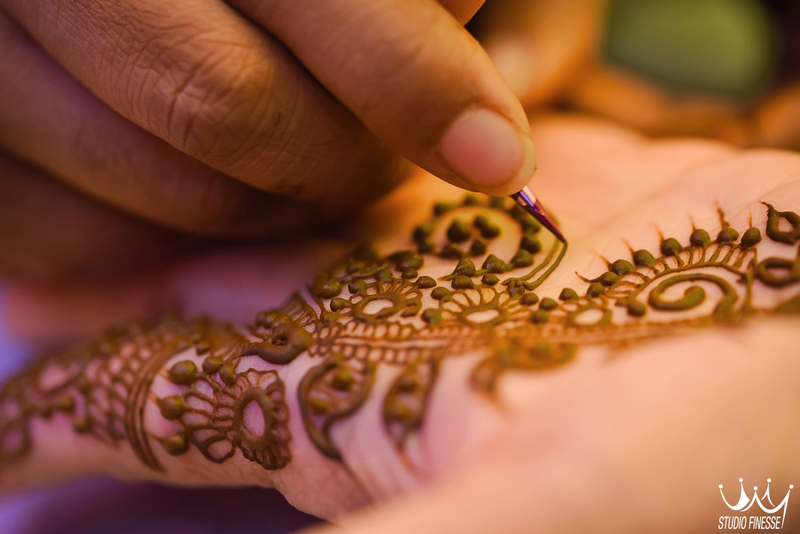 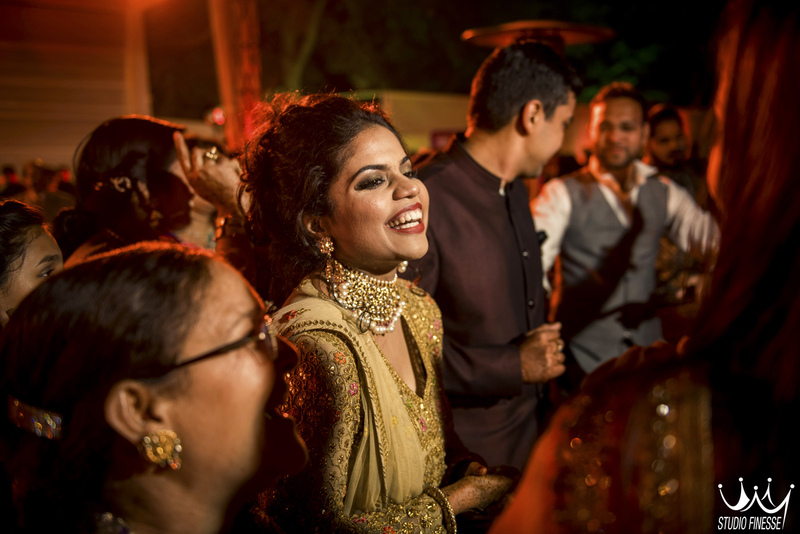 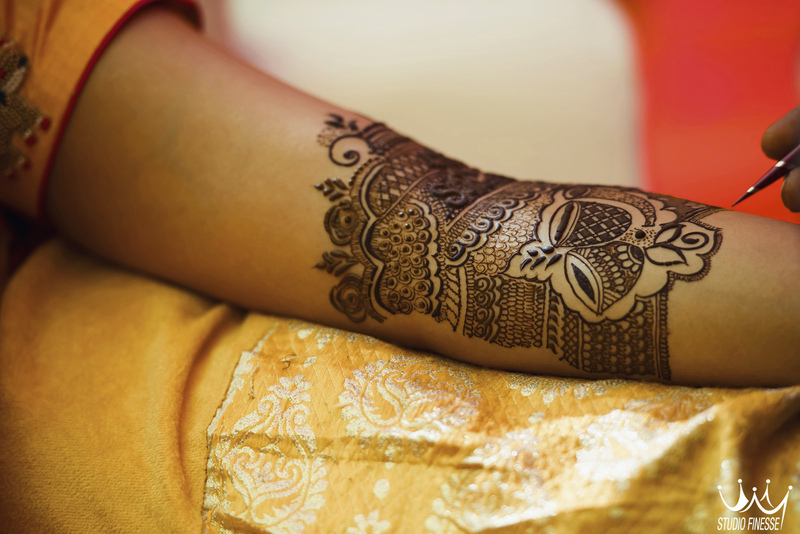 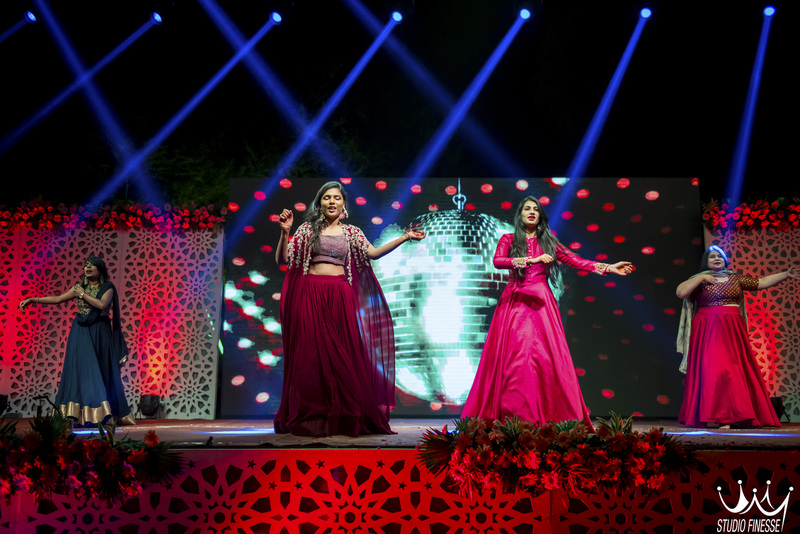 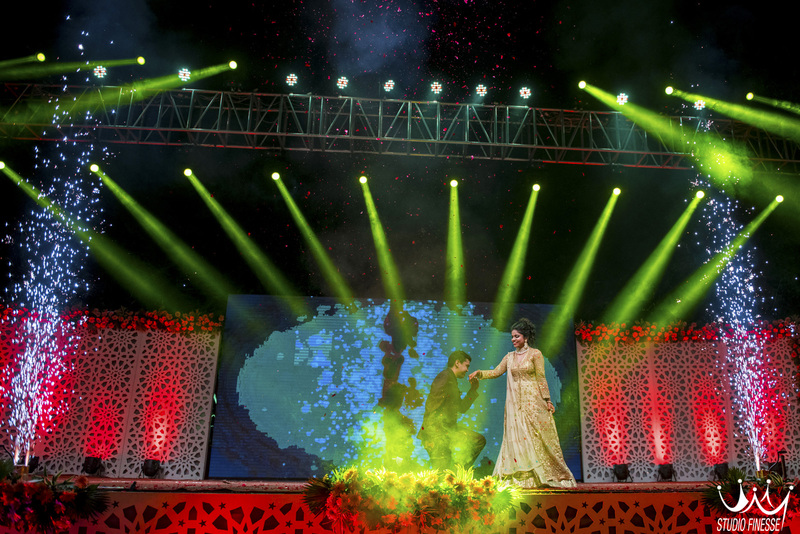 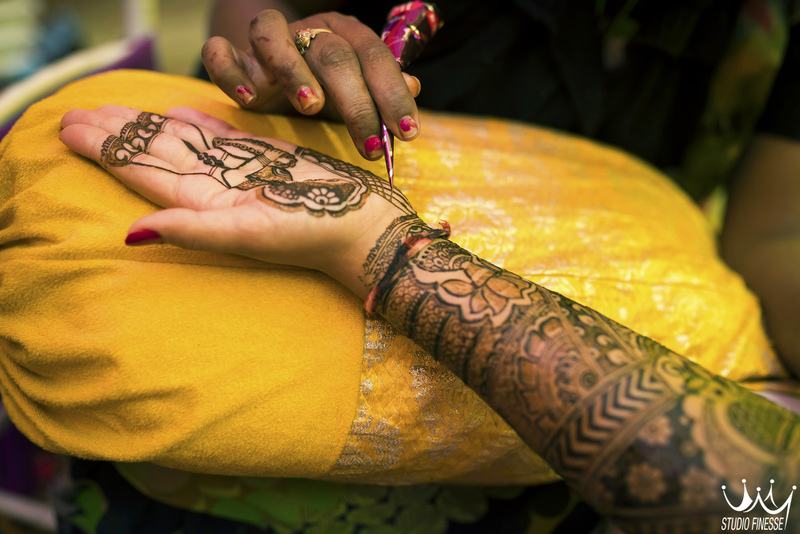 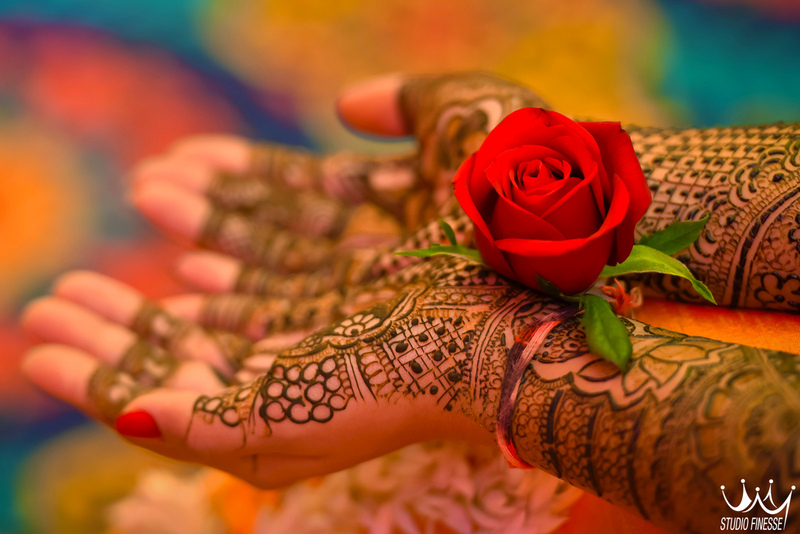 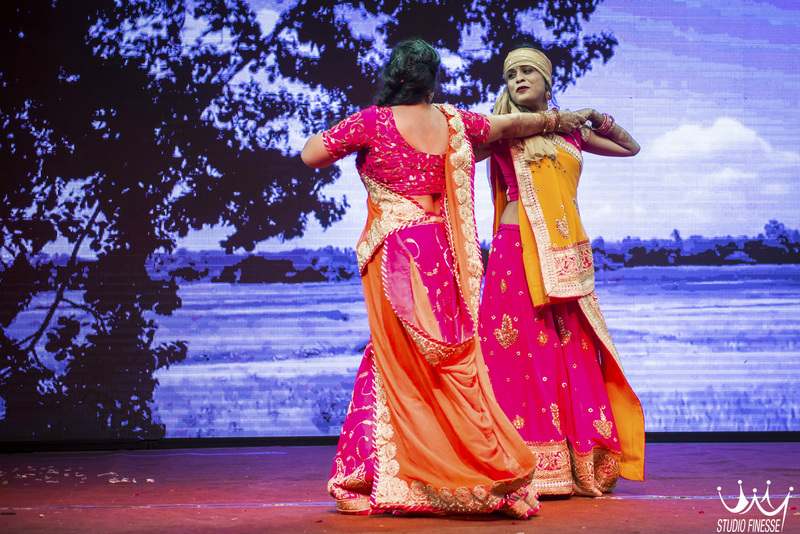 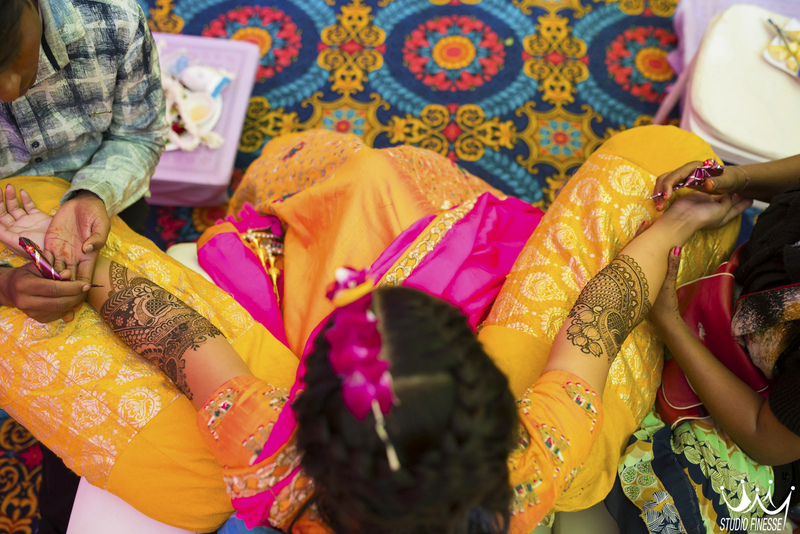 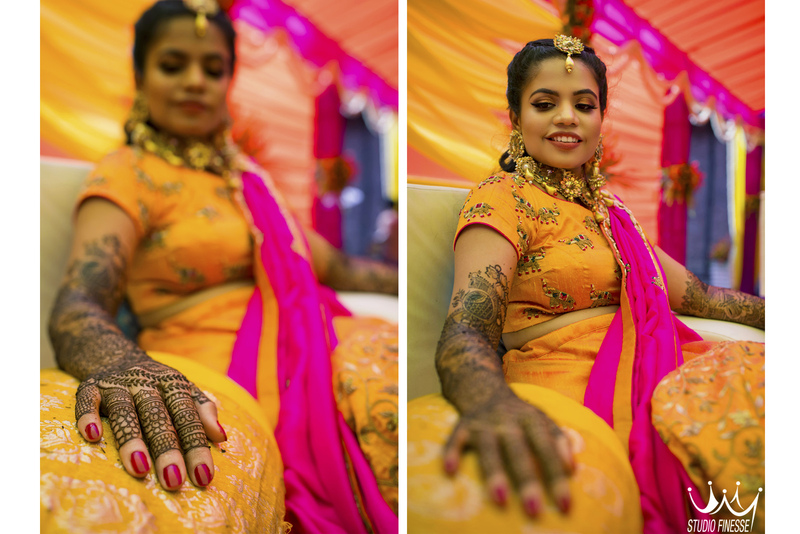 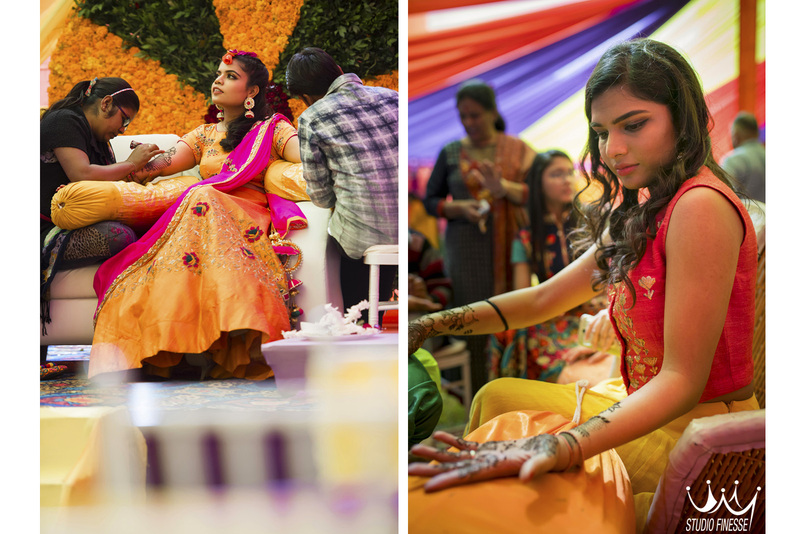 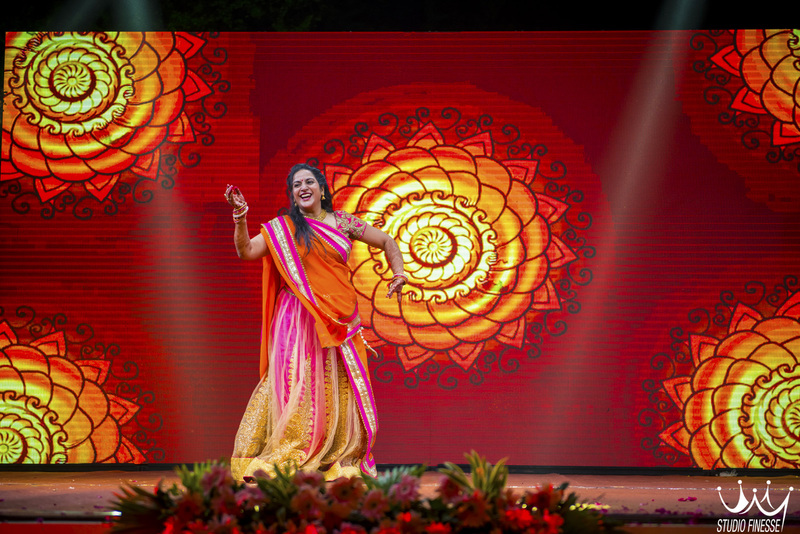 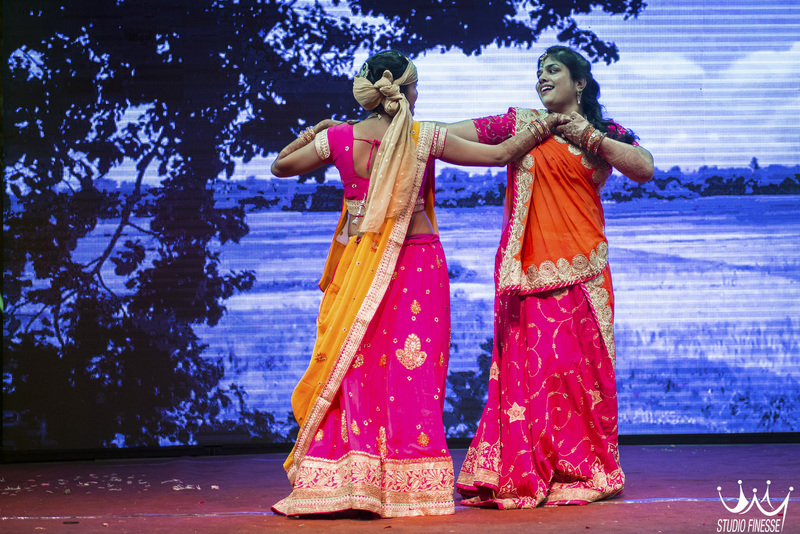 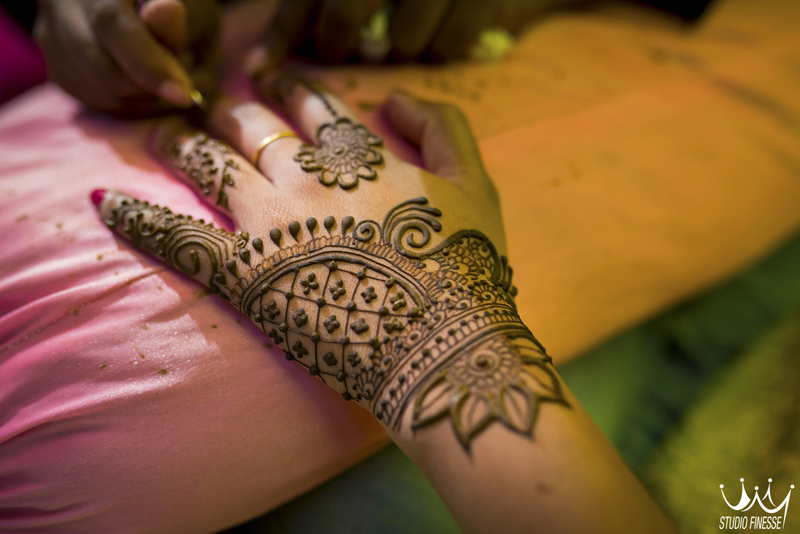 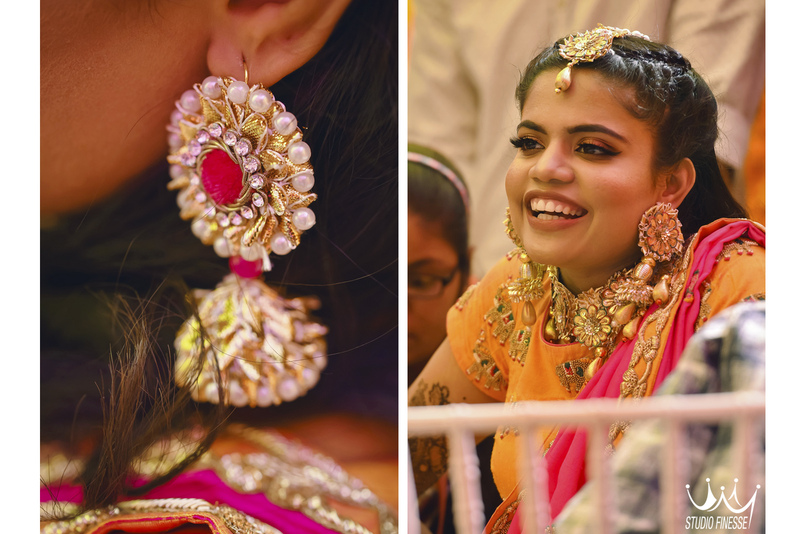 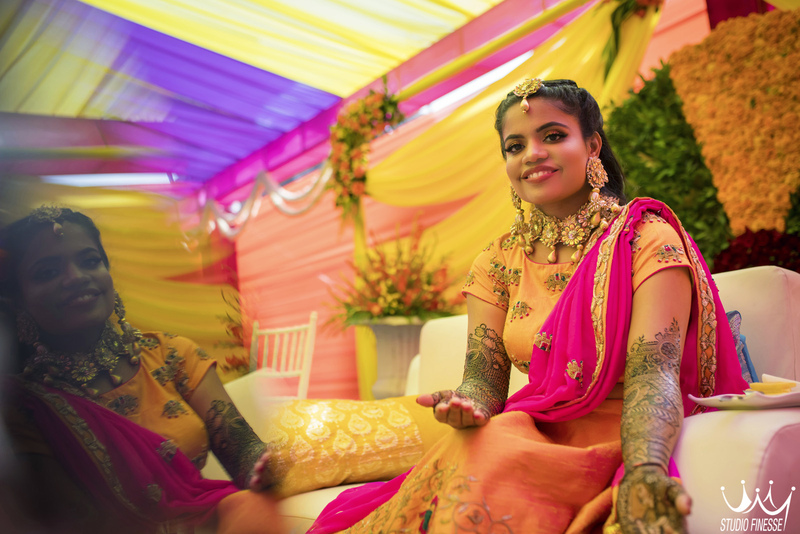 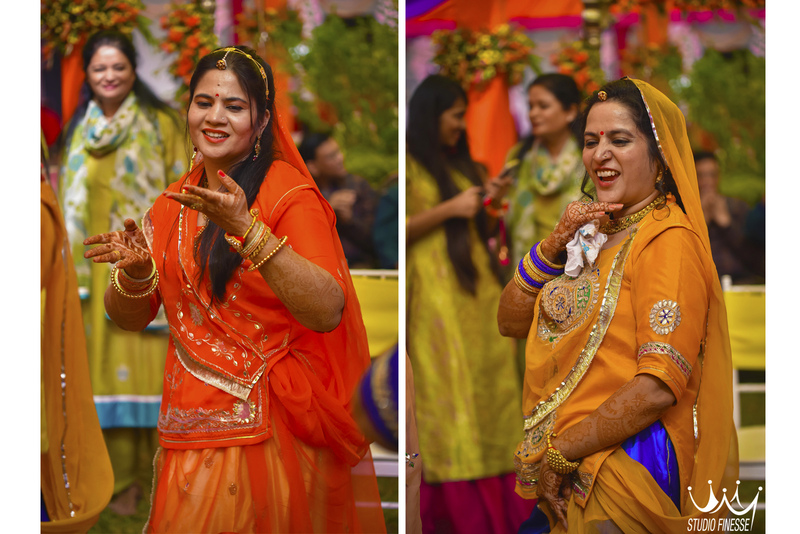 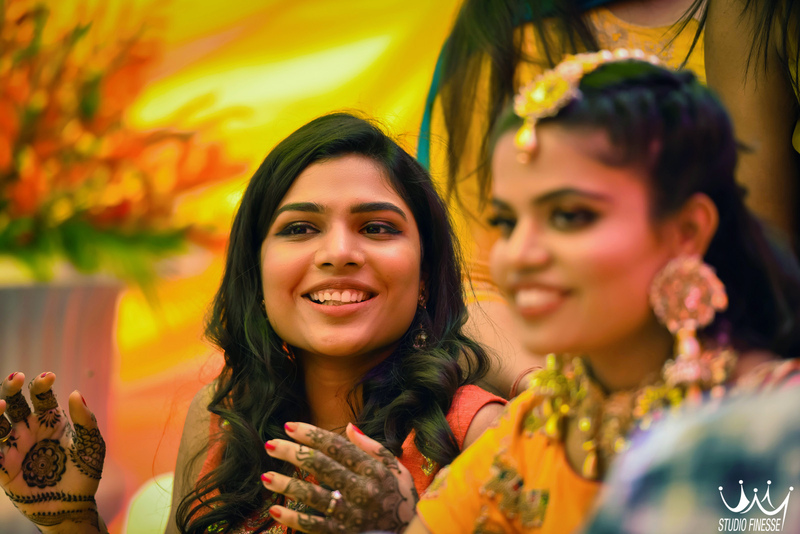 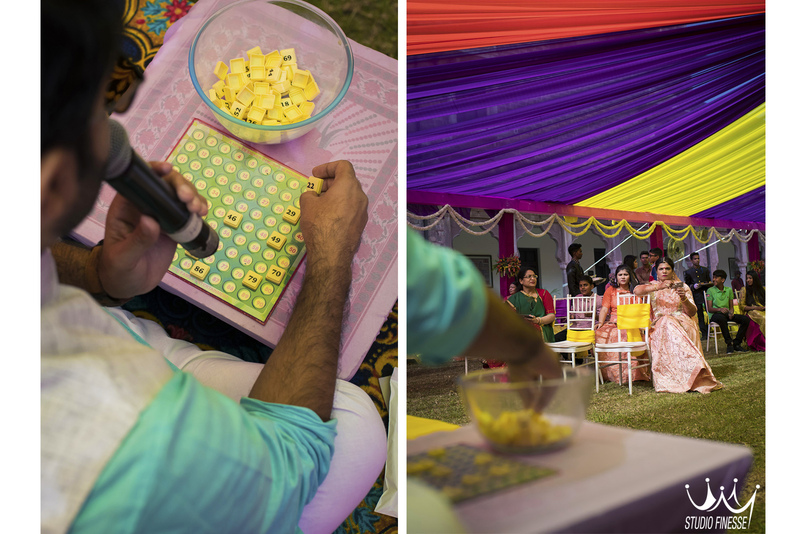 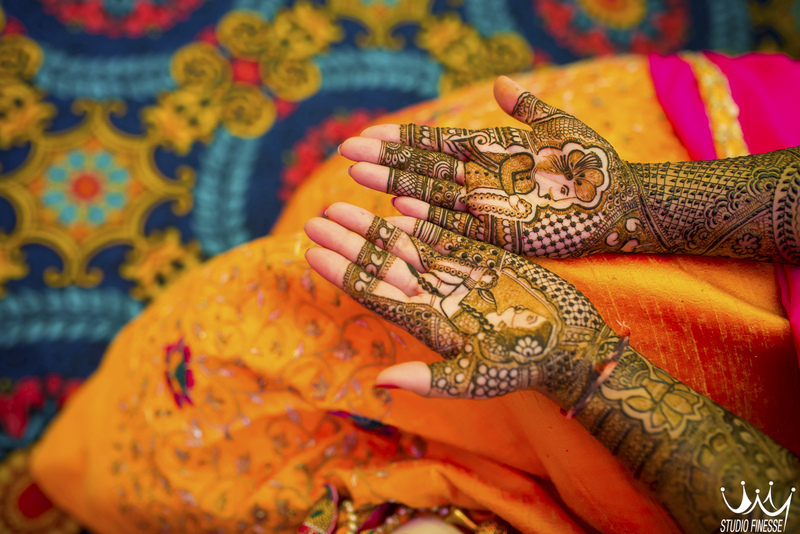 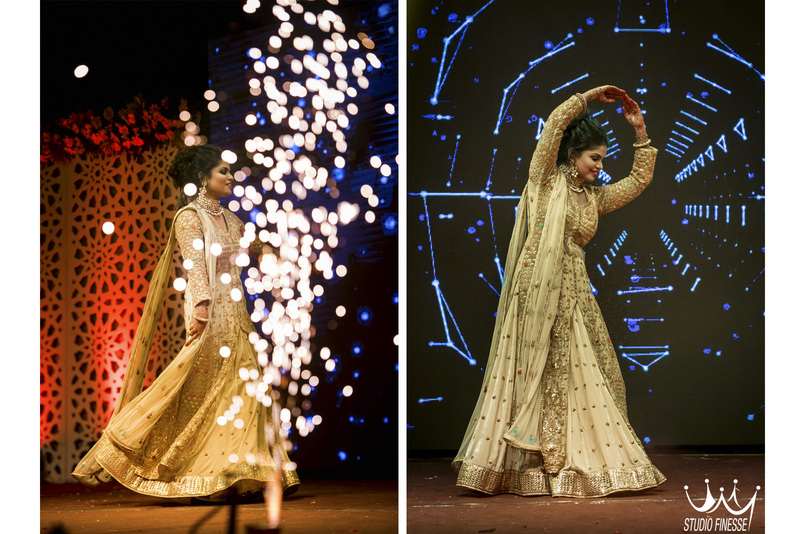 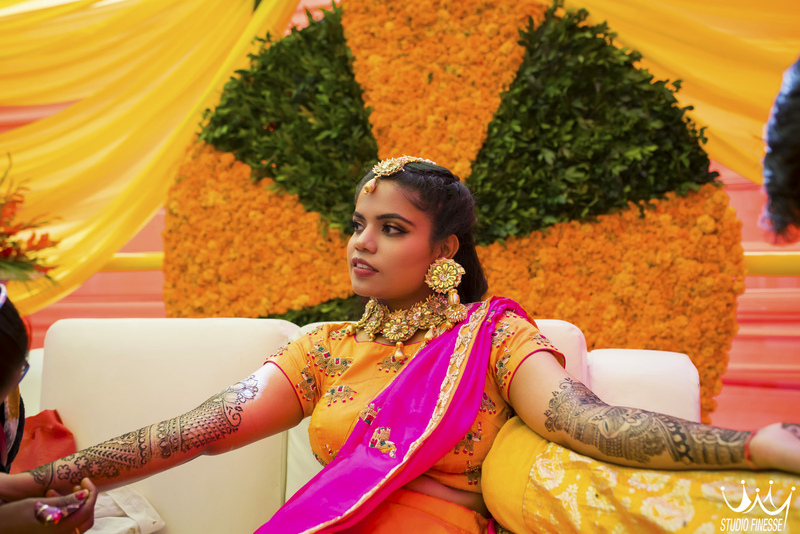 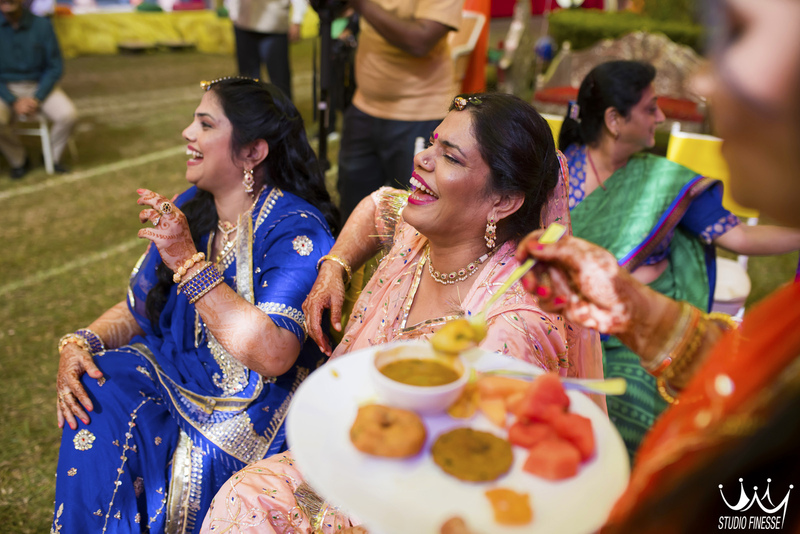 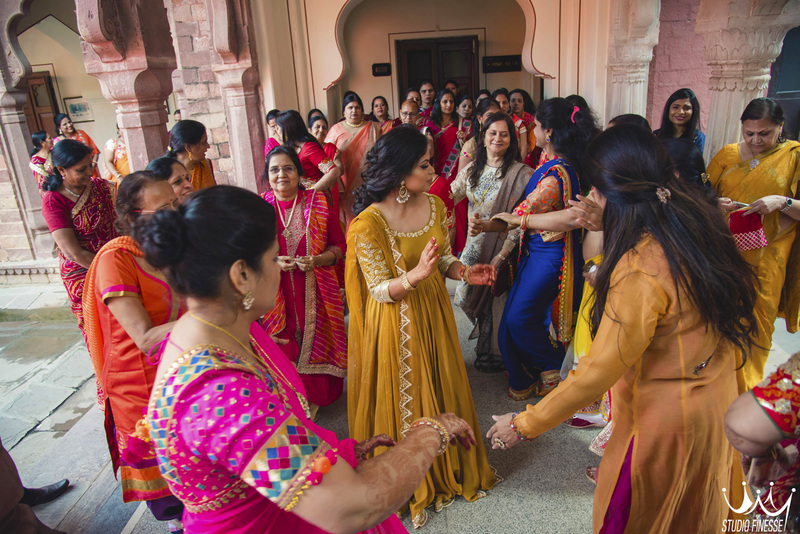 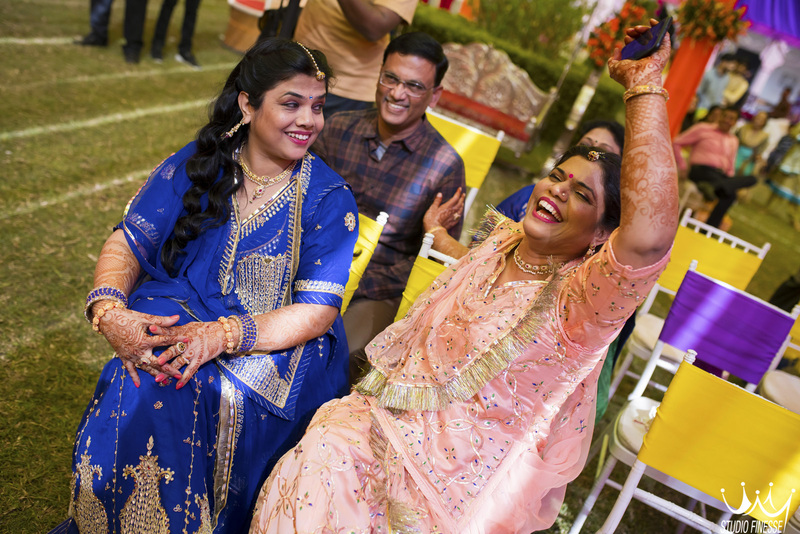 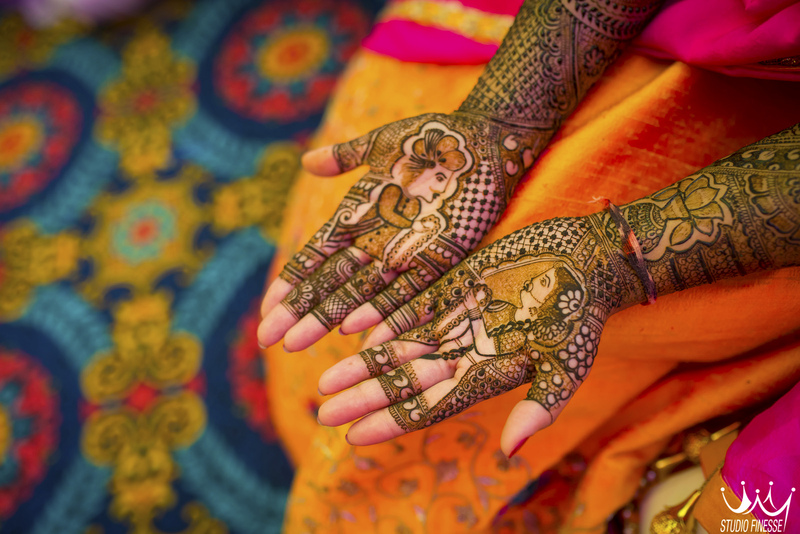 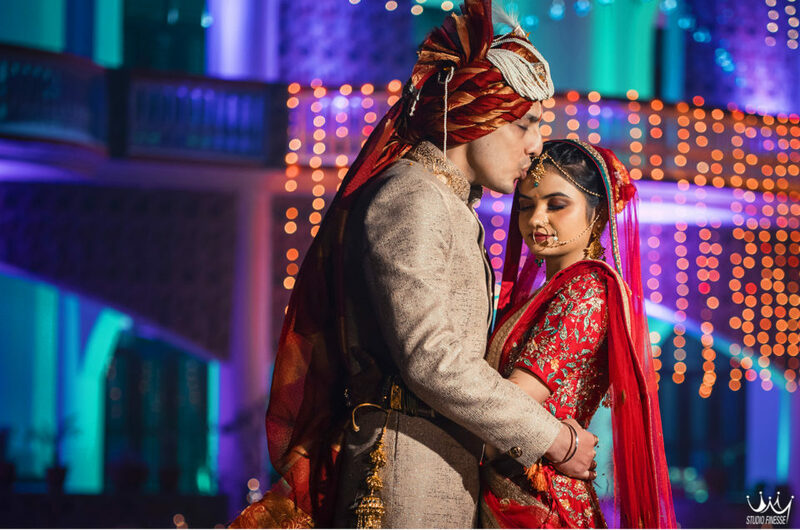 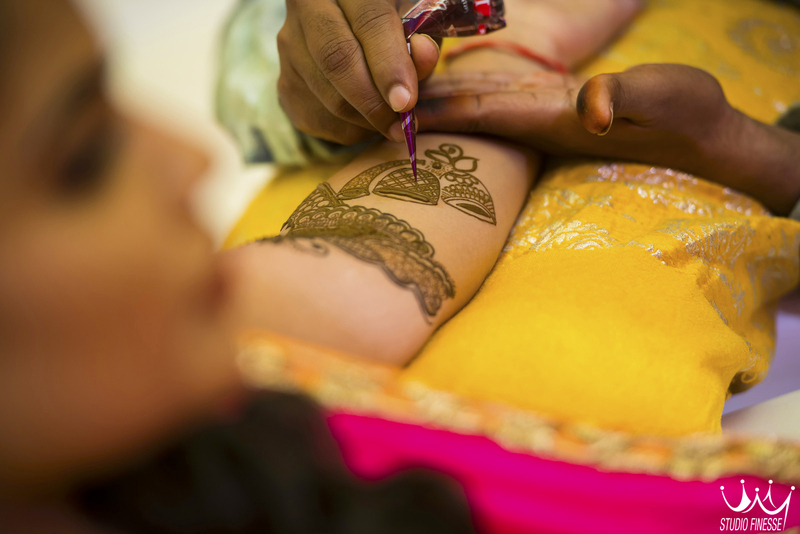 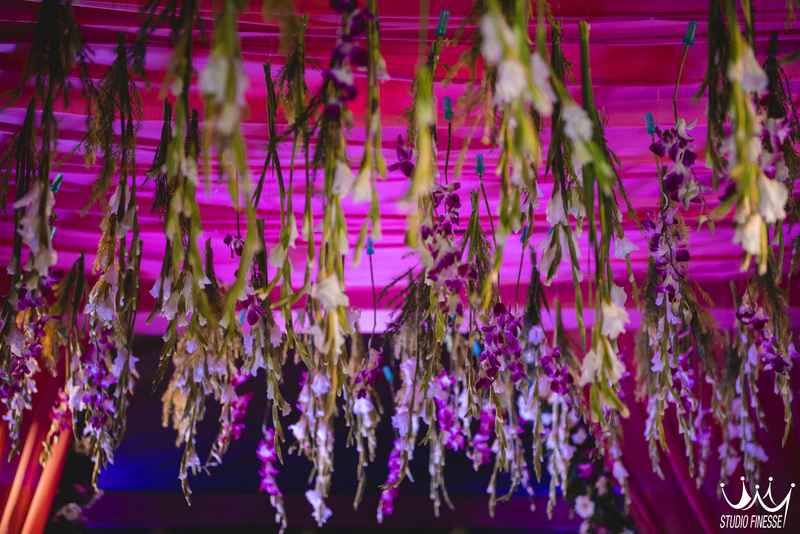 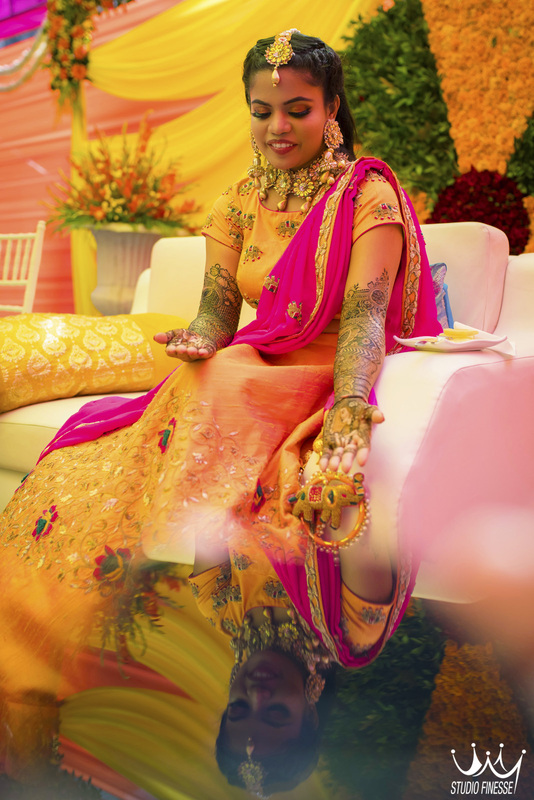 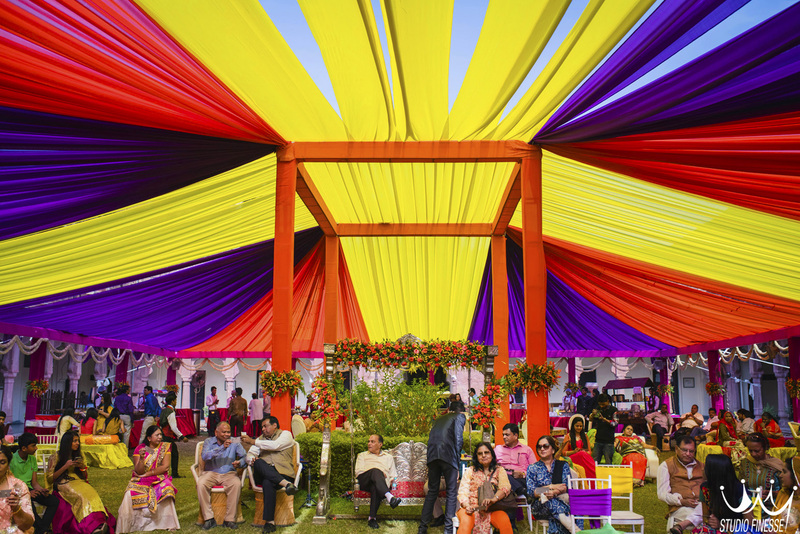 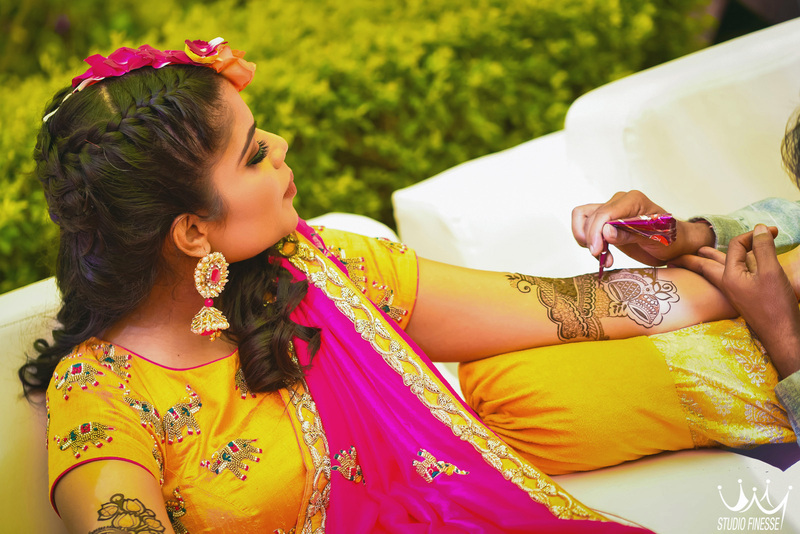 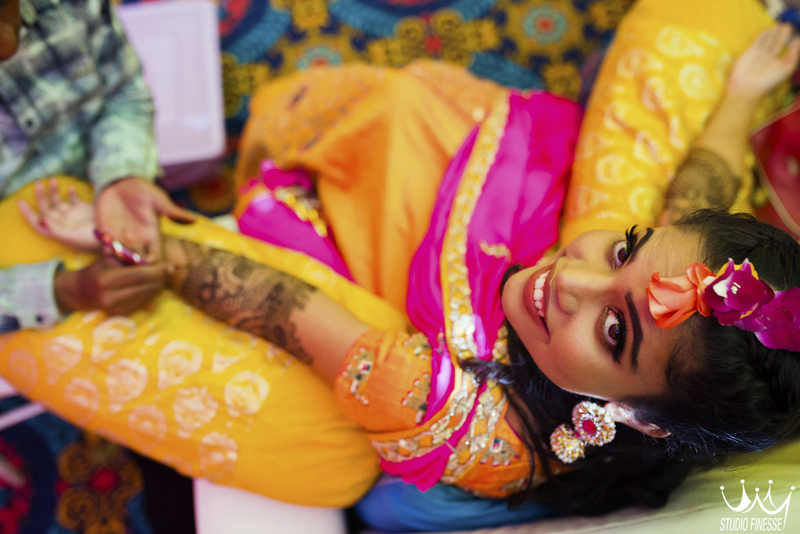 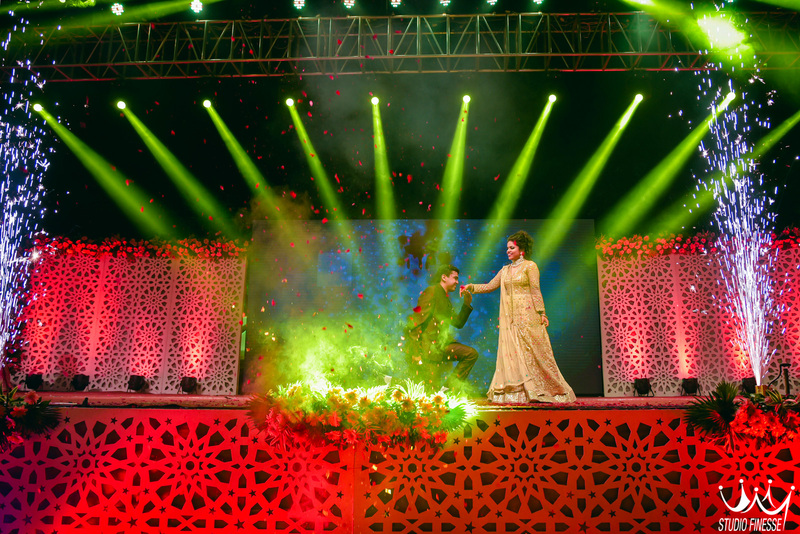 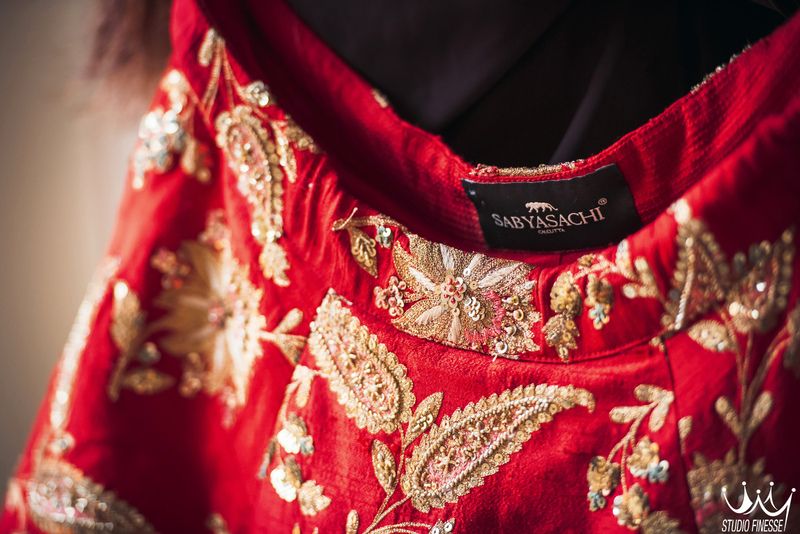 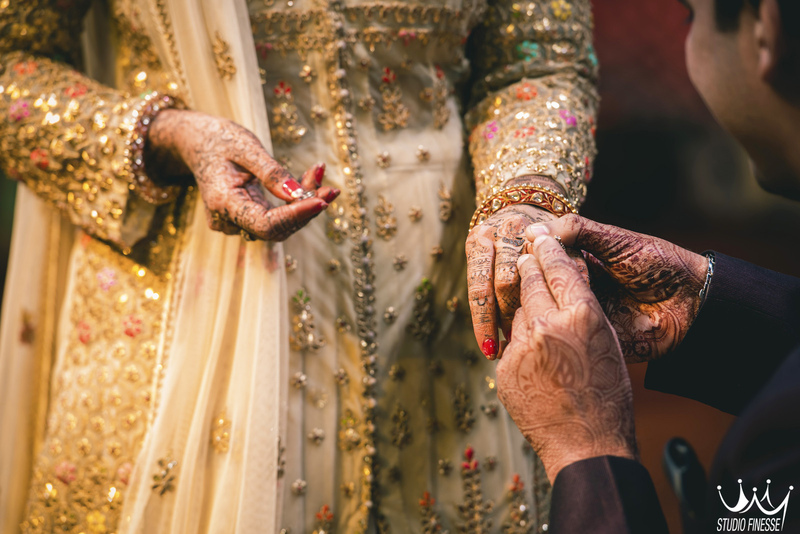 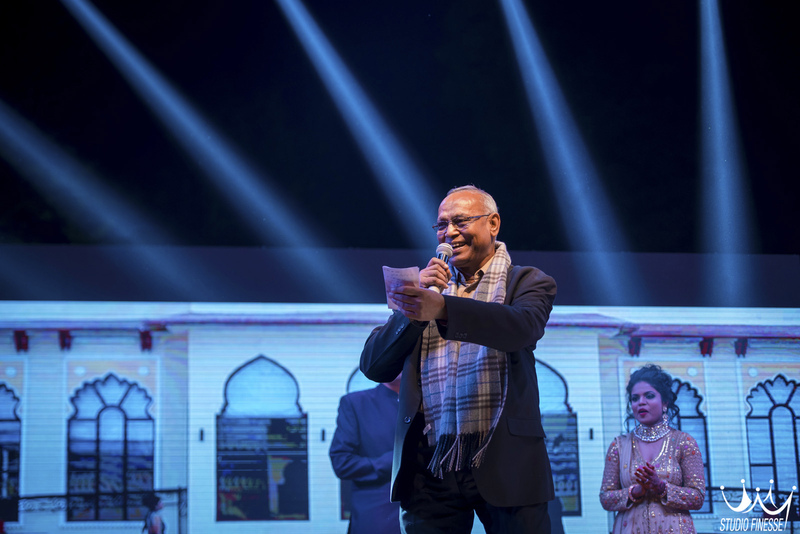 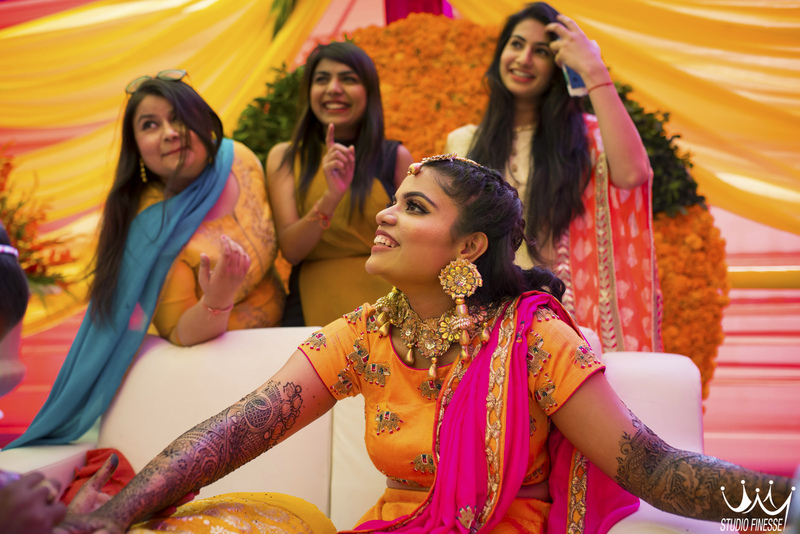 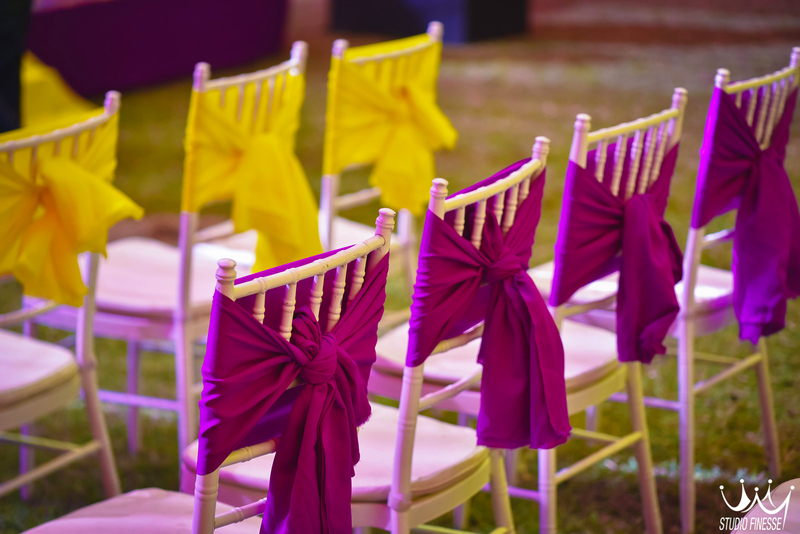 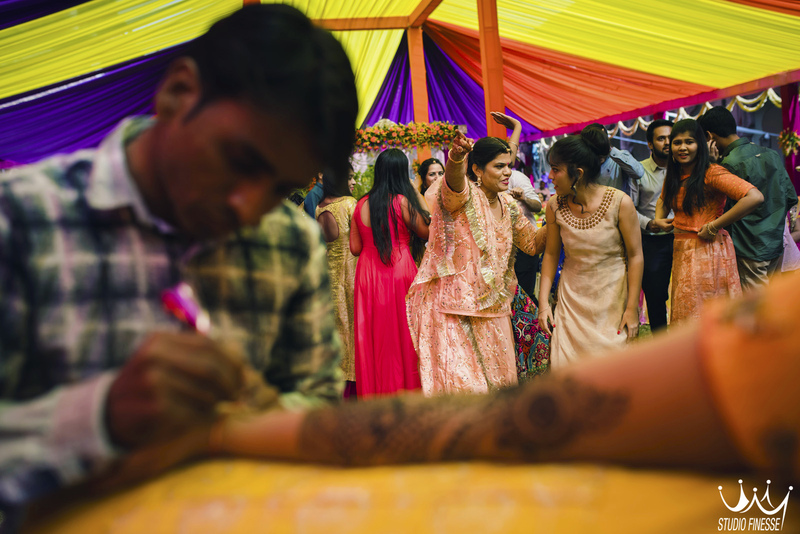 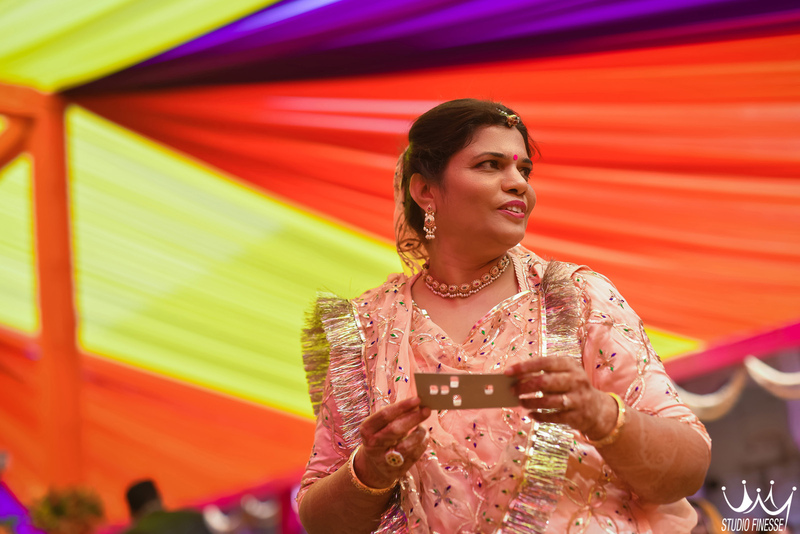 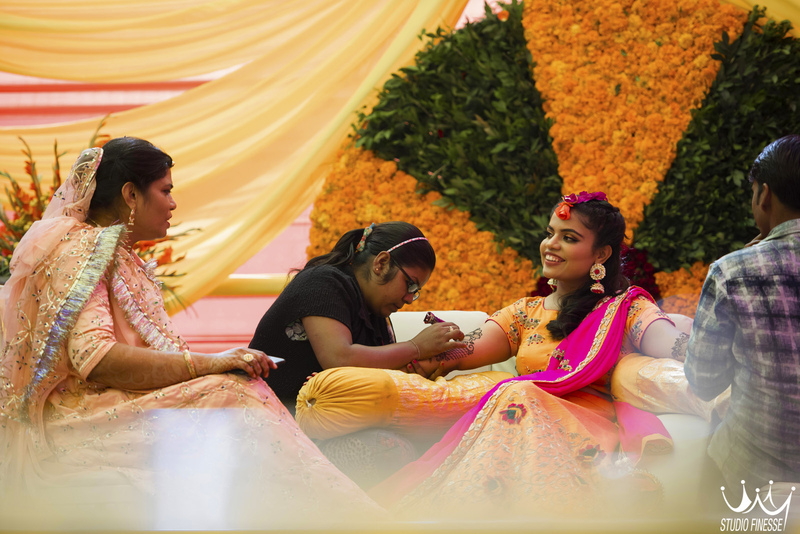 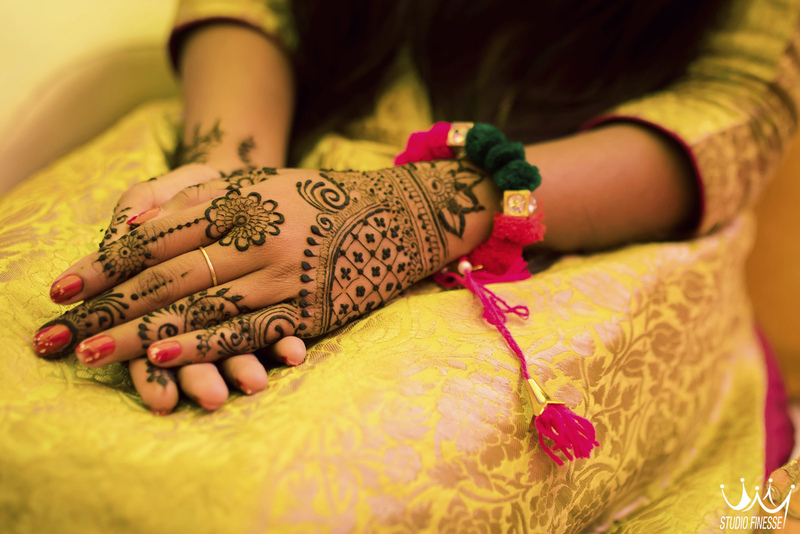 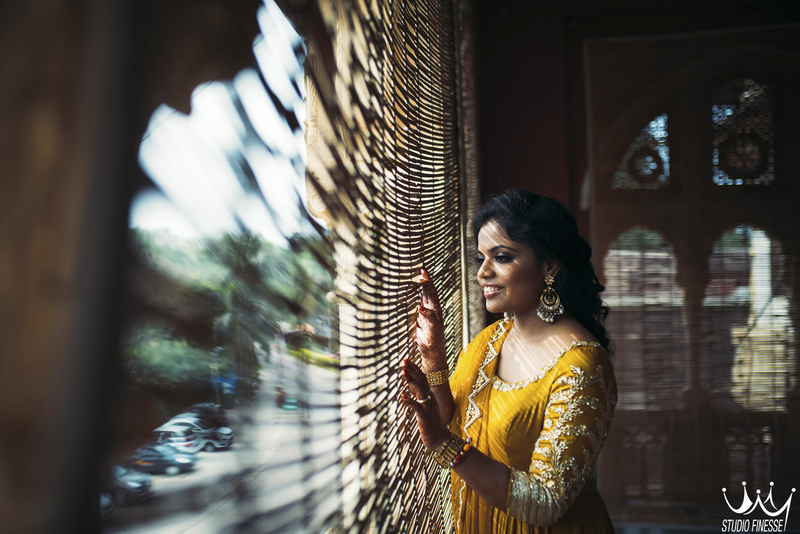 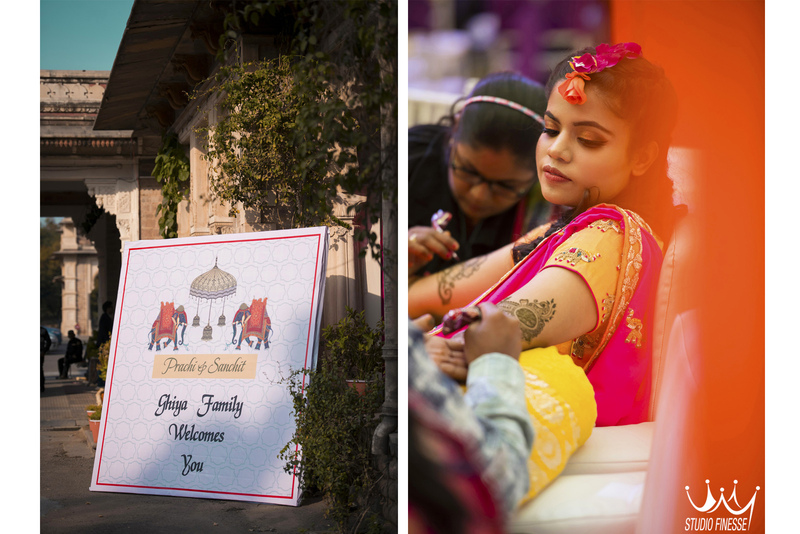 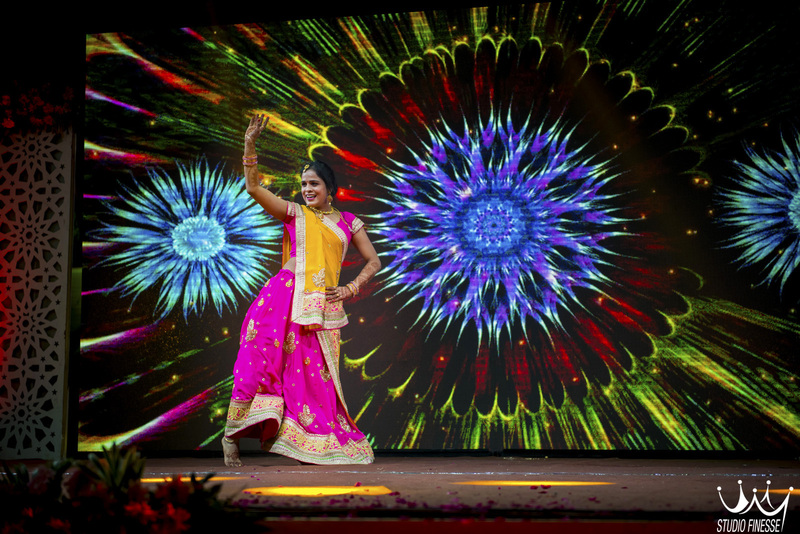 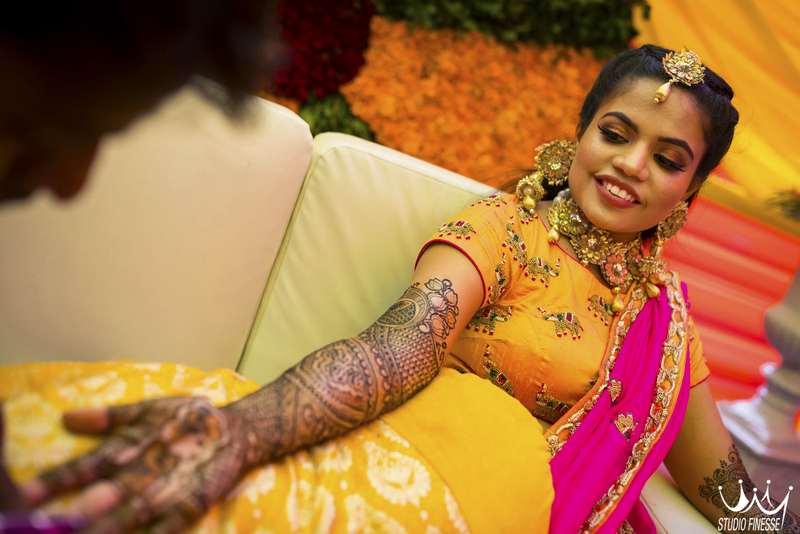 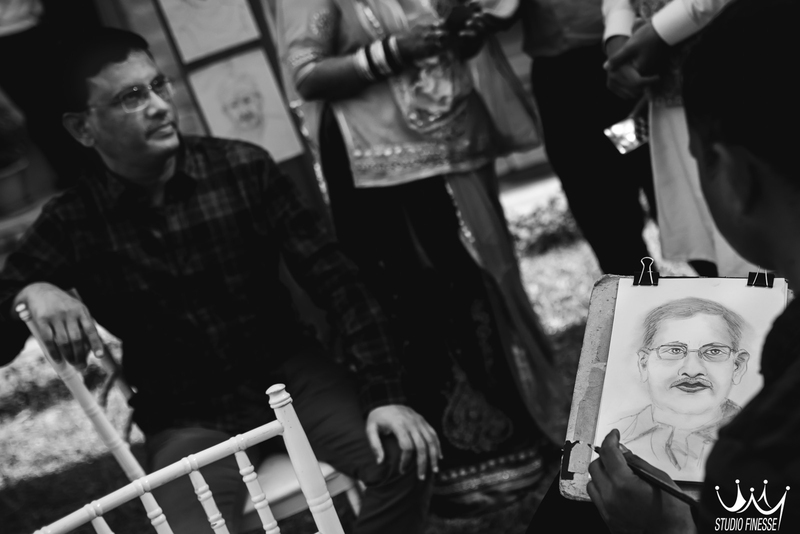 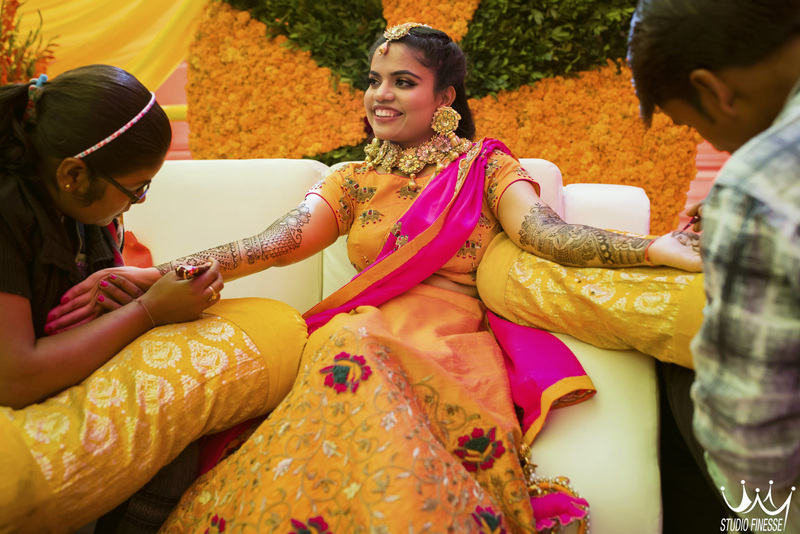 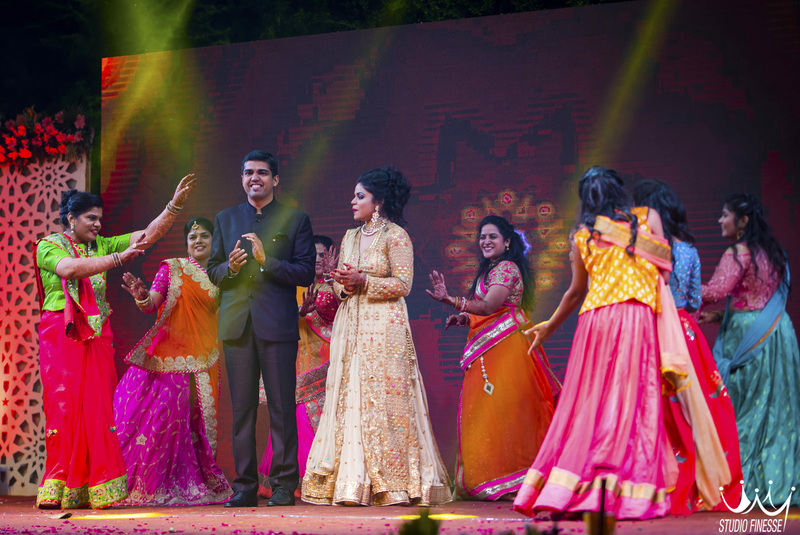 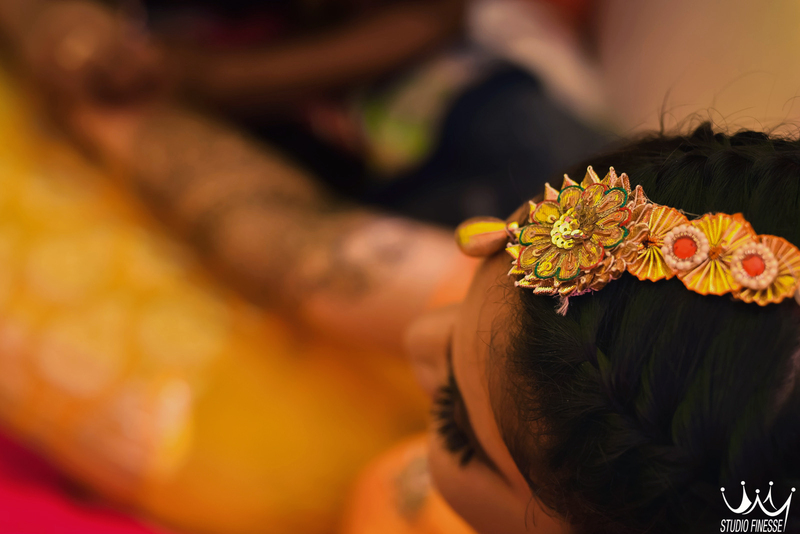 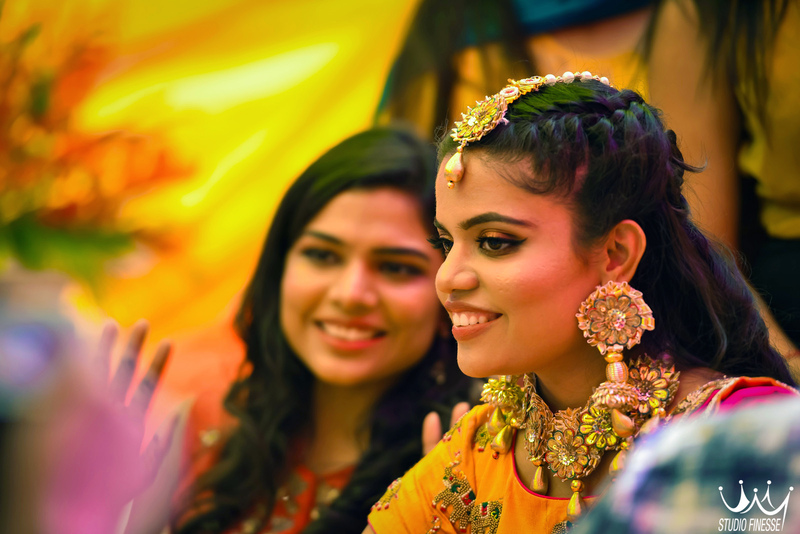 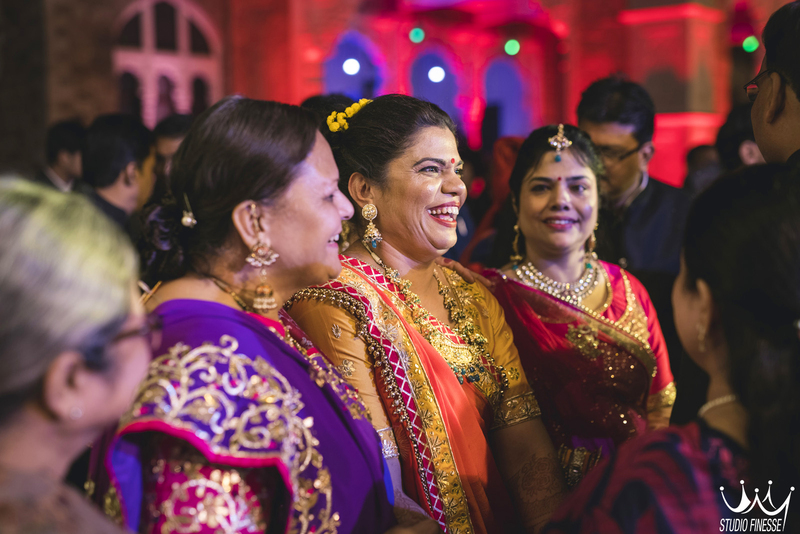 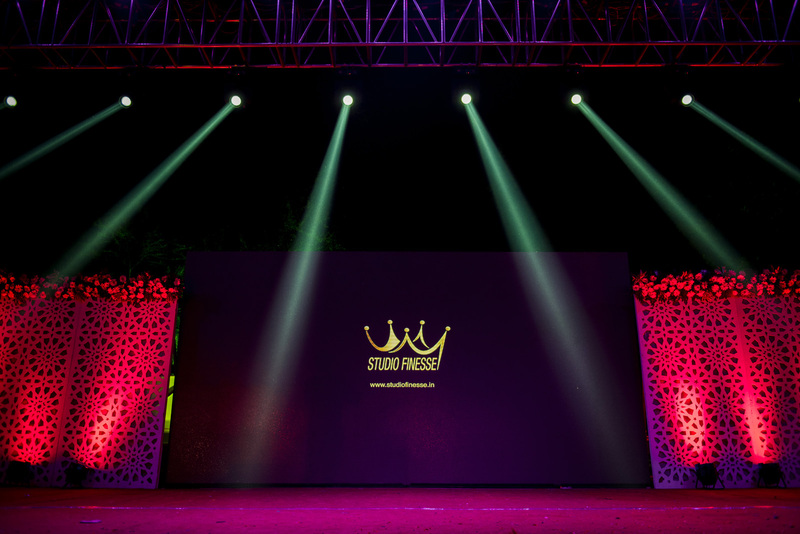 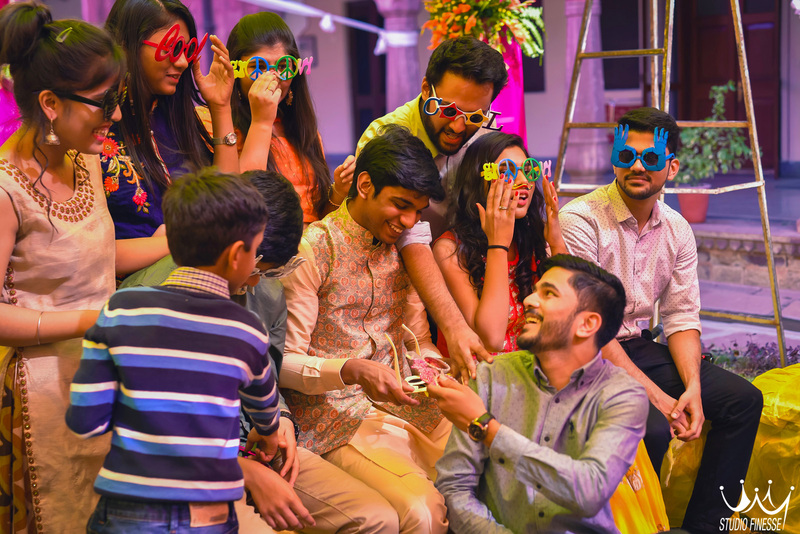 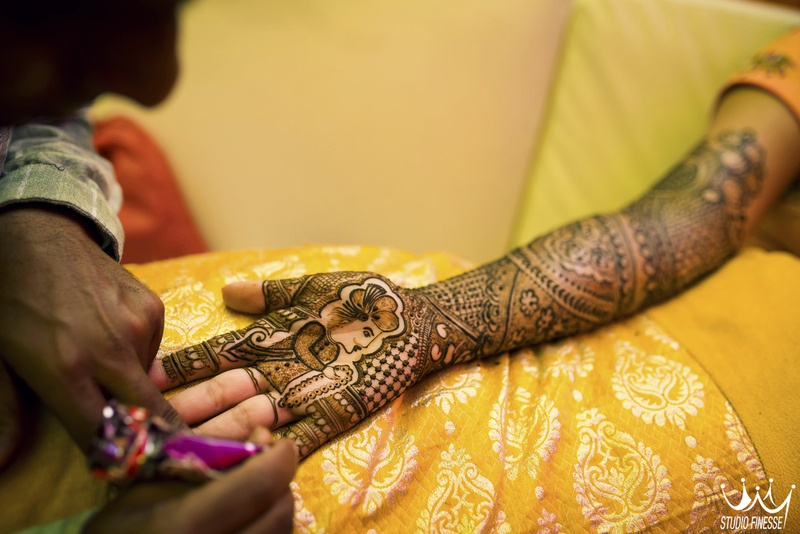 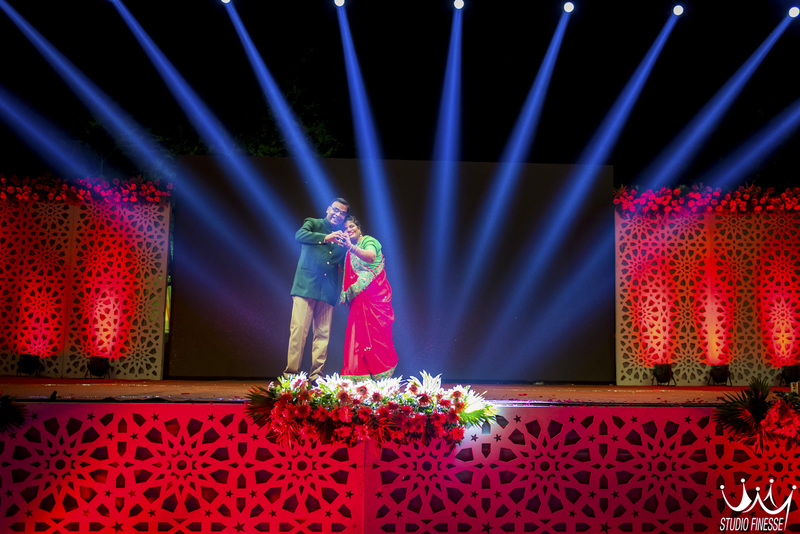 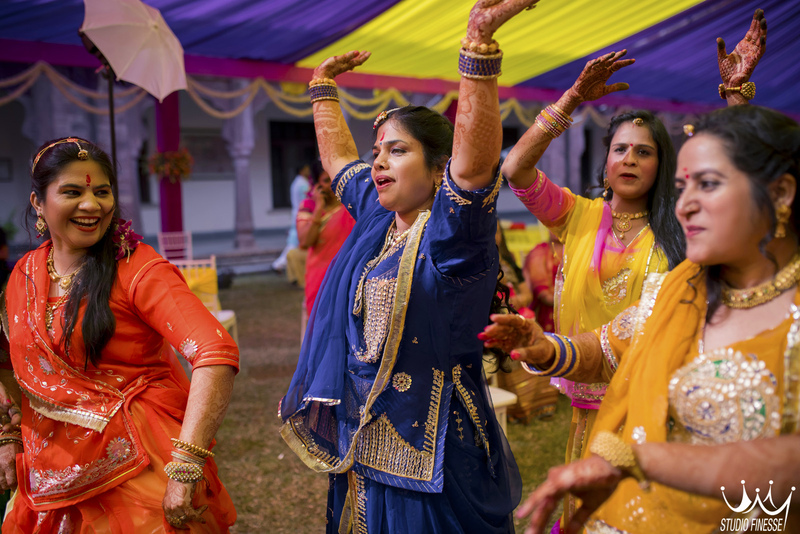 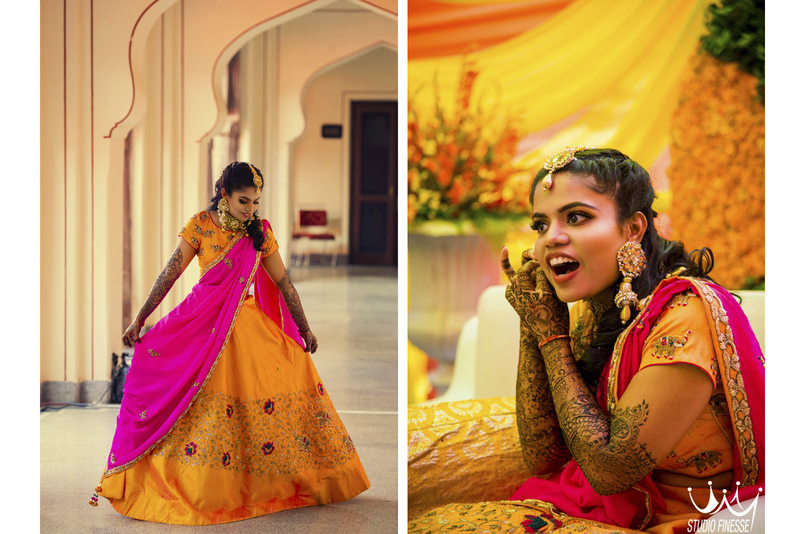 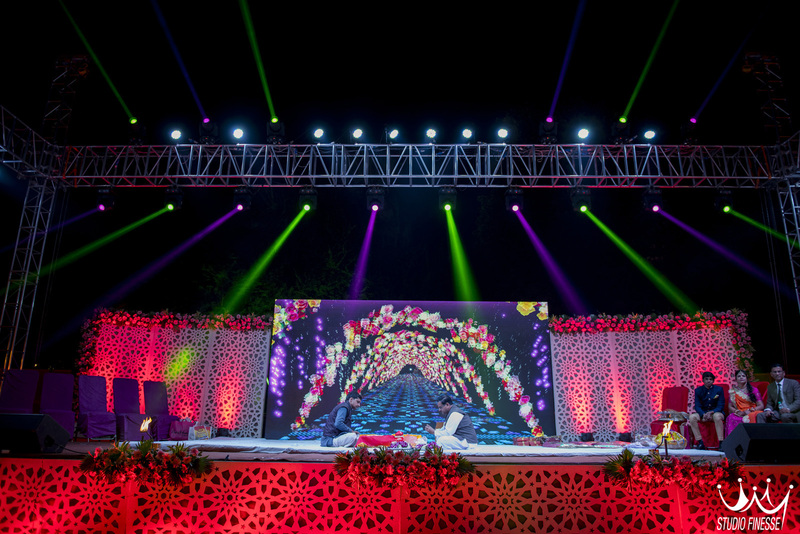 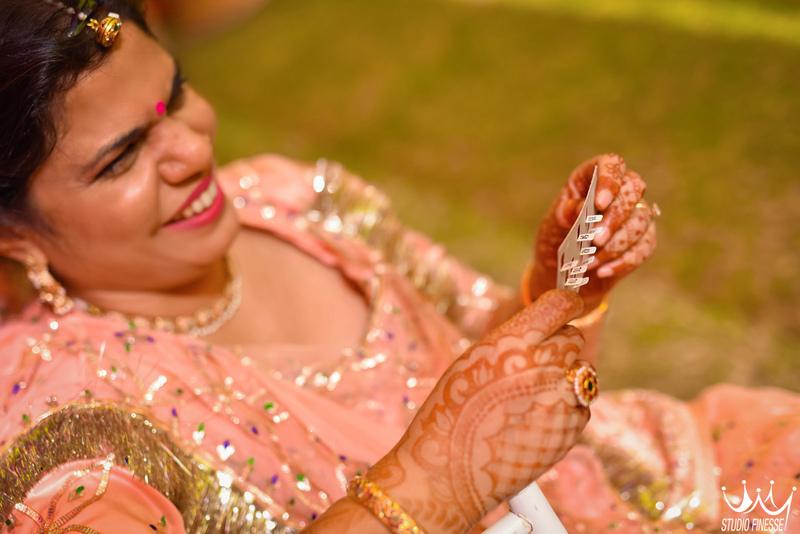 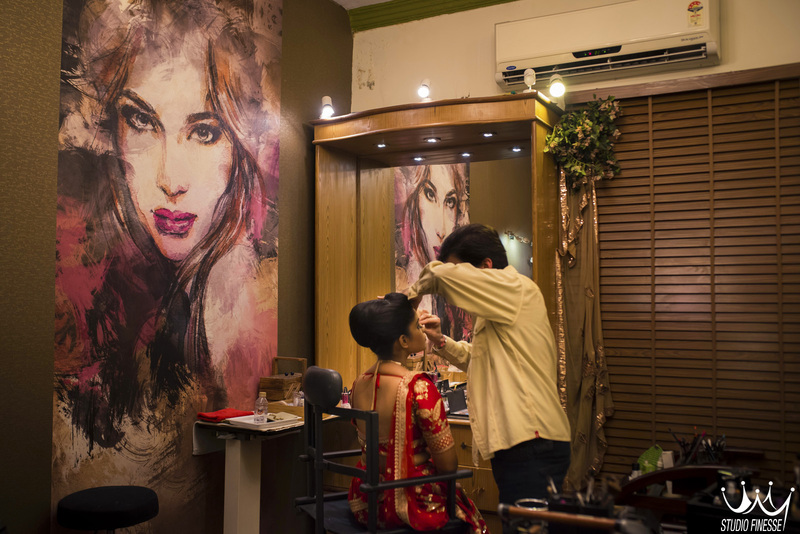 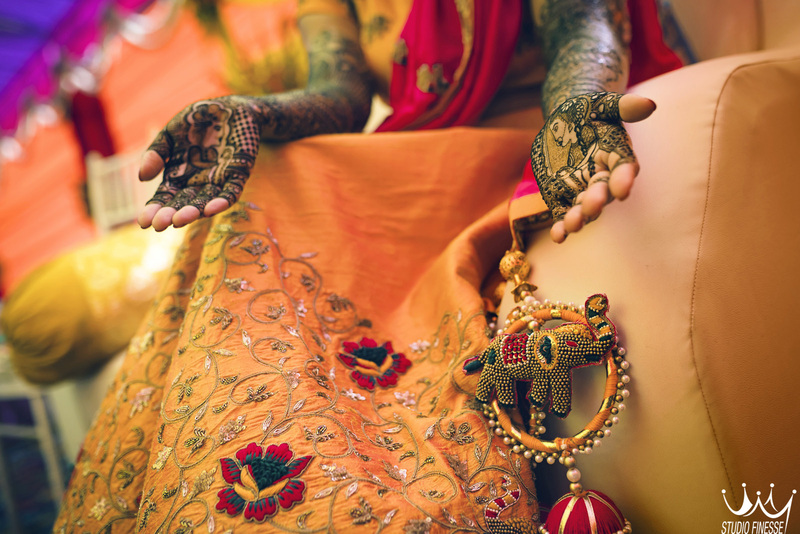 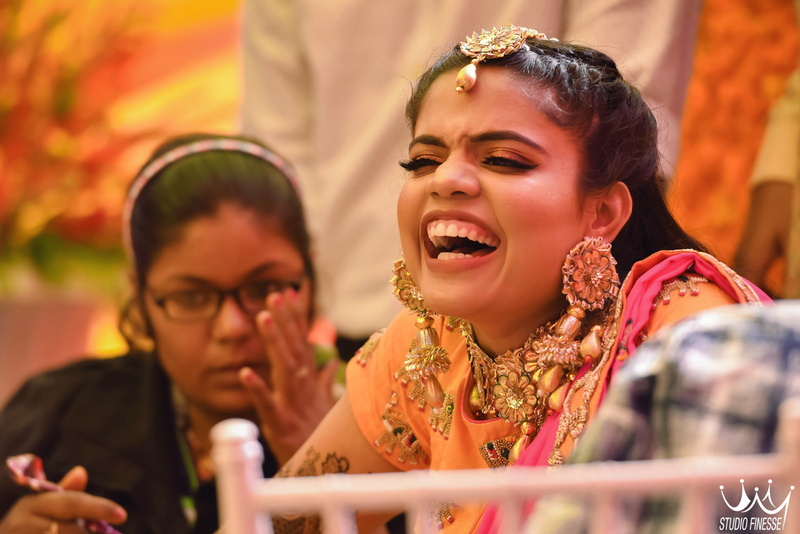 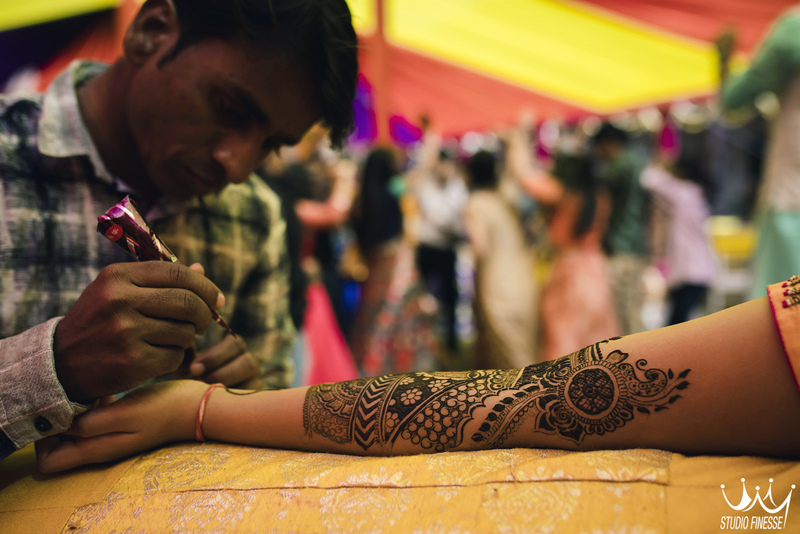 From colourful vibes of their Mehendi ceremony, intricate mehndi art, fresh and vibrant floral jewellery, games and dance sessions to the extravagant sangeet. 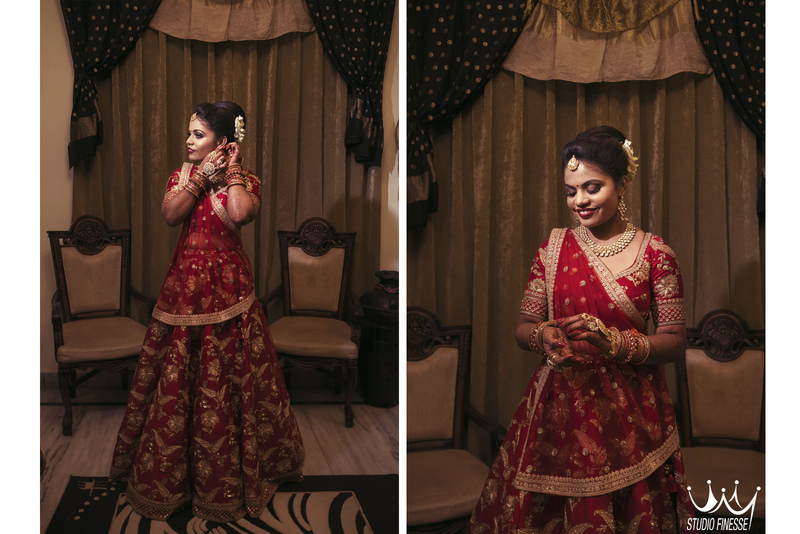 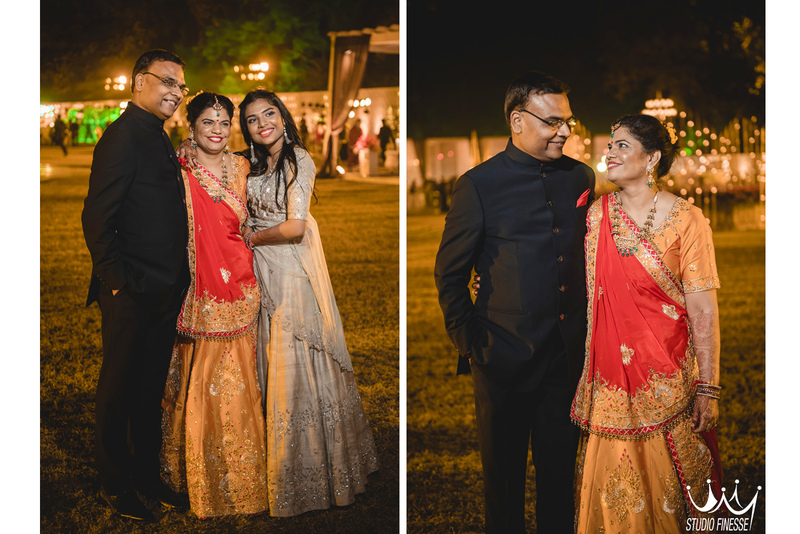 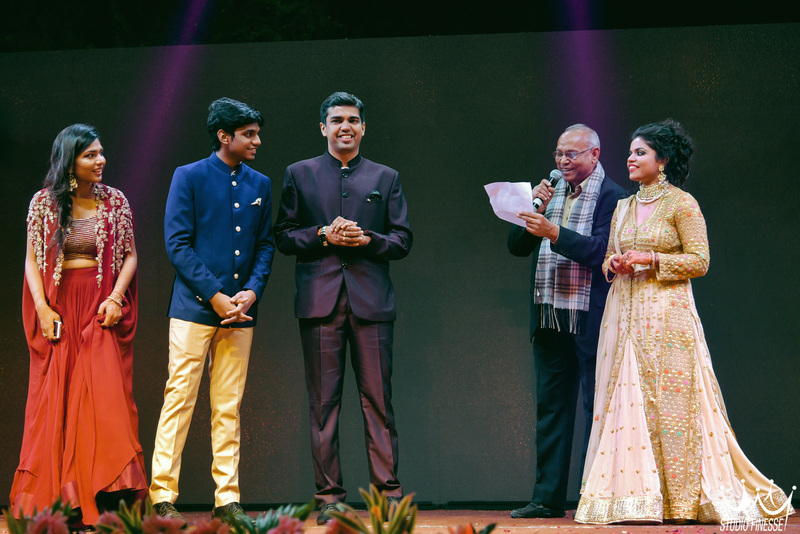 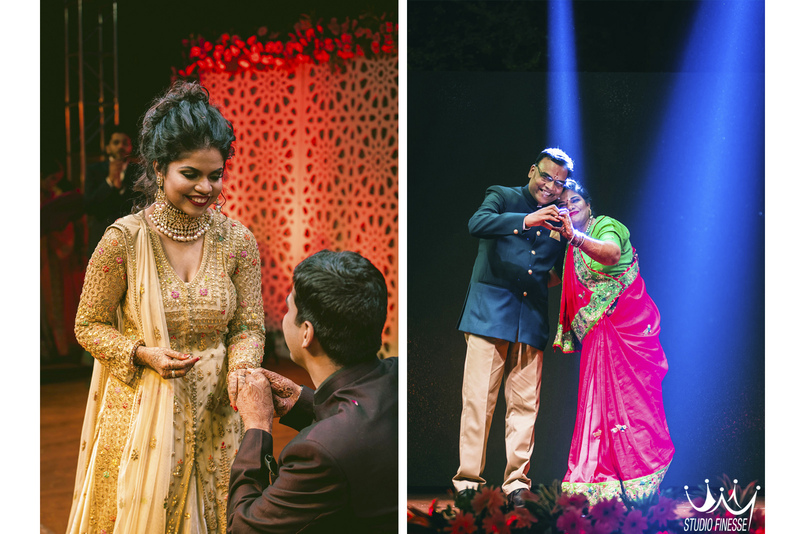 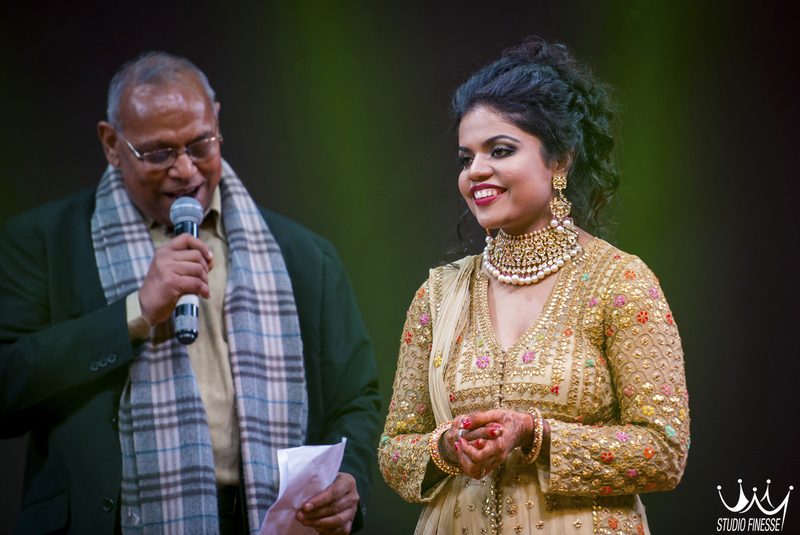 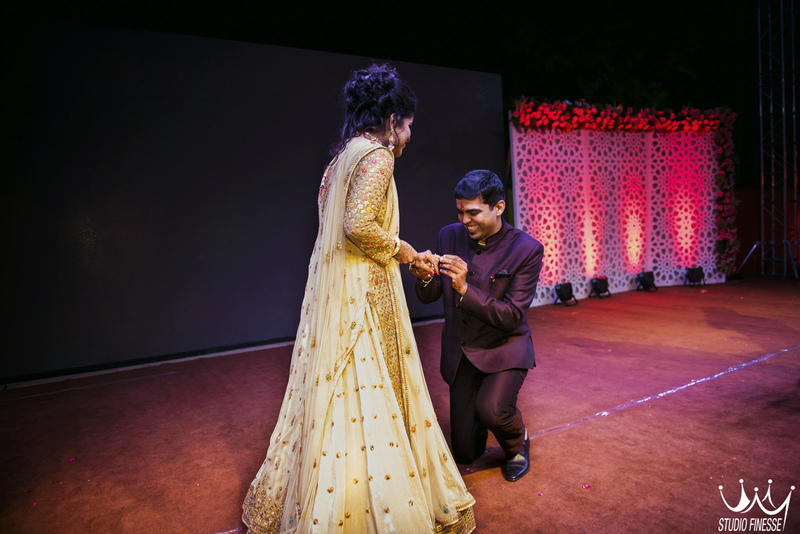 Performances by the family and friends, leading to the couple dance and their engagement were as adorable and blush worthy as they could have been. 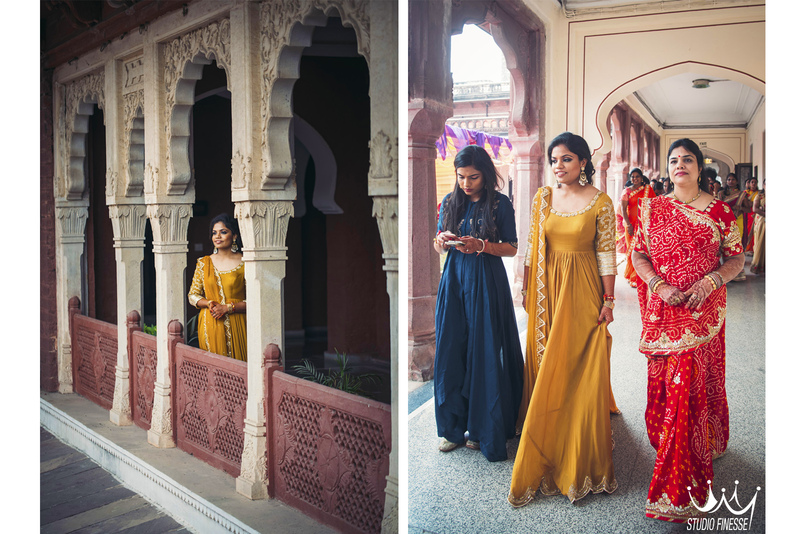 Our favourite bit as the official photography team for the Ghiayas was to get involved in the activities and shoot the nitty gritty details, the laughters, the candidness of the entire family, and last but not the least, creating portraits of the couple in the grandeur and royal in itself, the Umed Bhawan Palace. 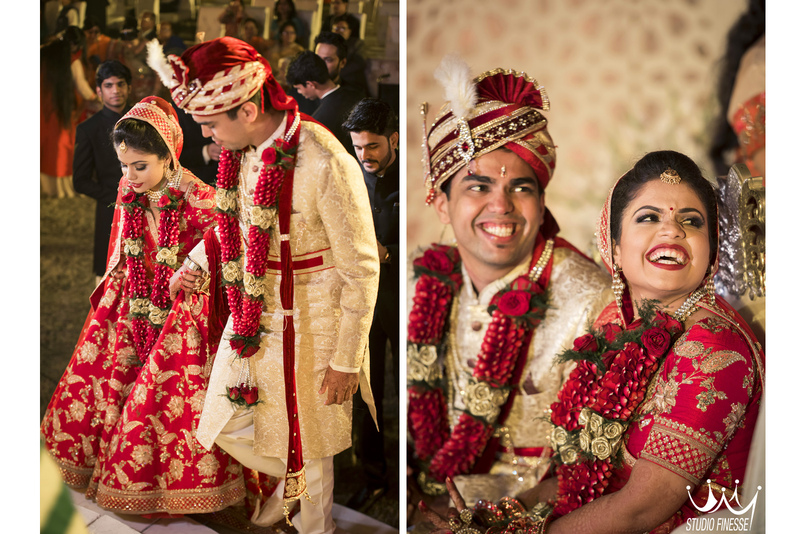 We have ourselves lived each and every moment of this wedding and cherish the details of it.